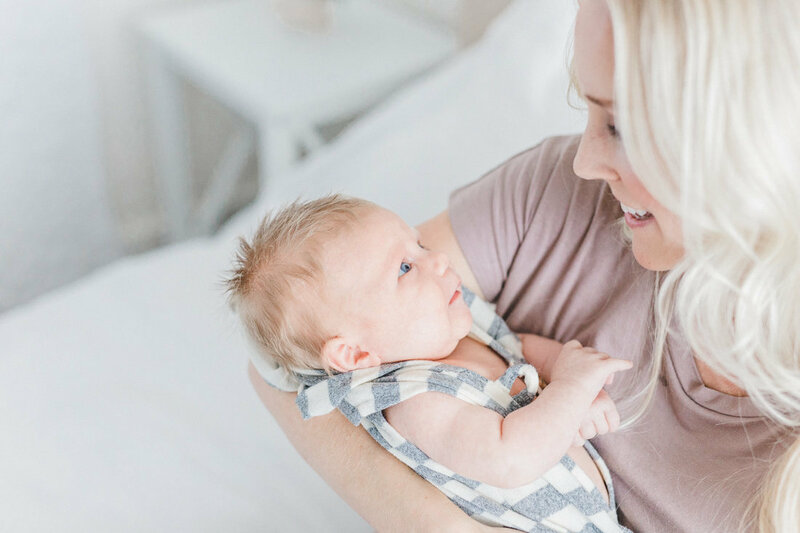 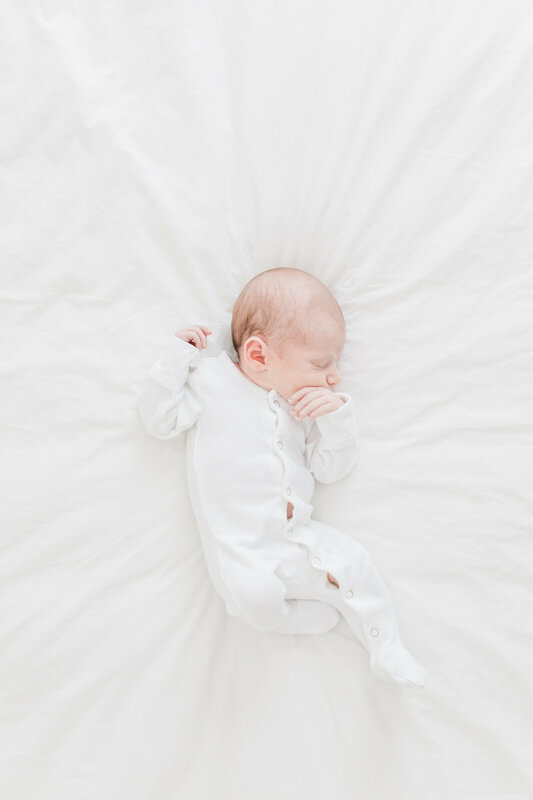 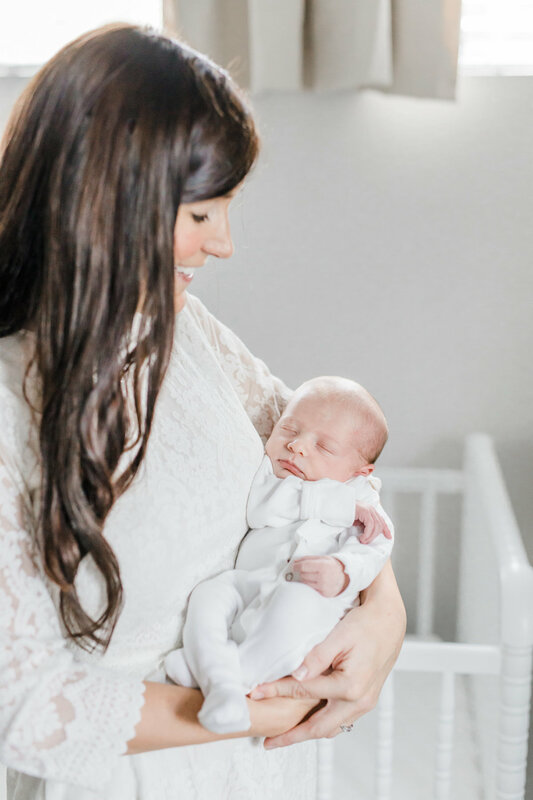 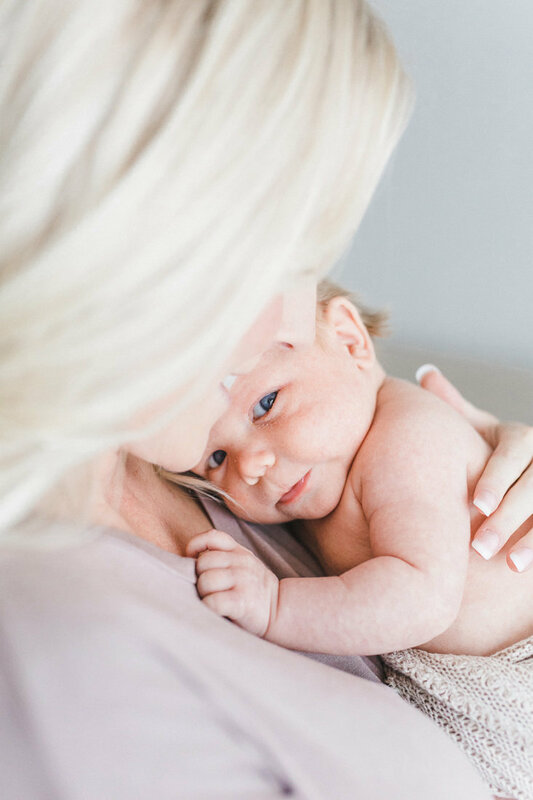 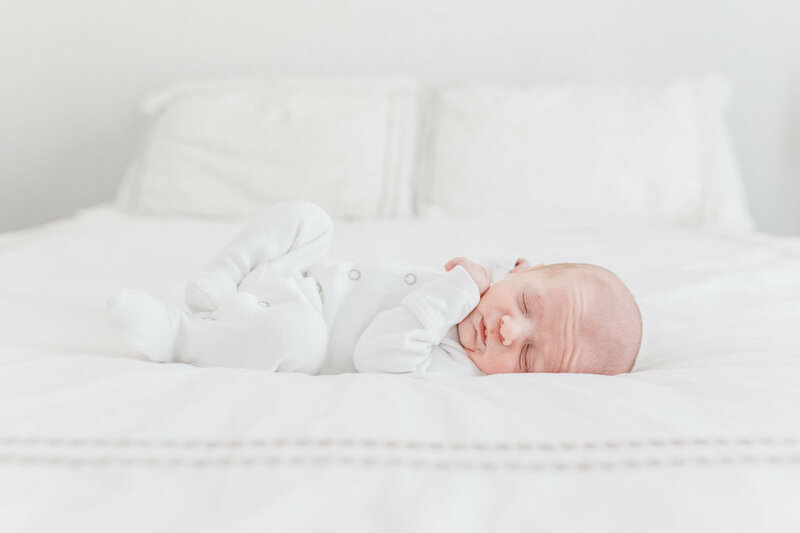 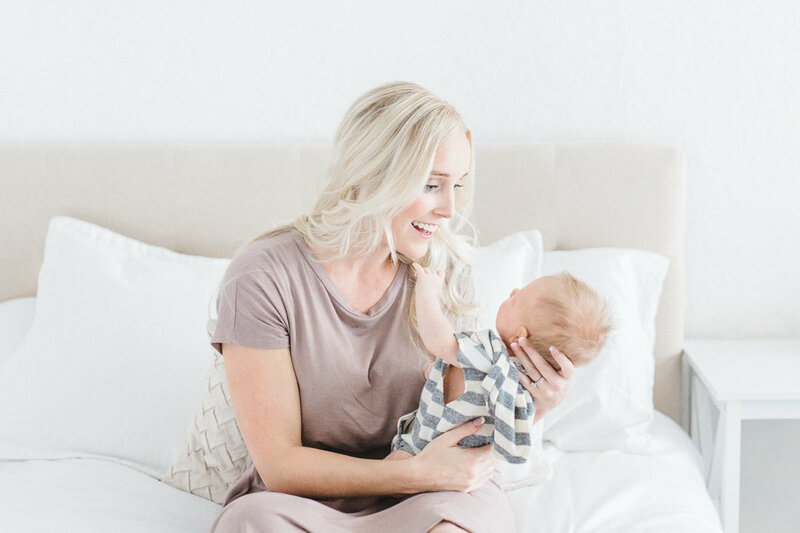 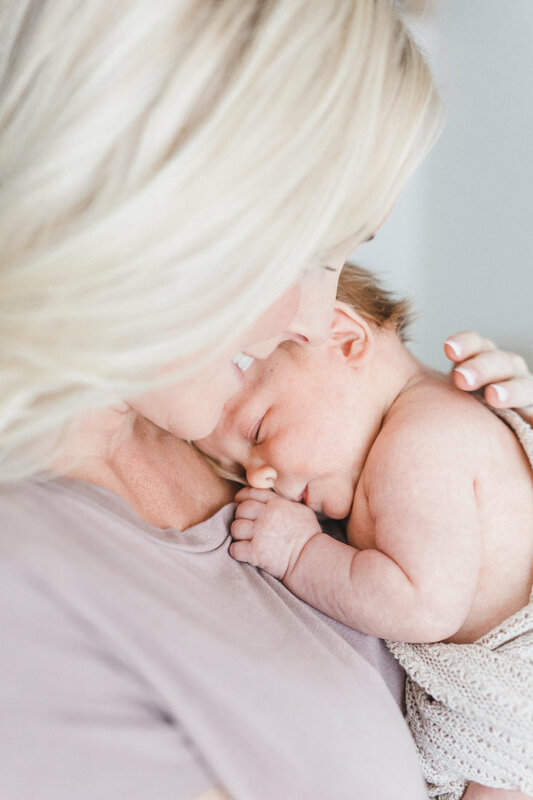 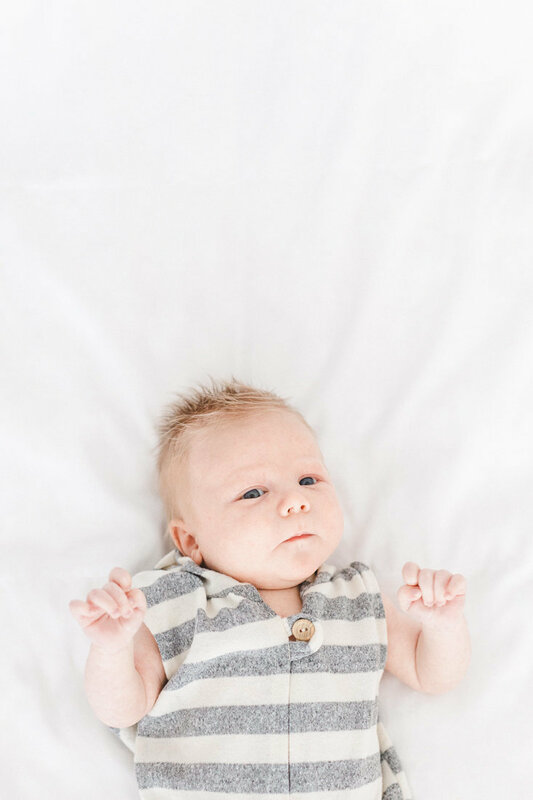 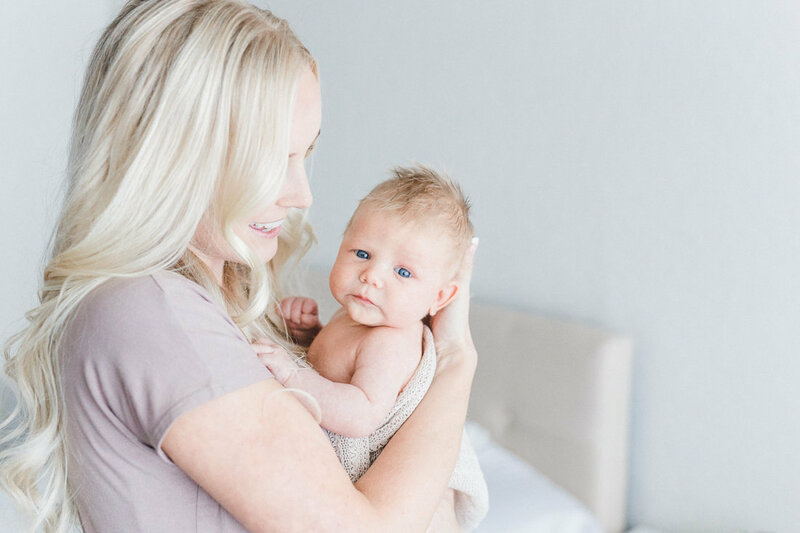 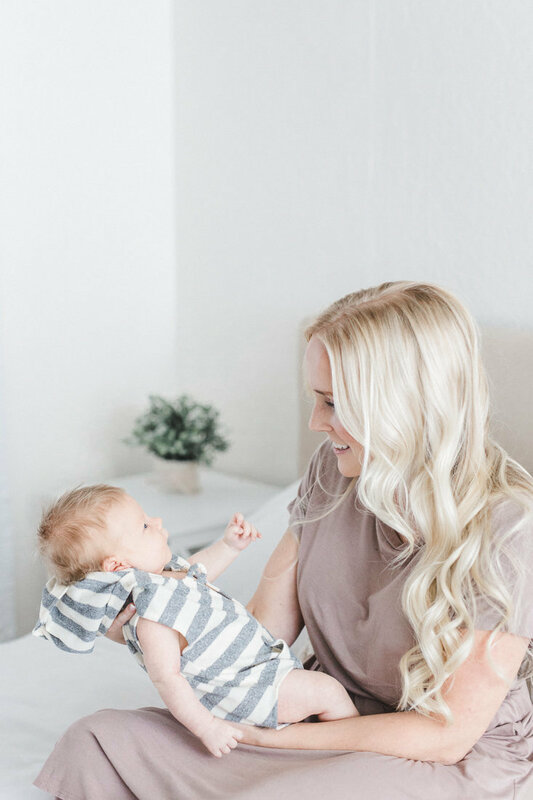 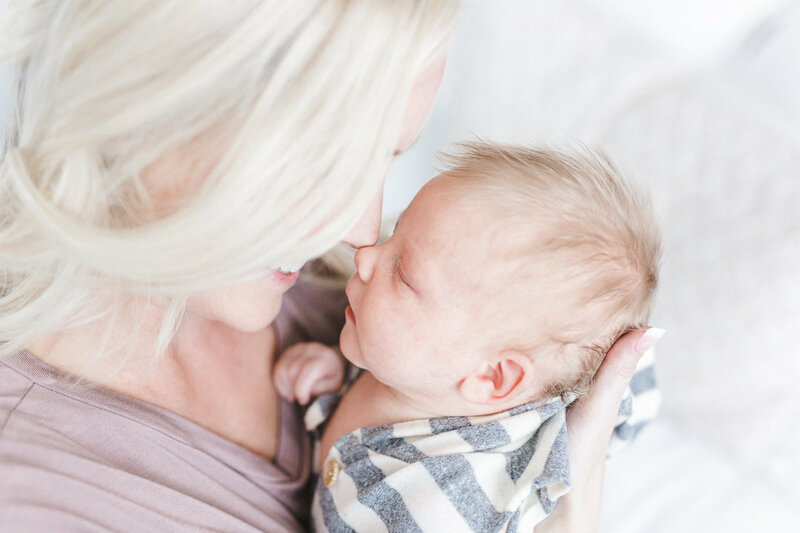 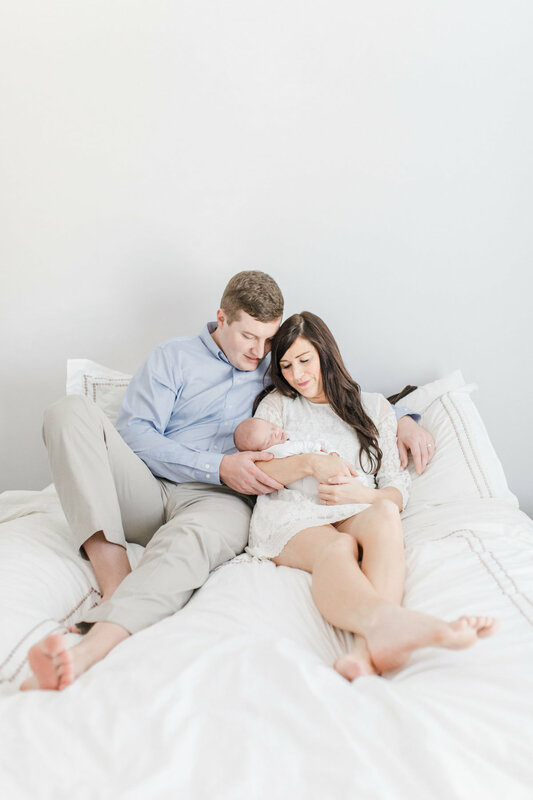 Newborn sessions are the perfect way to document those early and fleeting days with your new baby; your precious little one changes so quickly! 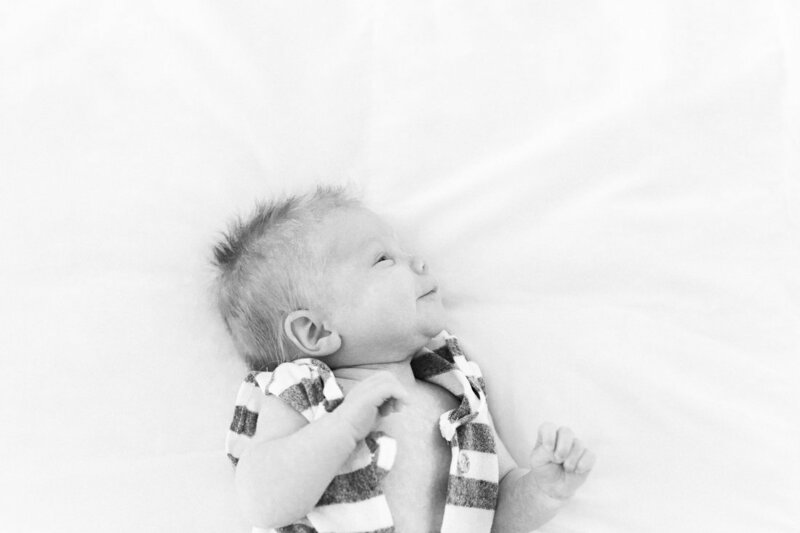 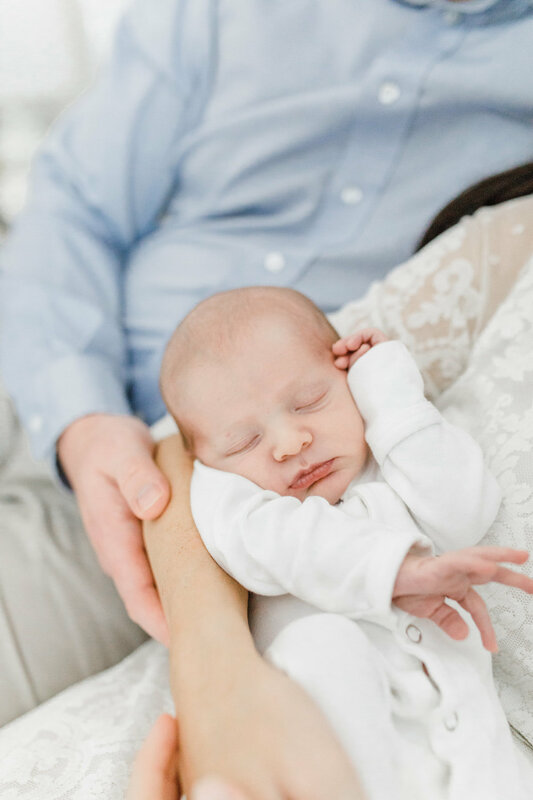 Newborn sessions are scheduled for between 5-14 days after their arrival. 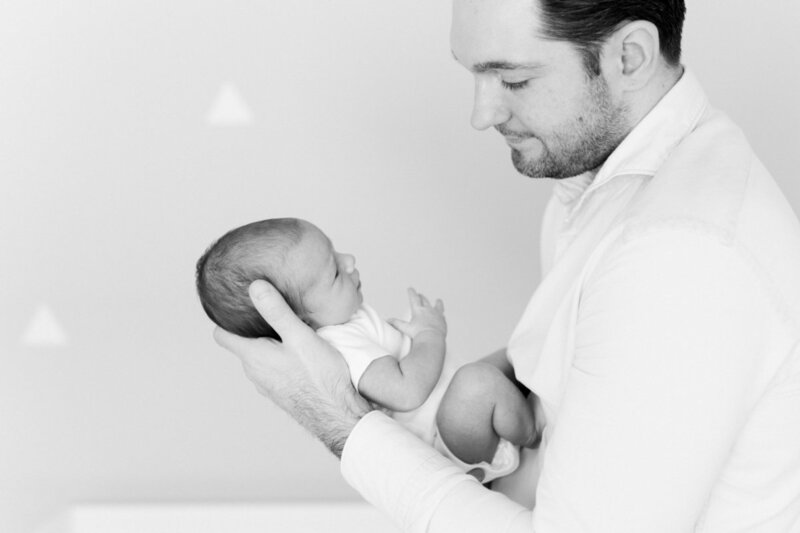 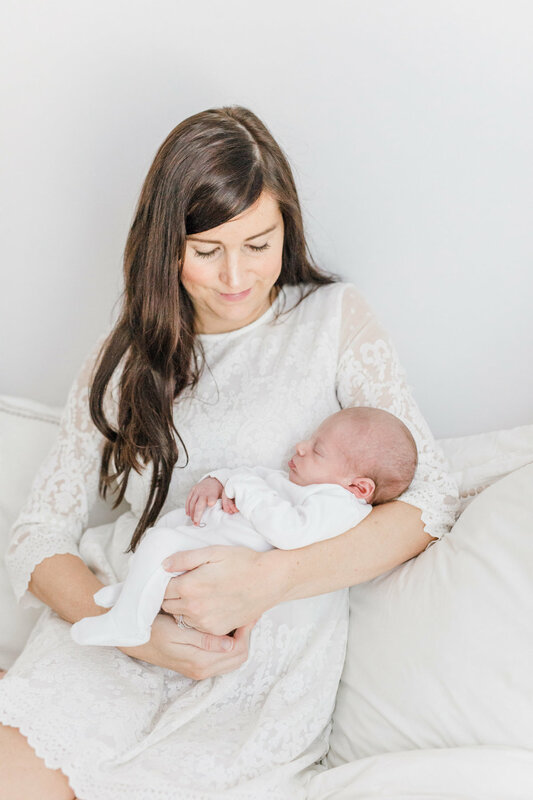 We recommend that you book your baby’s newborn session as early as possible in your pregnancy to ensure availability. 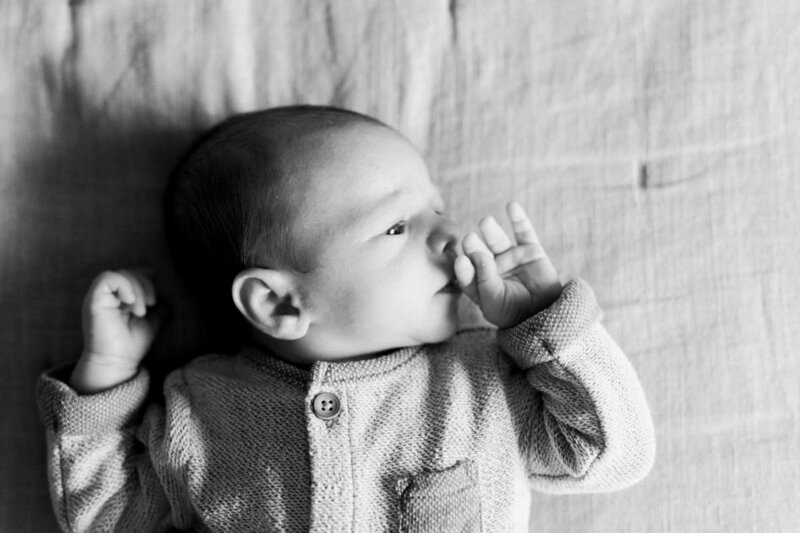 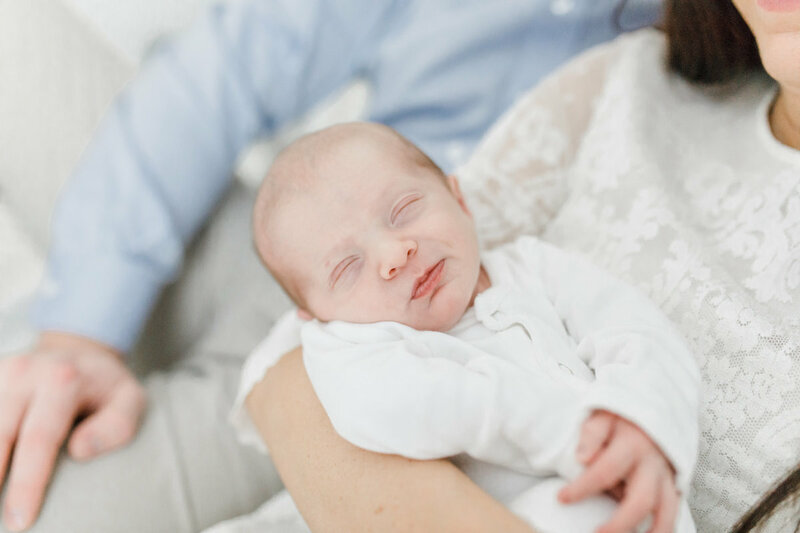 Newborn sessions can take place in your home or in our studio. 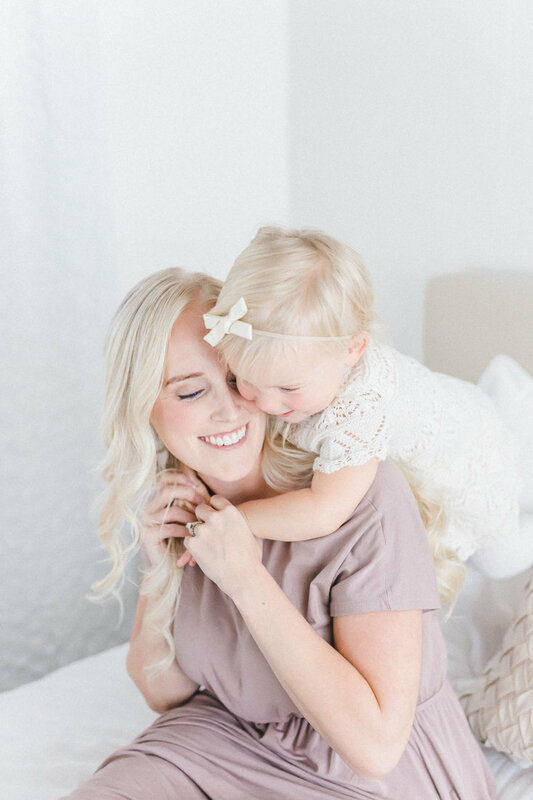 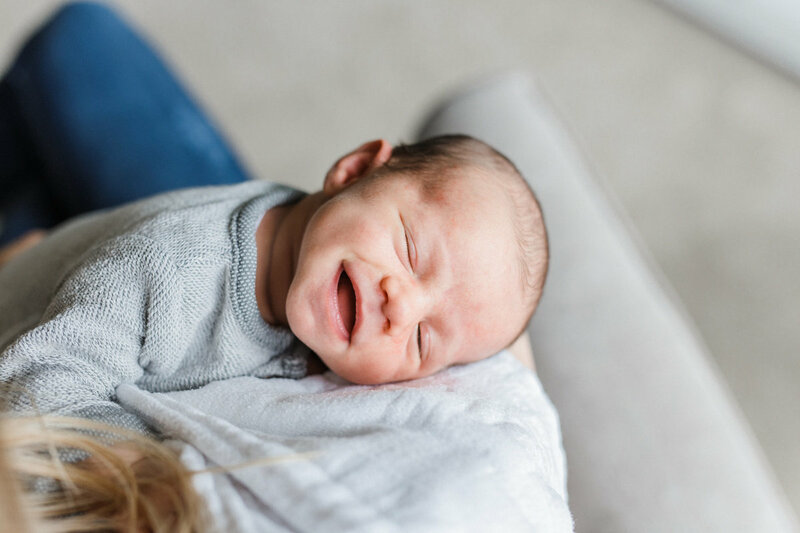 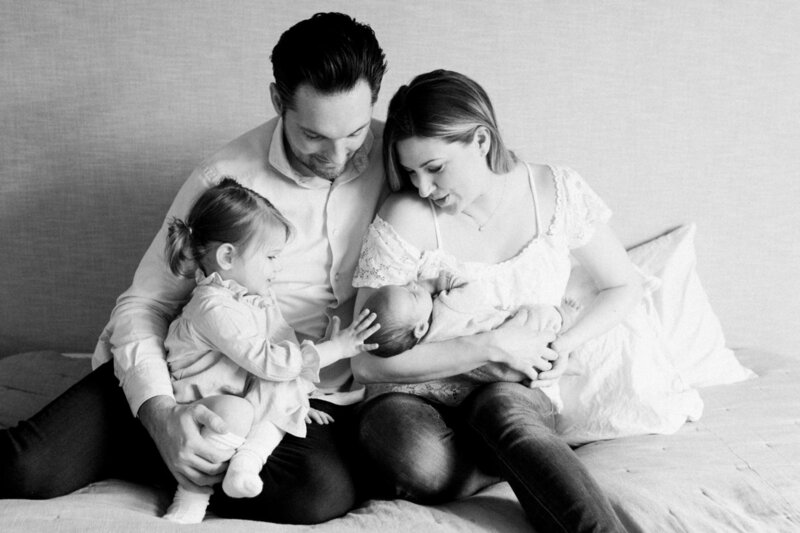 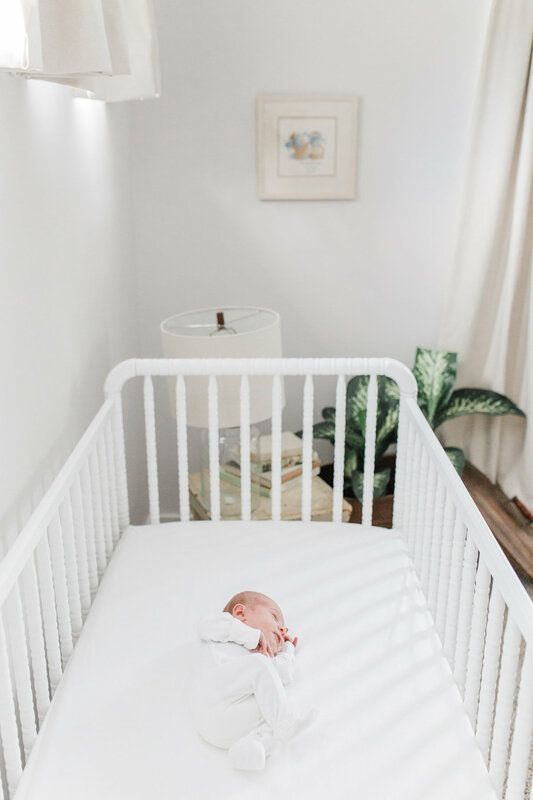 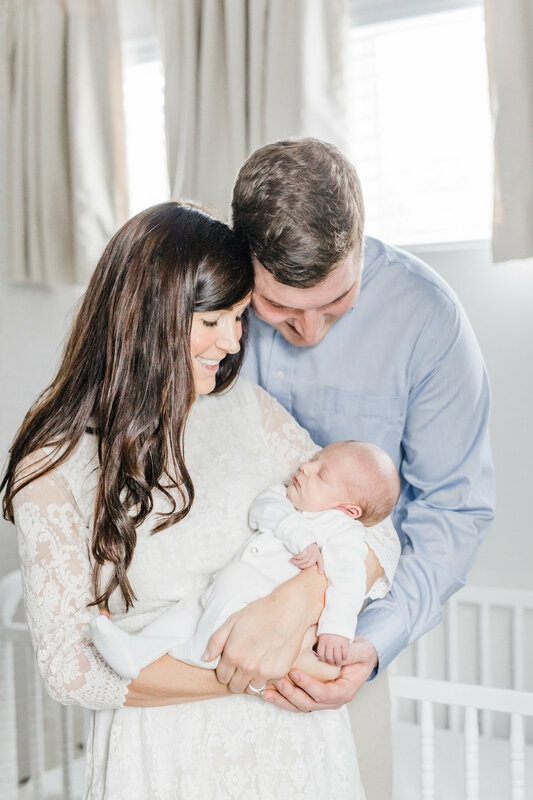 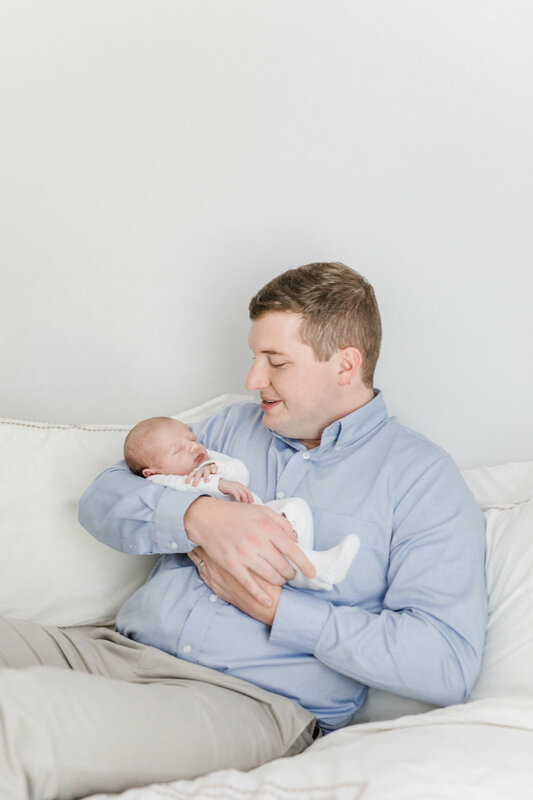 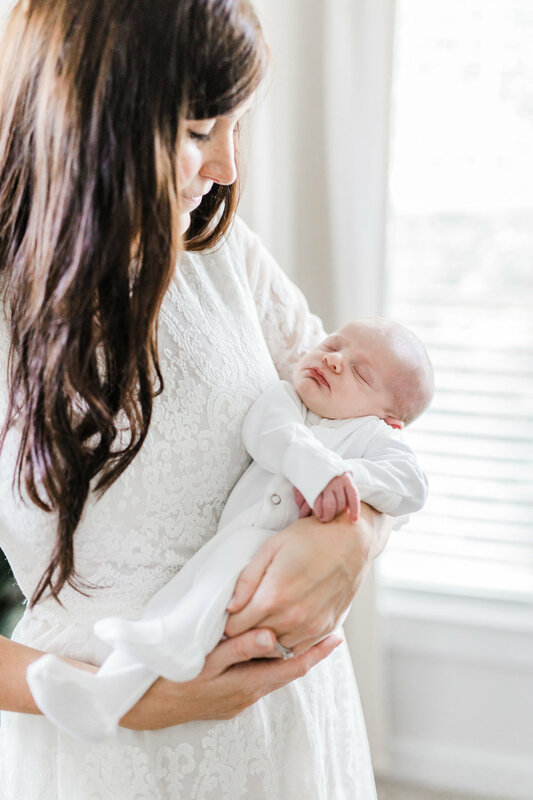 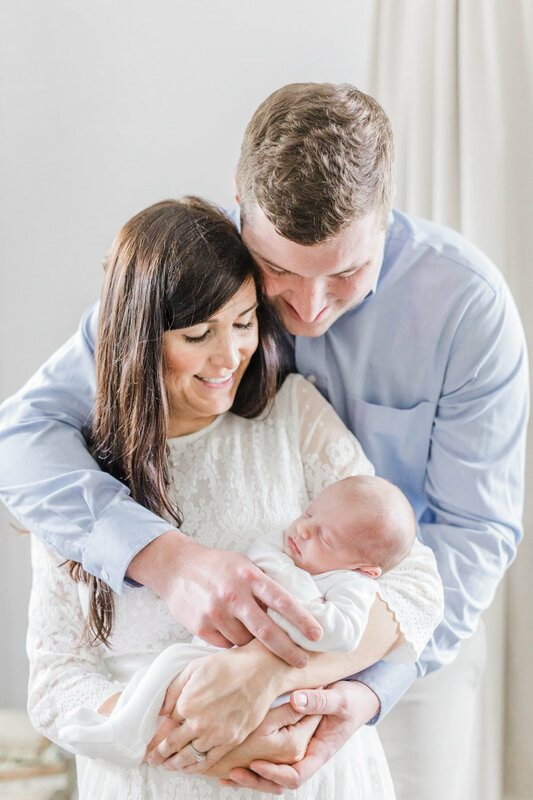 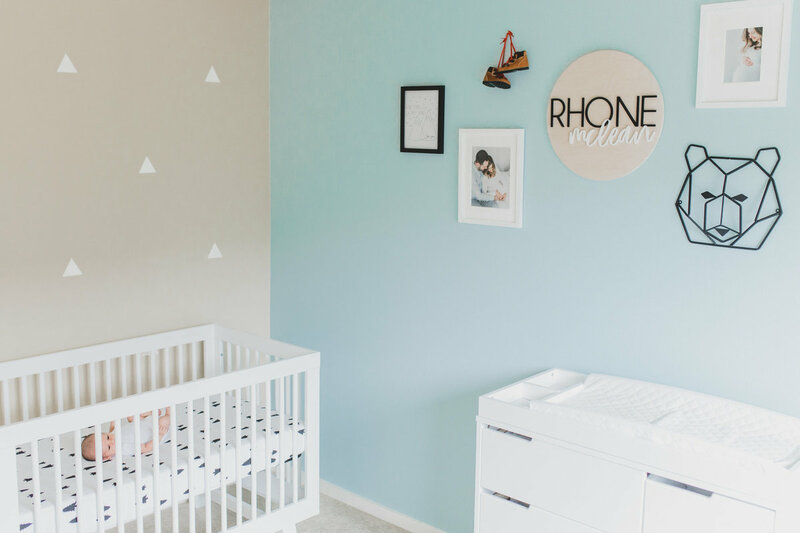 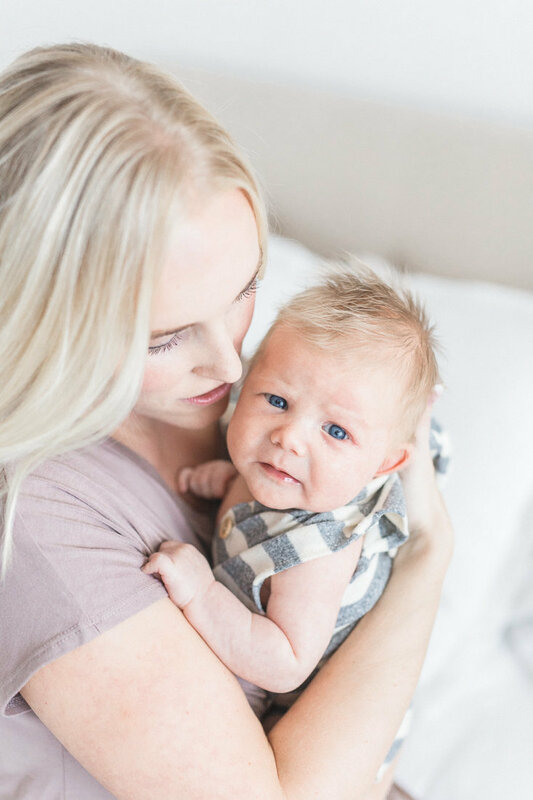 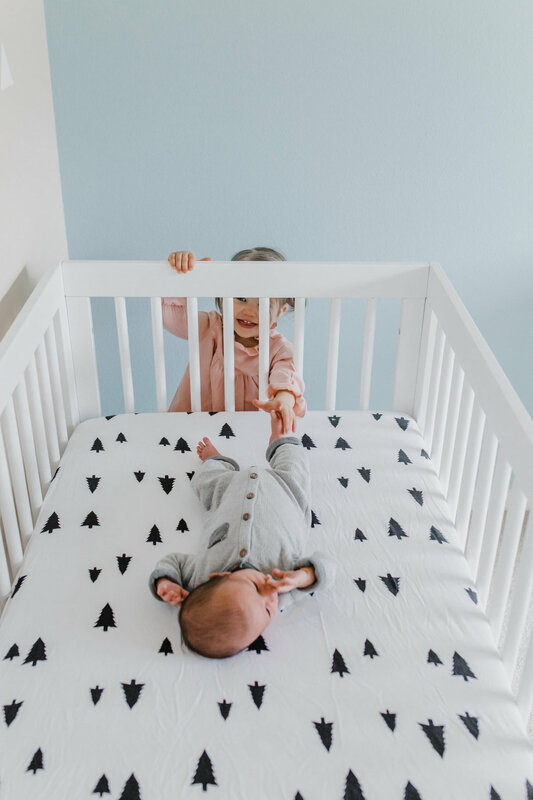 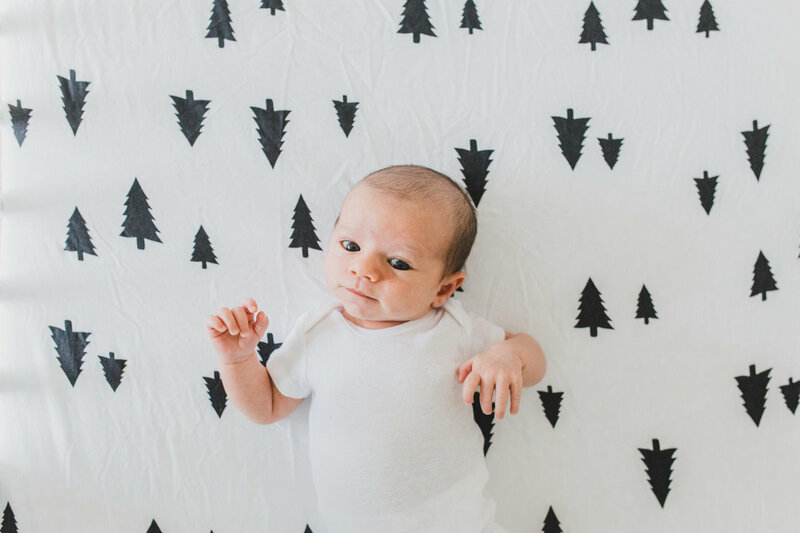 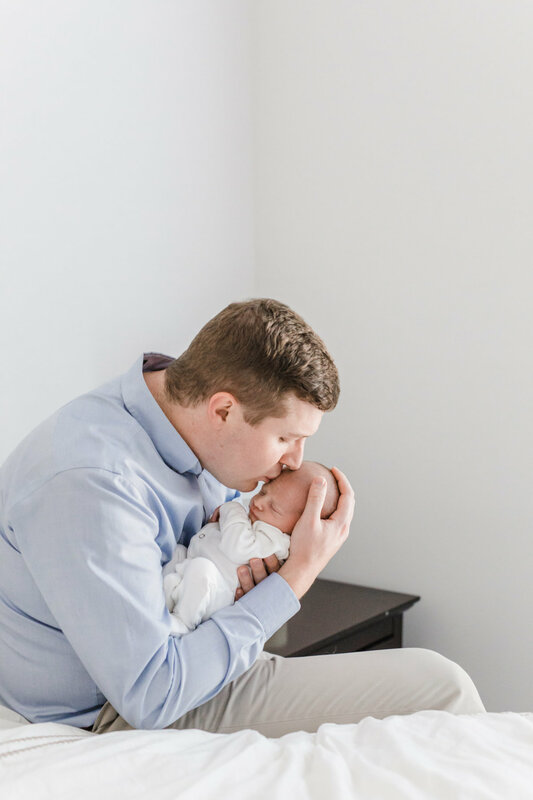 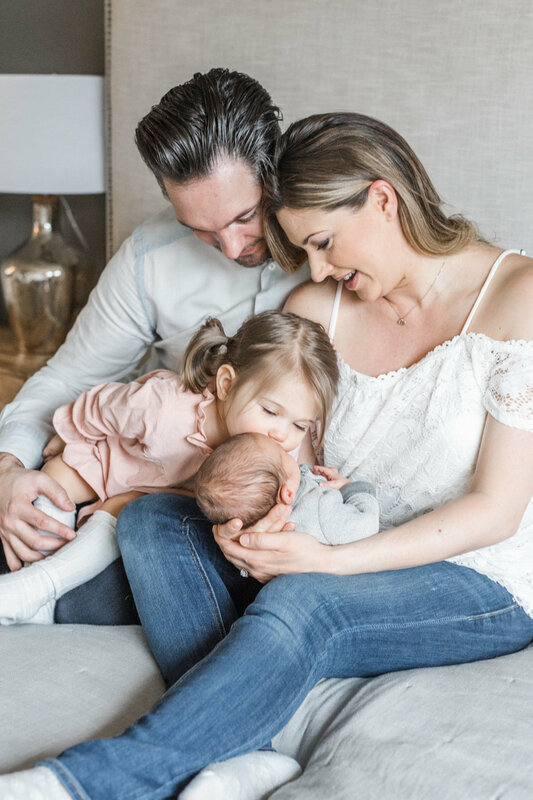 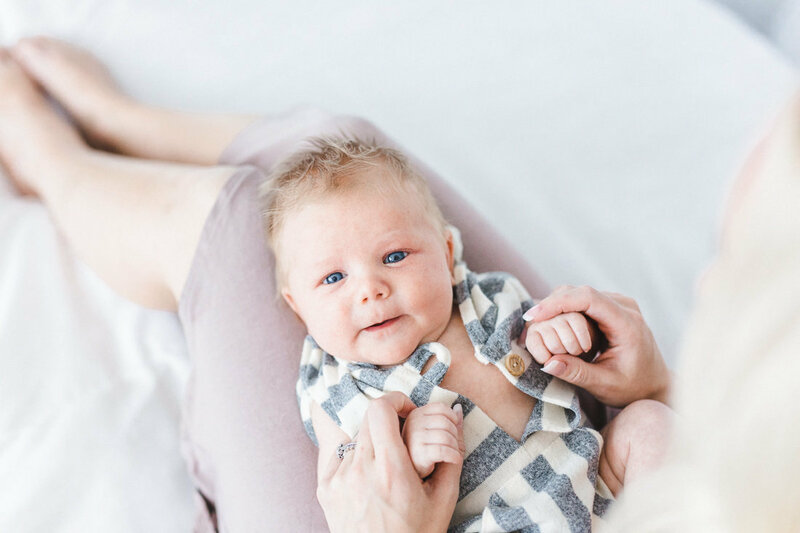 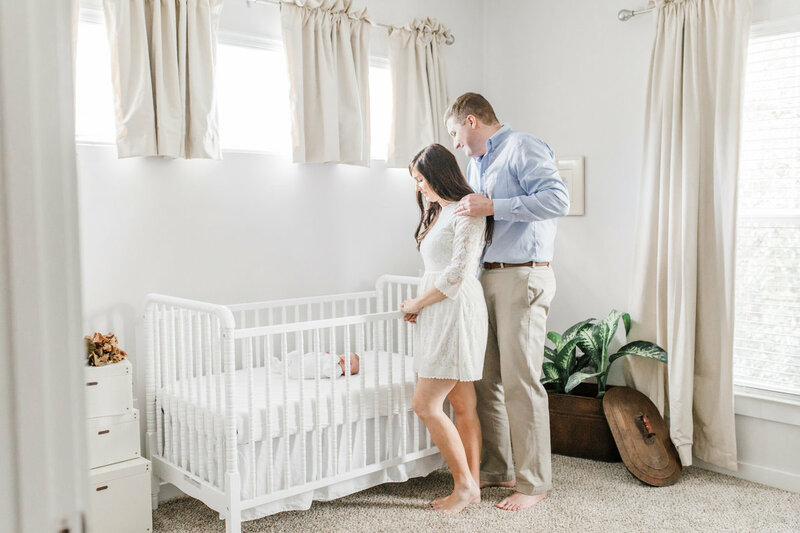 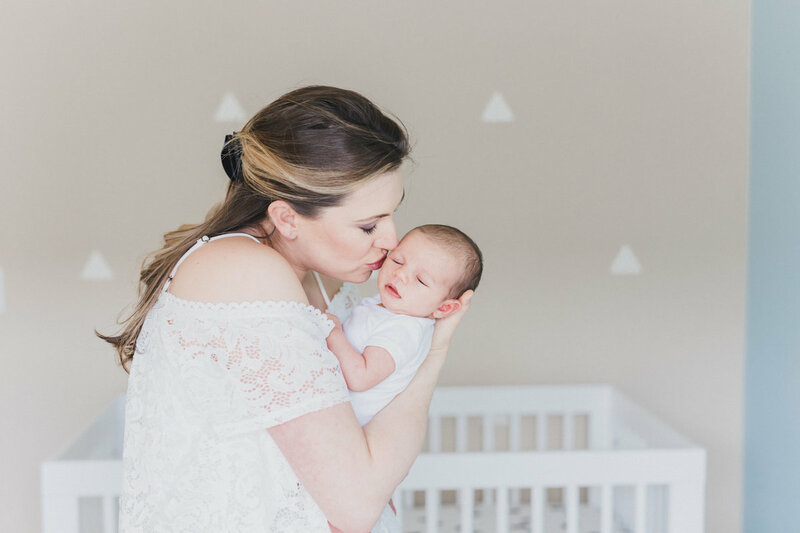 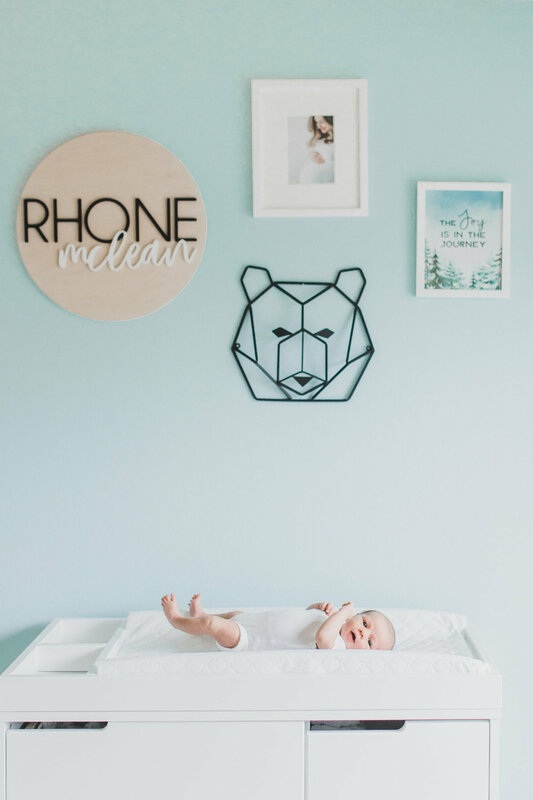 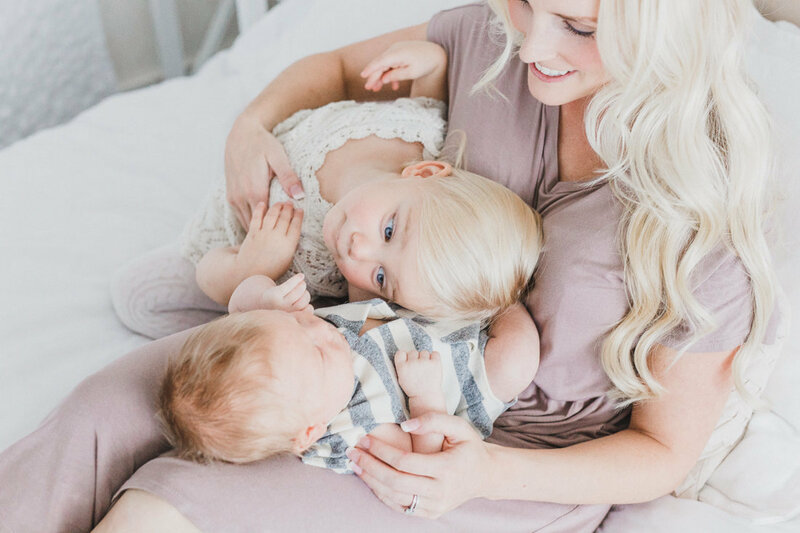 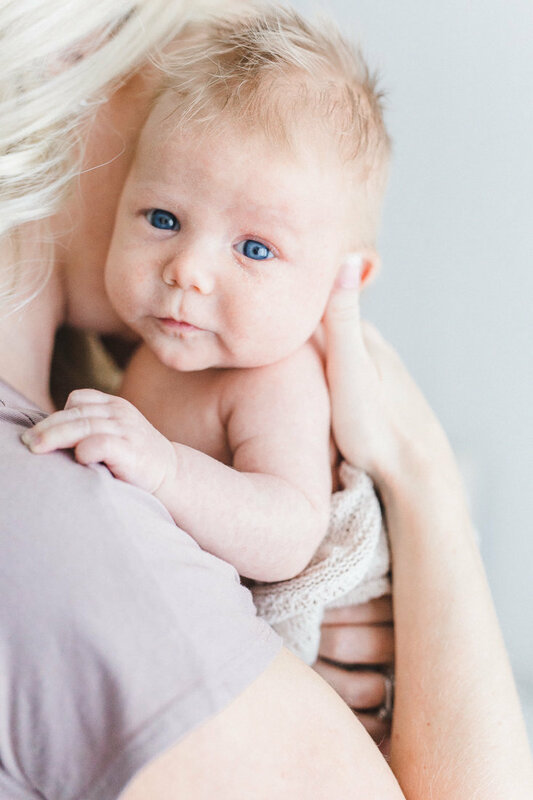 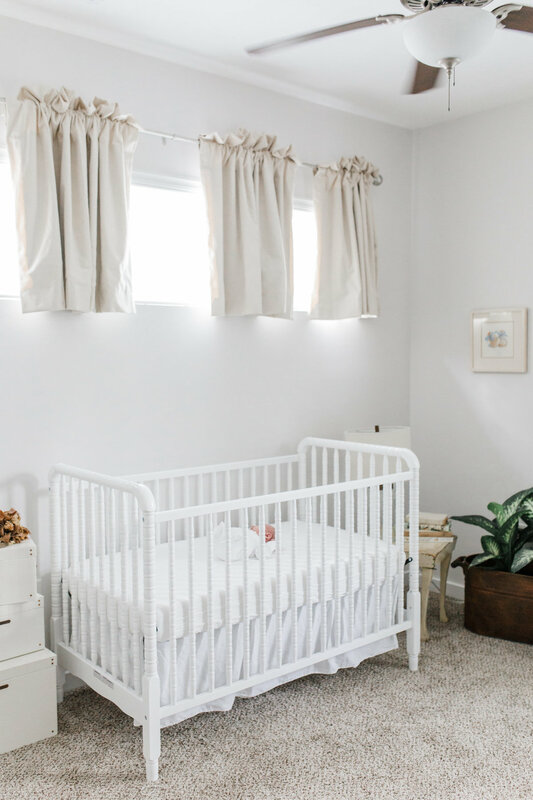 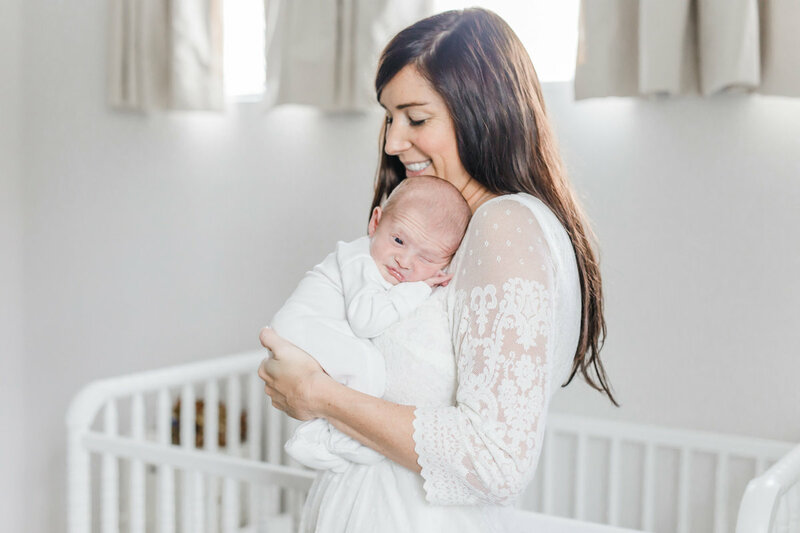 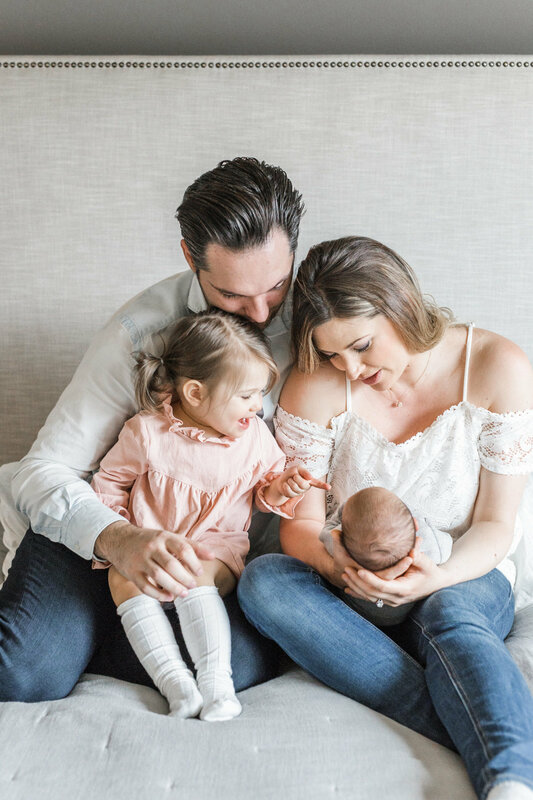 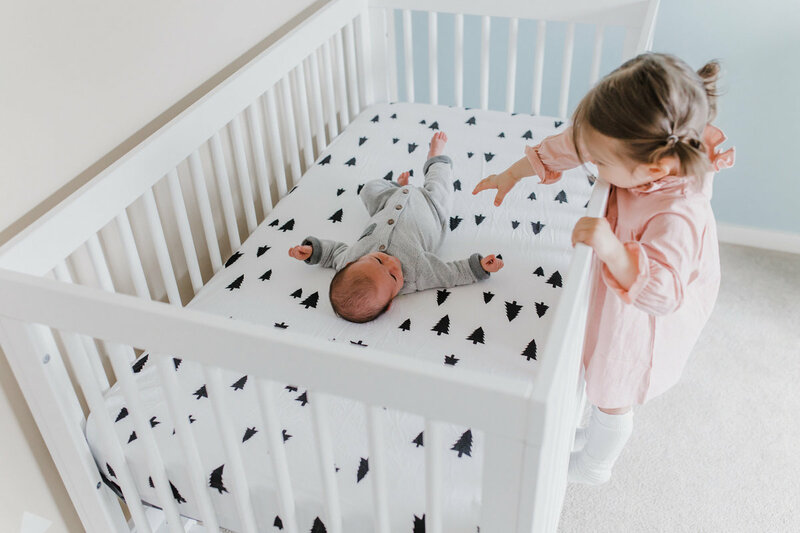 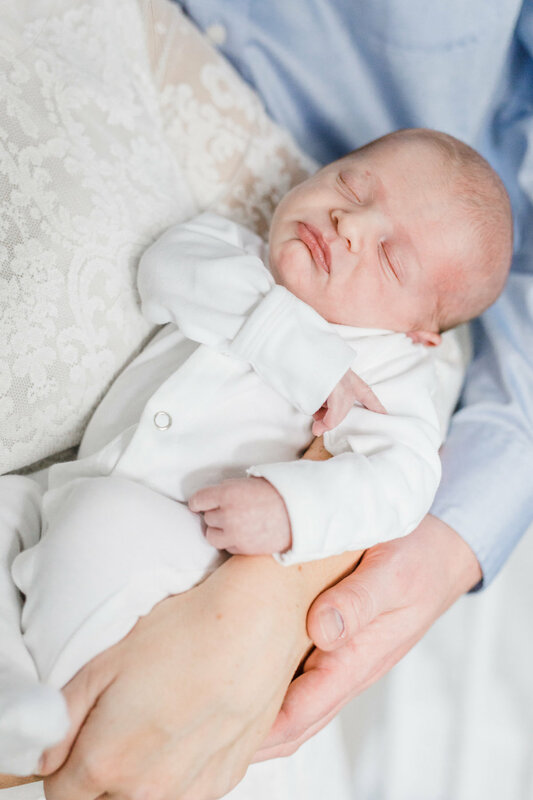 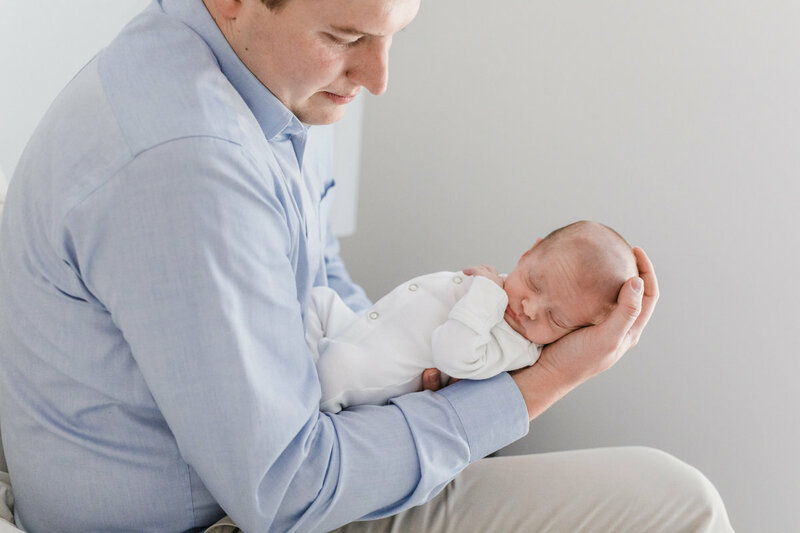 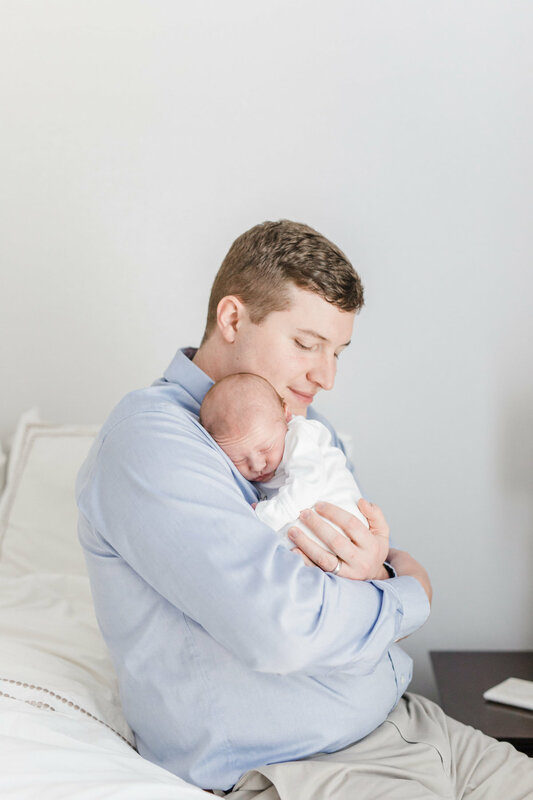 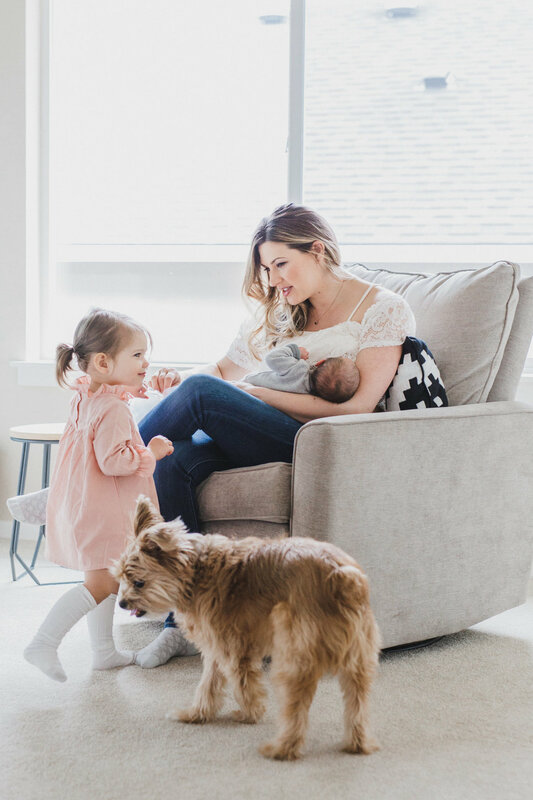 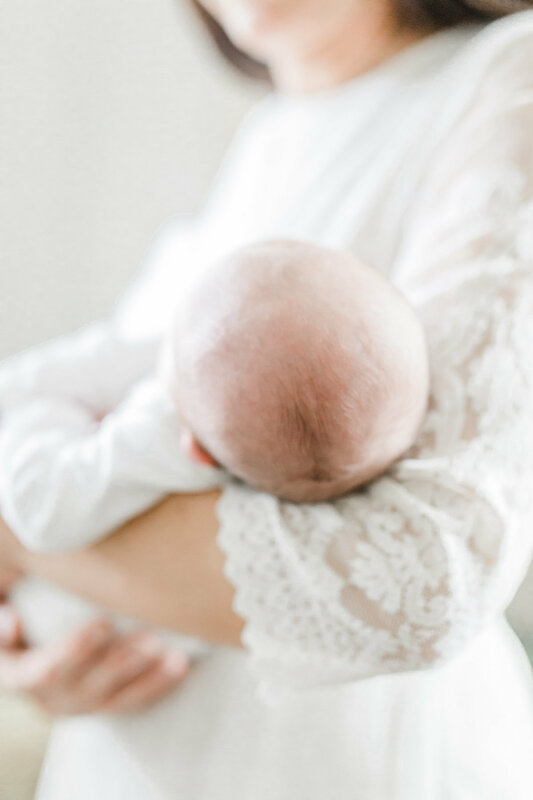 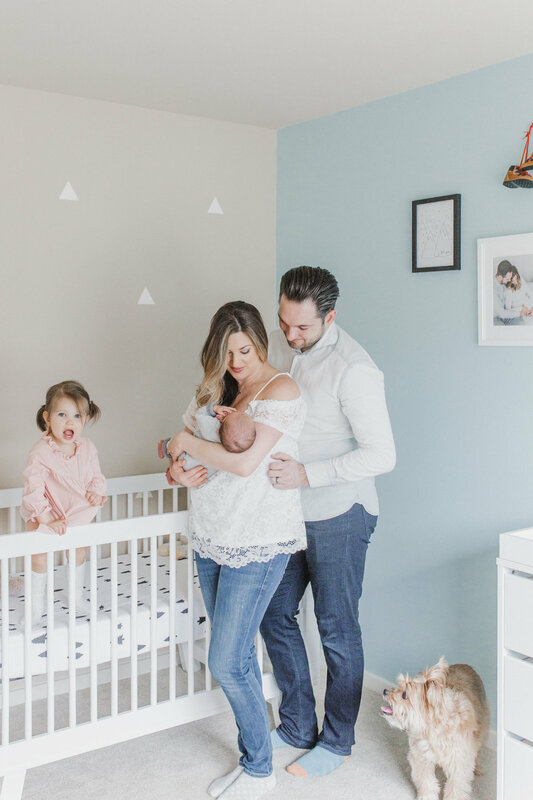 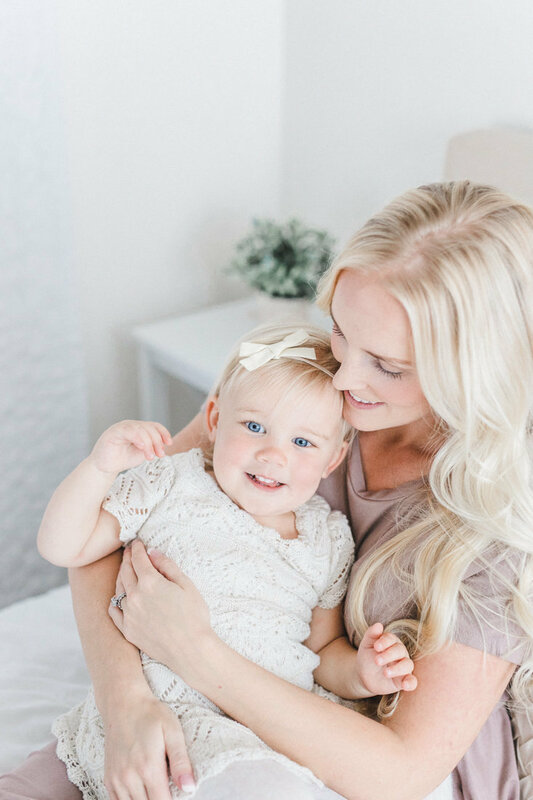 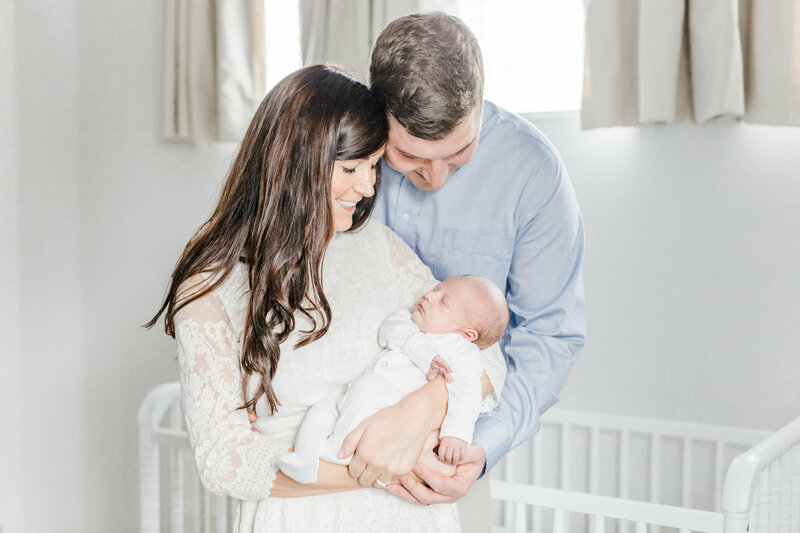 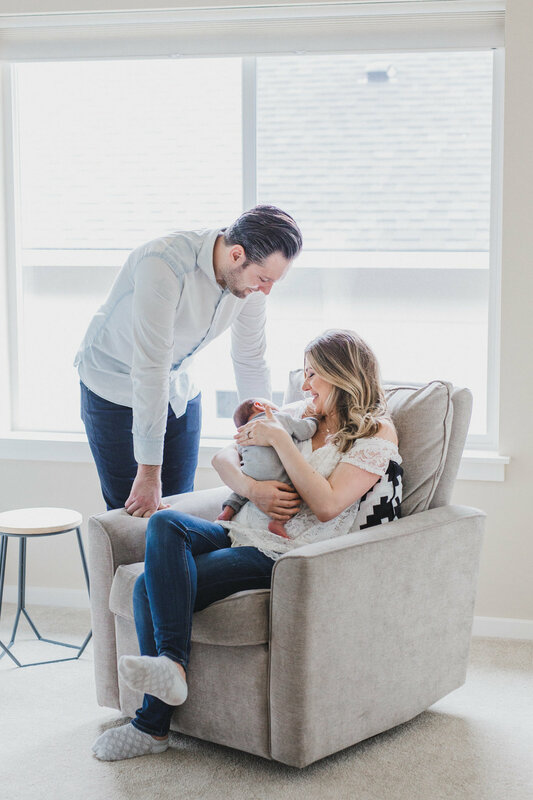 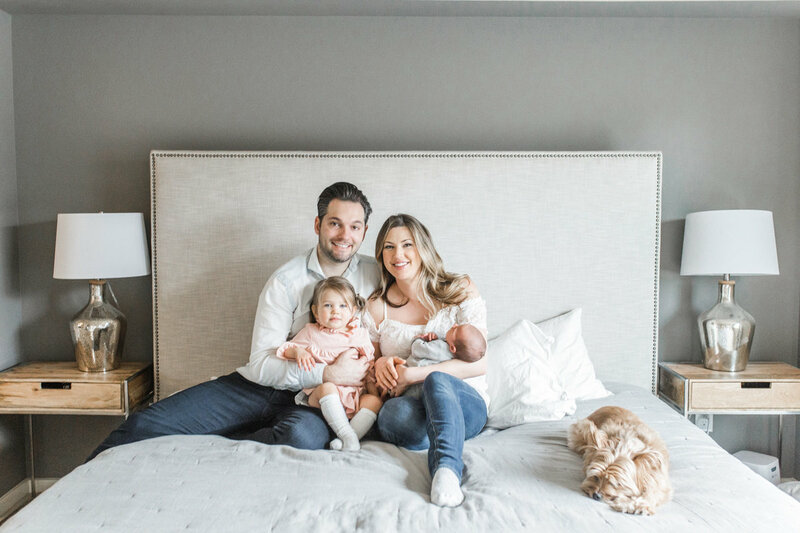 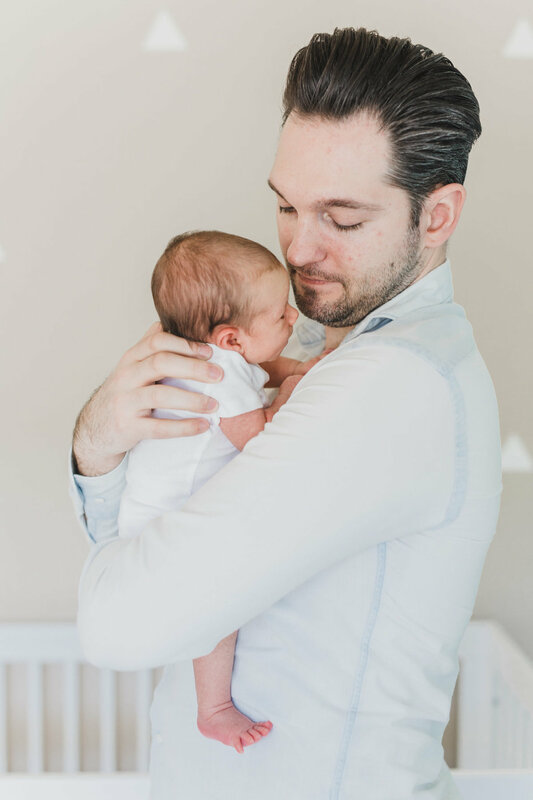 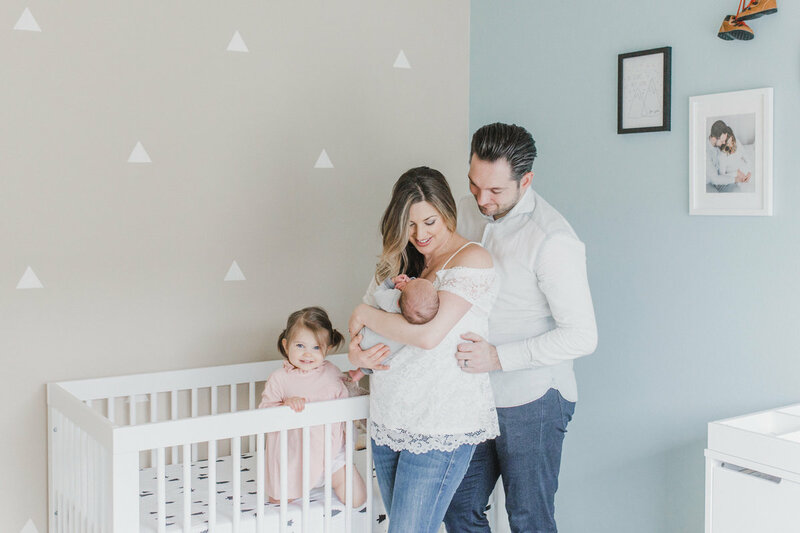 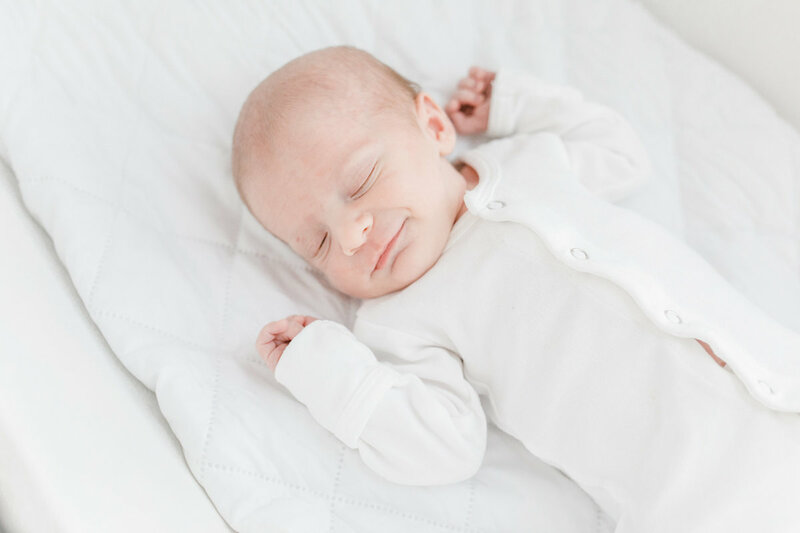 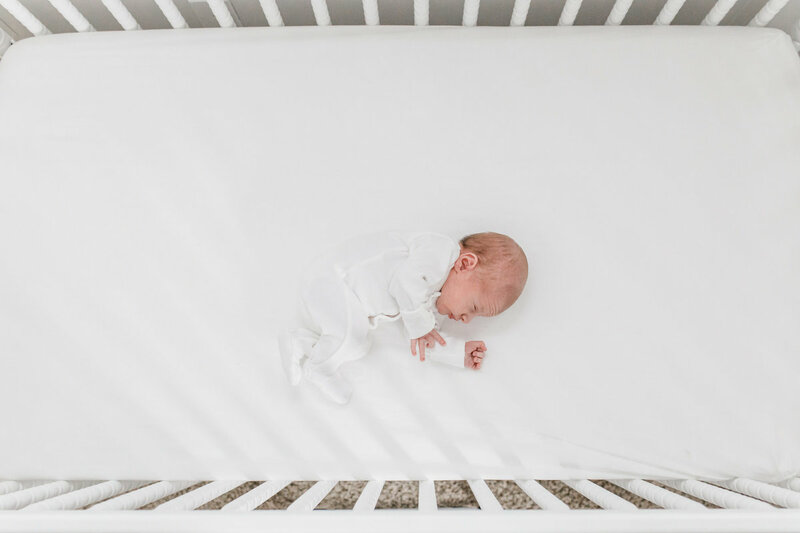 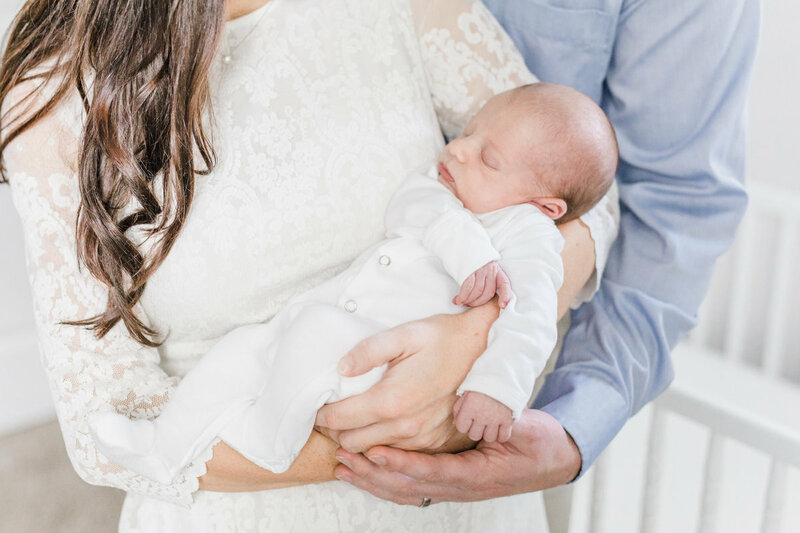 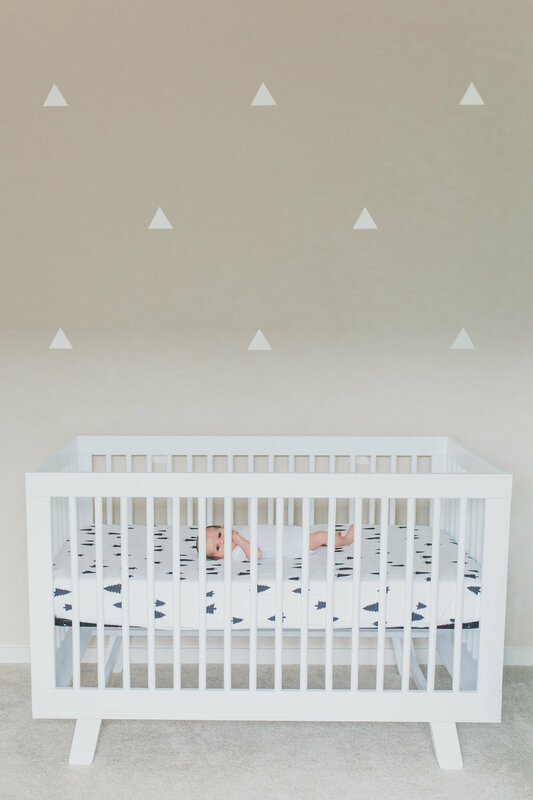 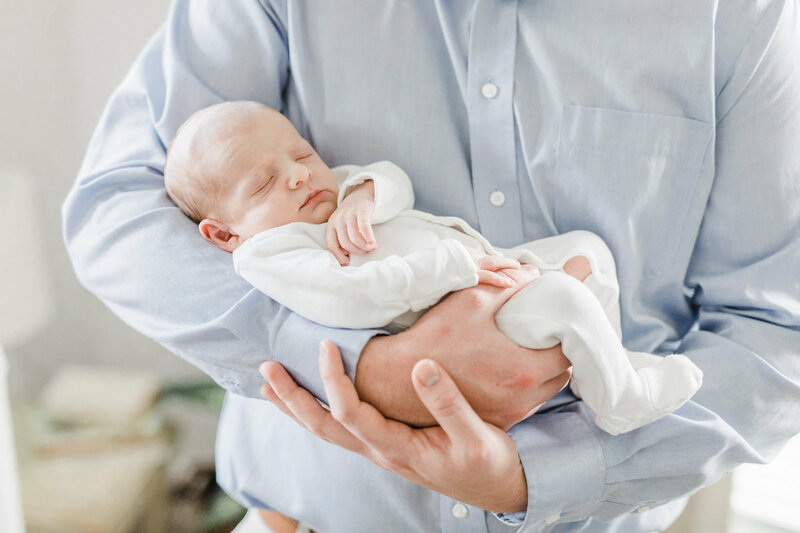 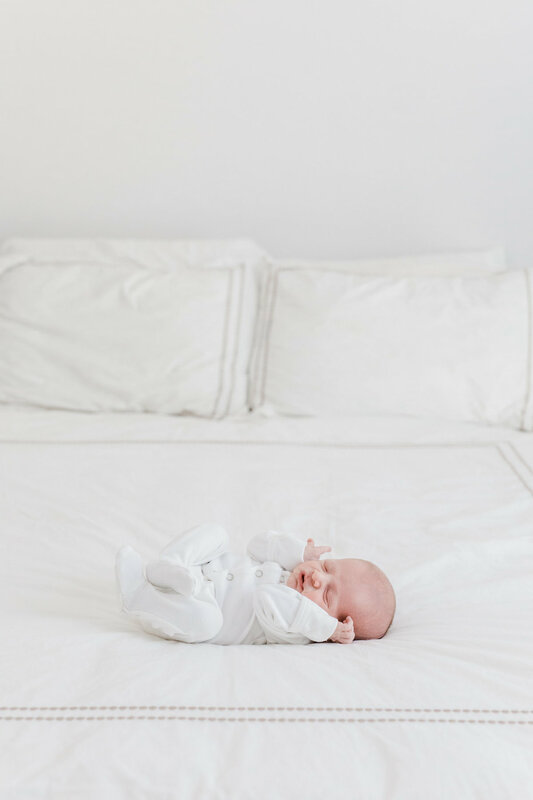 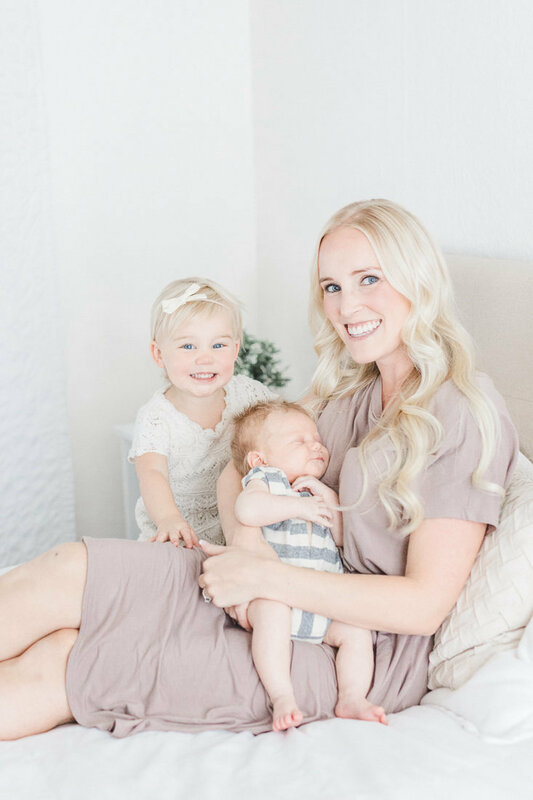 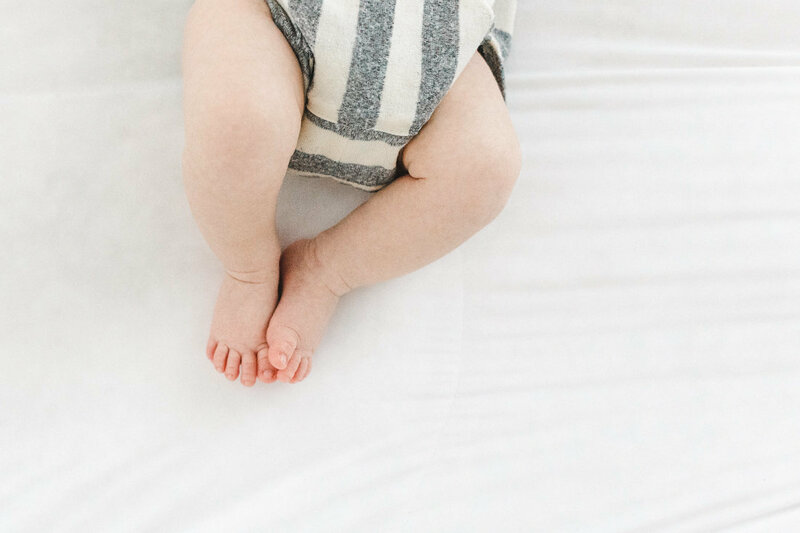 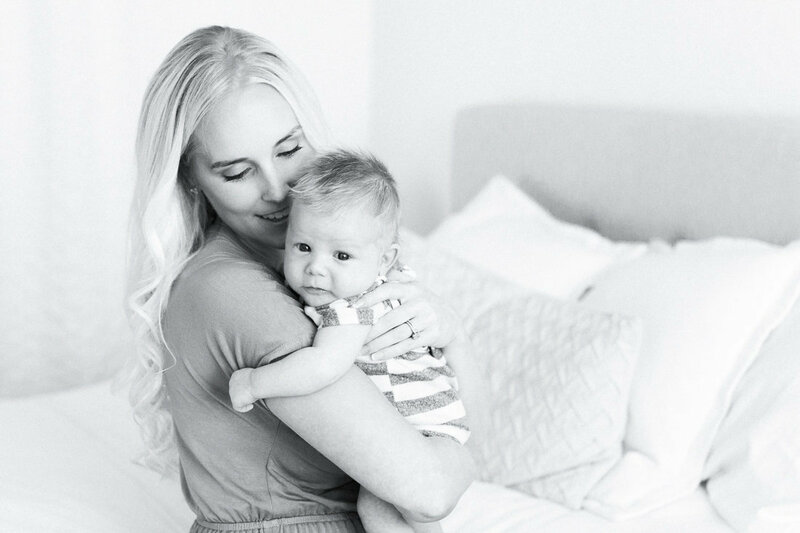 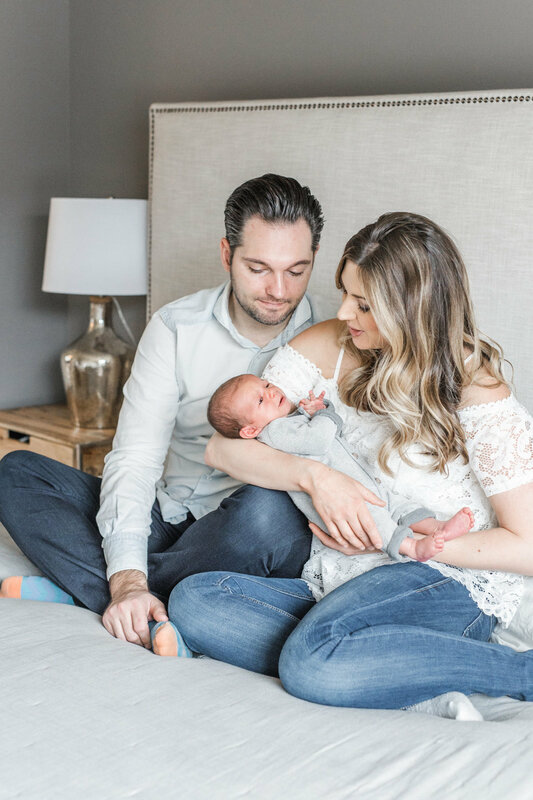 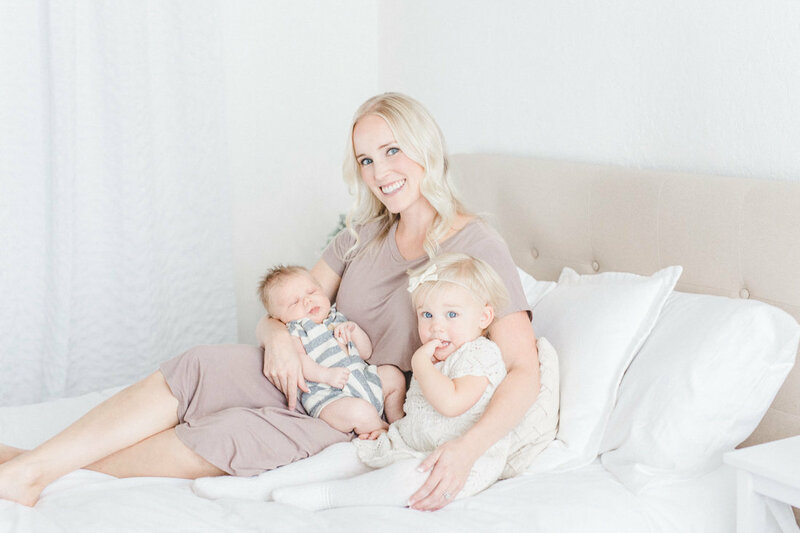 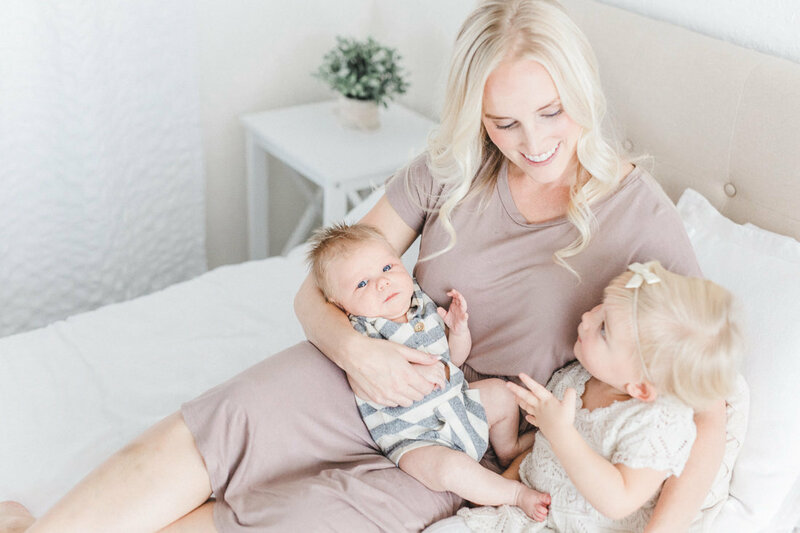 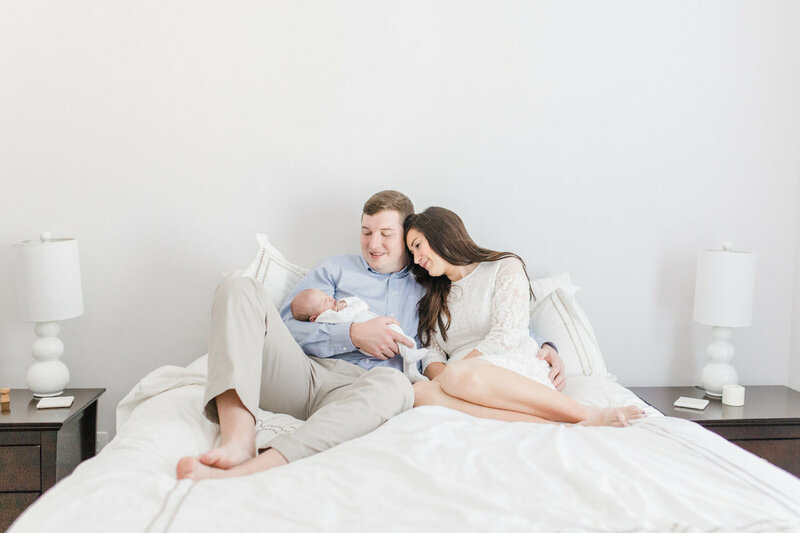 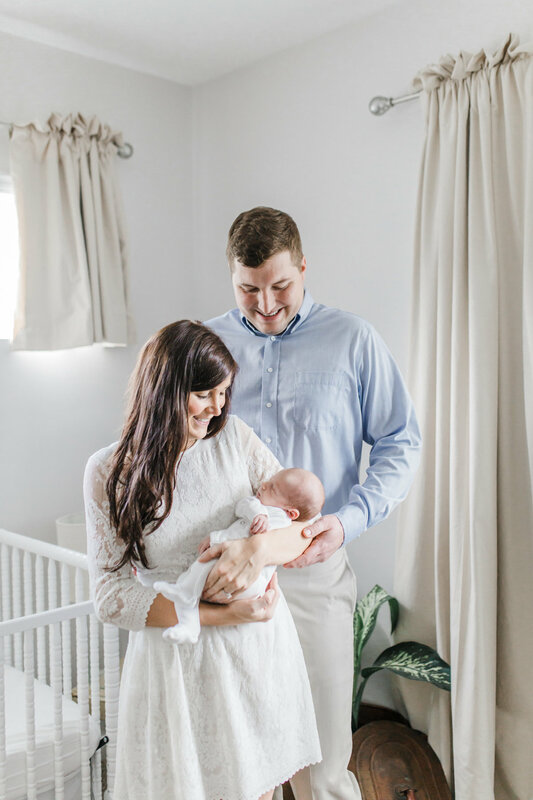 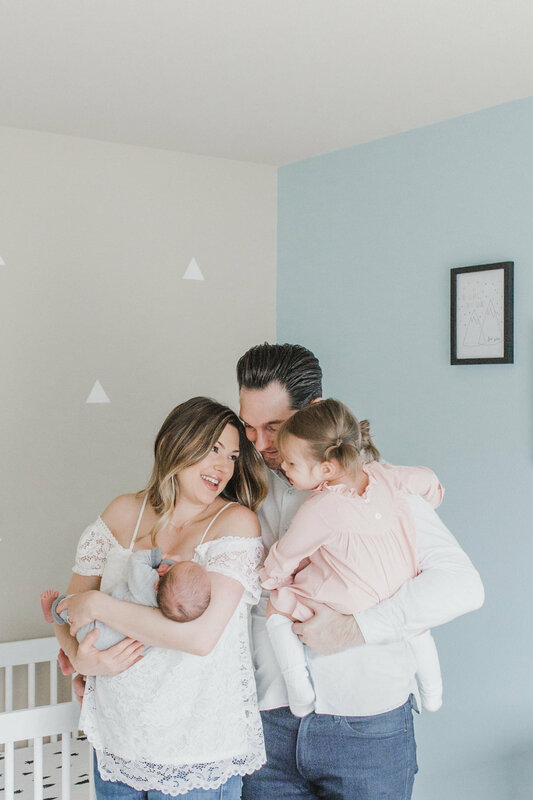 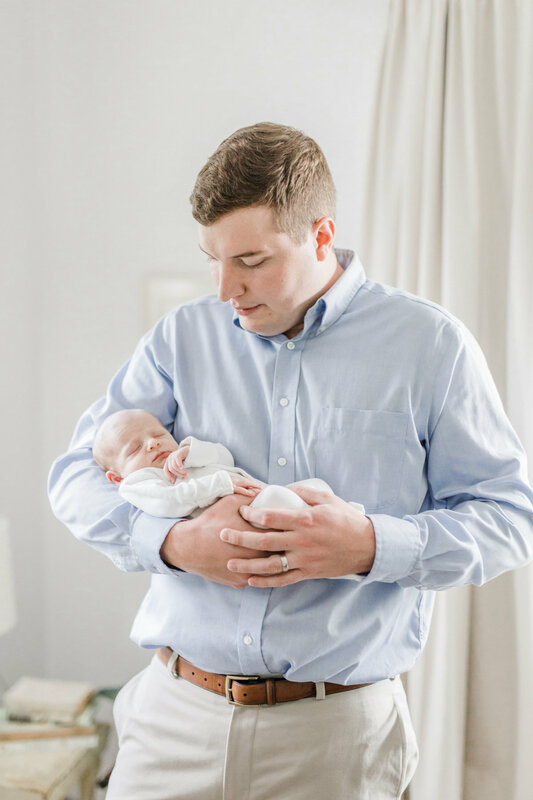 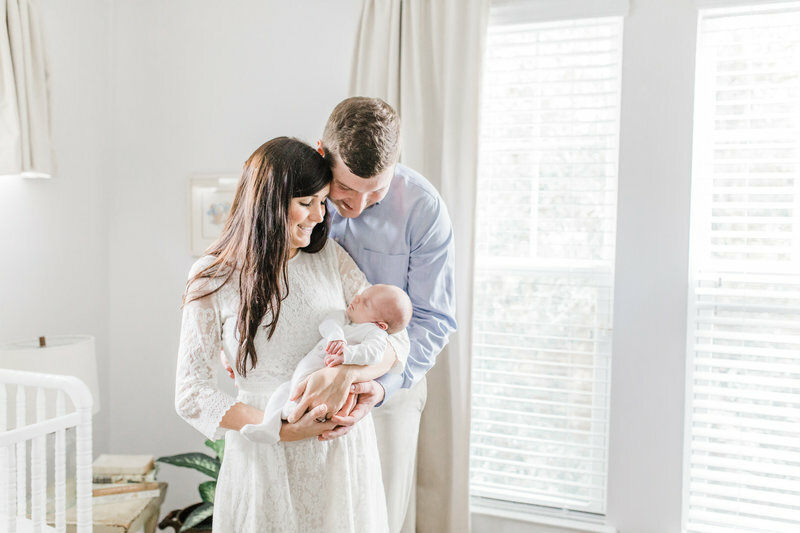 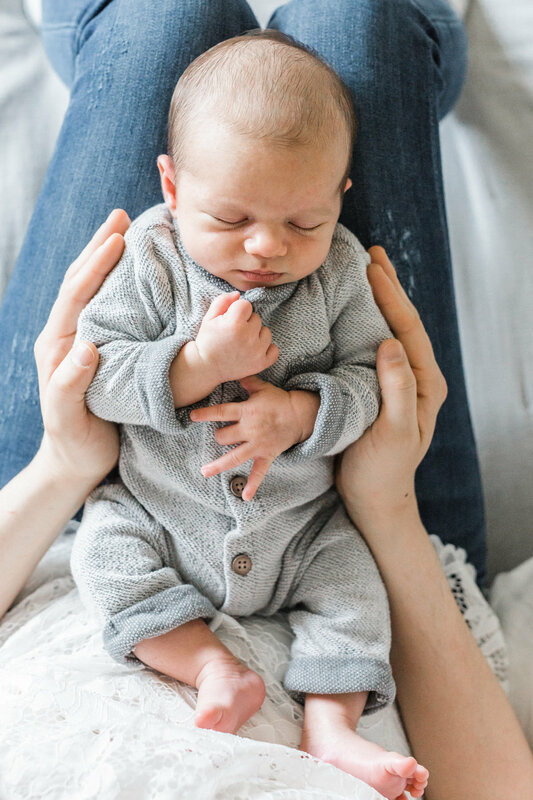 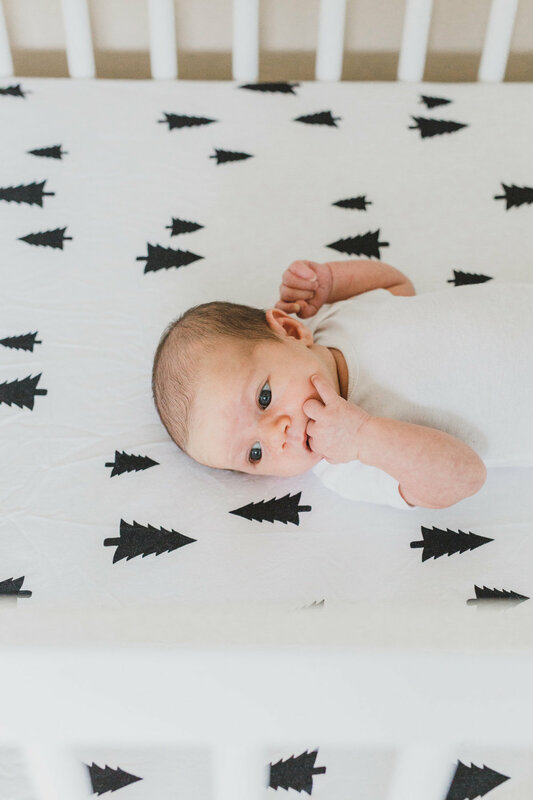 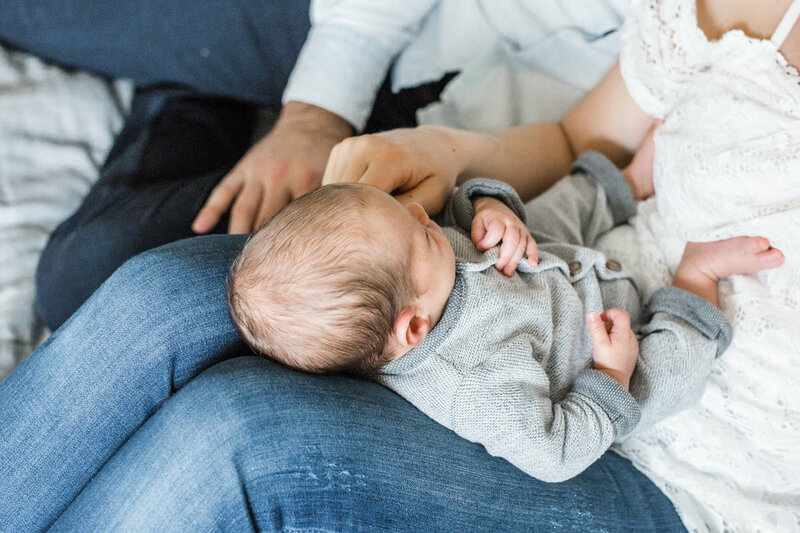 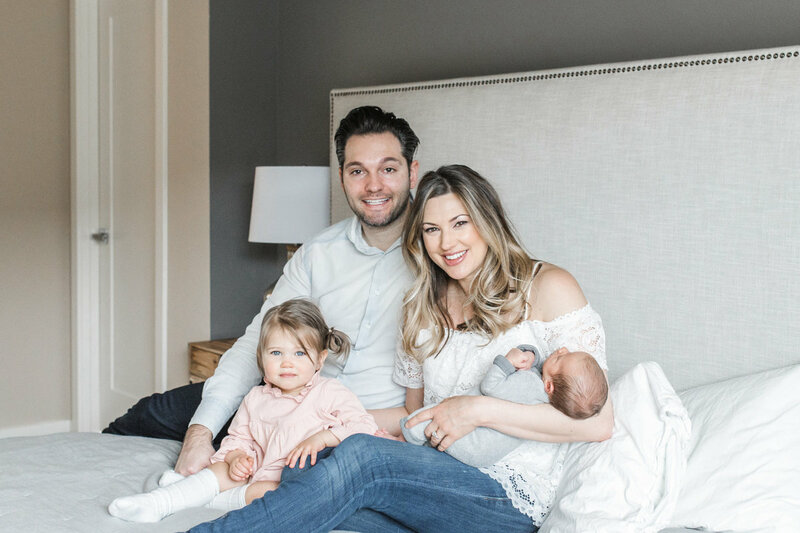 Our approach to newborn photography is very natural, organic, and meant to capture the connection between your family and new baby! 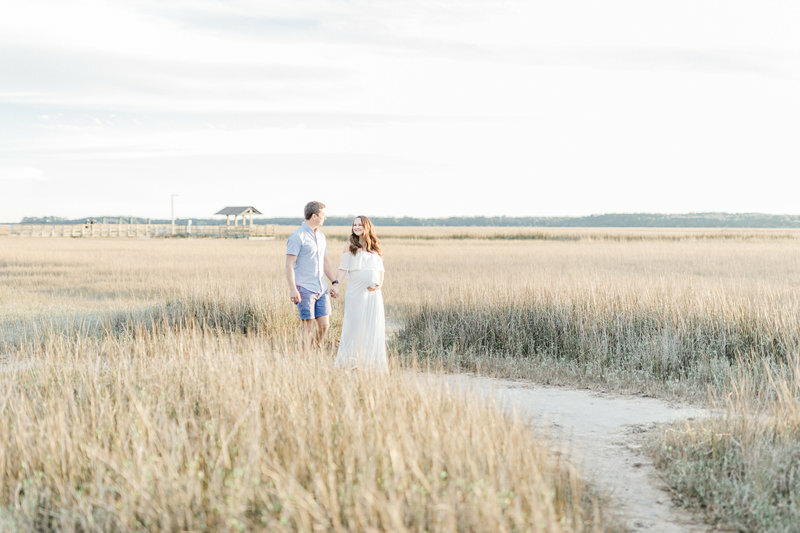 I’ve worked with a lot of photographers here in Charleston and Laura is by far my favorite. 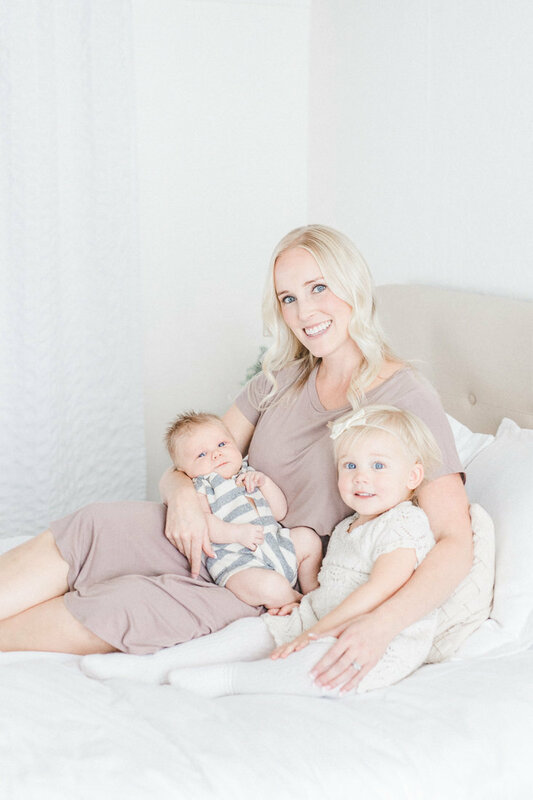 Her work is absolutely perfect, and she goes above and beyond for her clients. 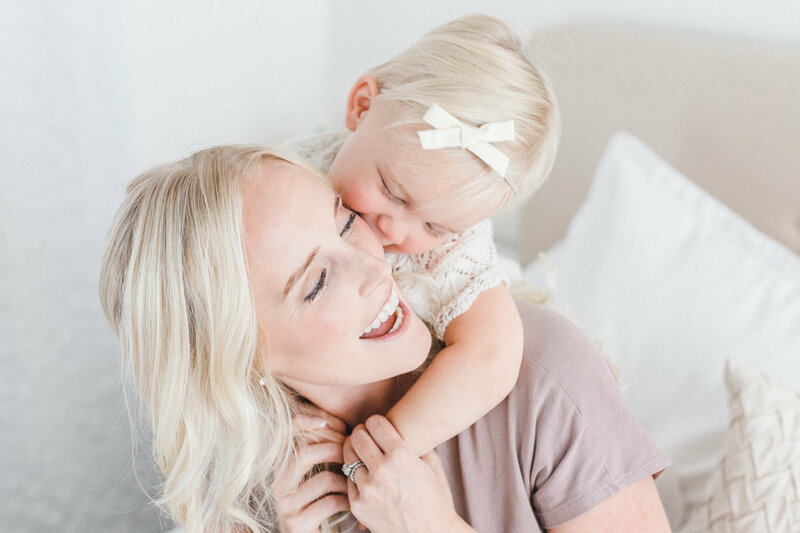 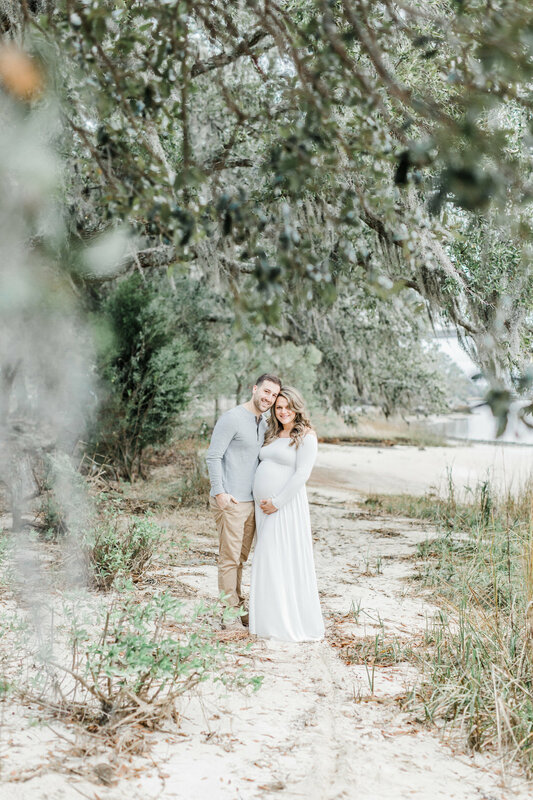 I had the pleasure of doing a maternity photoshoot with Laura and during our time together, she captured the most memorable moments with my daughter and I. 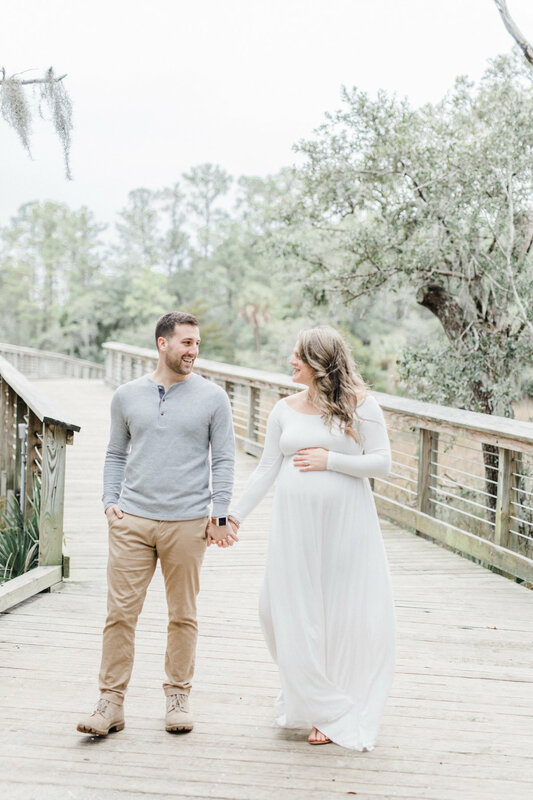 Next month we will be welcoming our son into this world and I can’t wait to have Laura capture even more precious moments with my family. 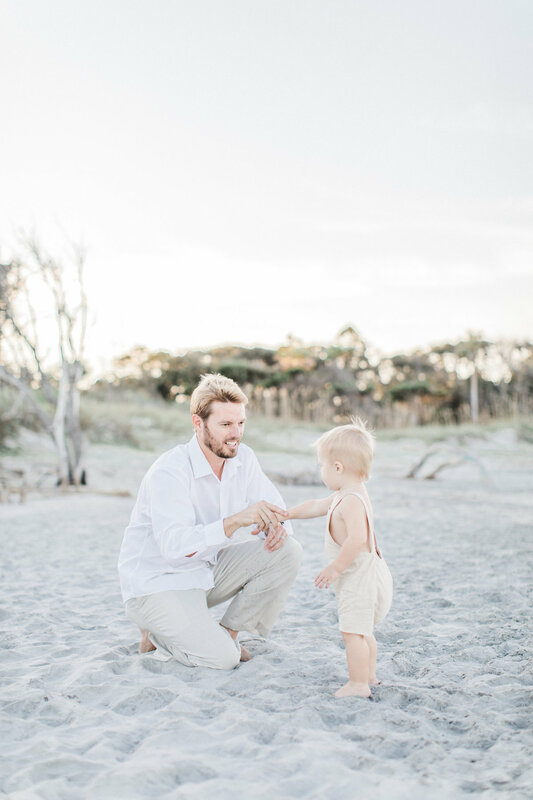 Hands down one of the most professional and caring individuals I have ever met. 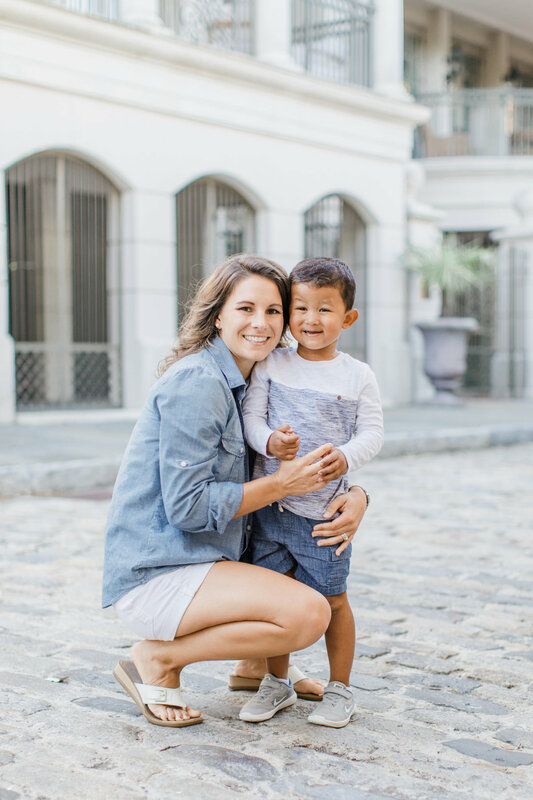 Thank you Laura for everything! 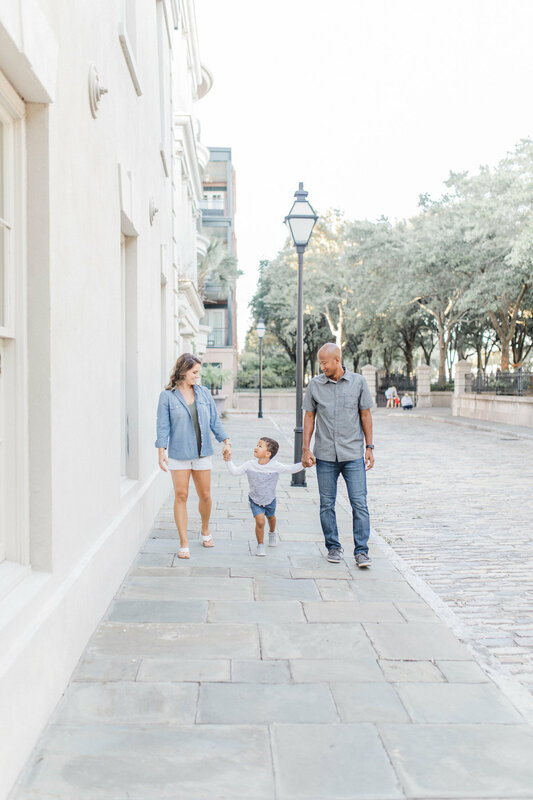 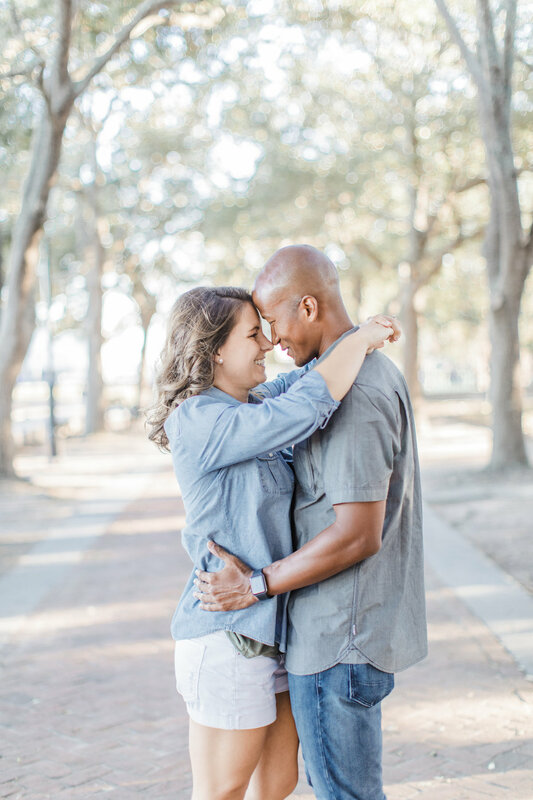 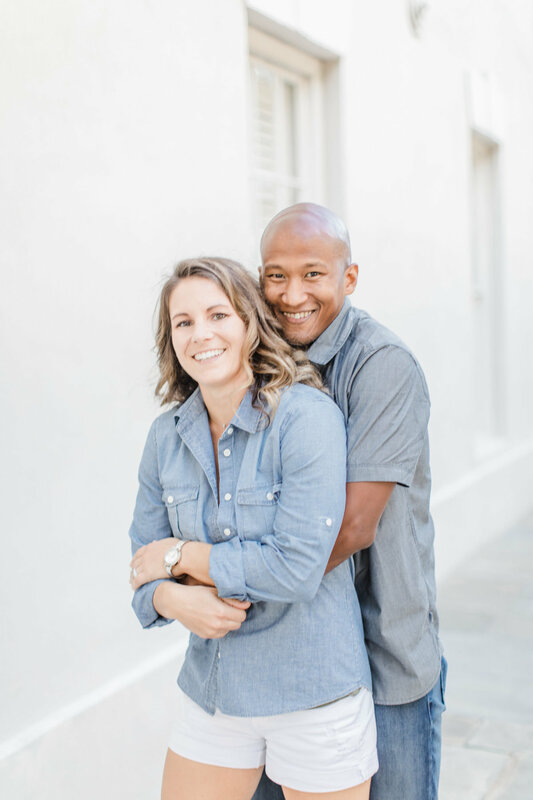 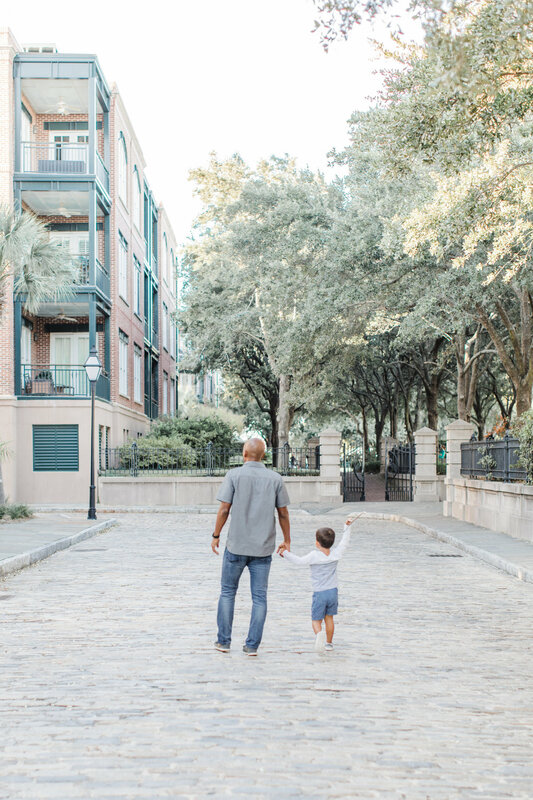 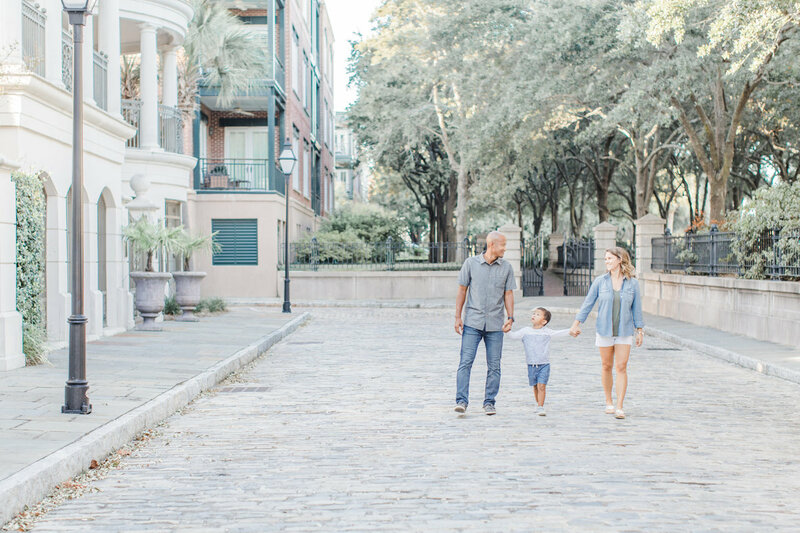 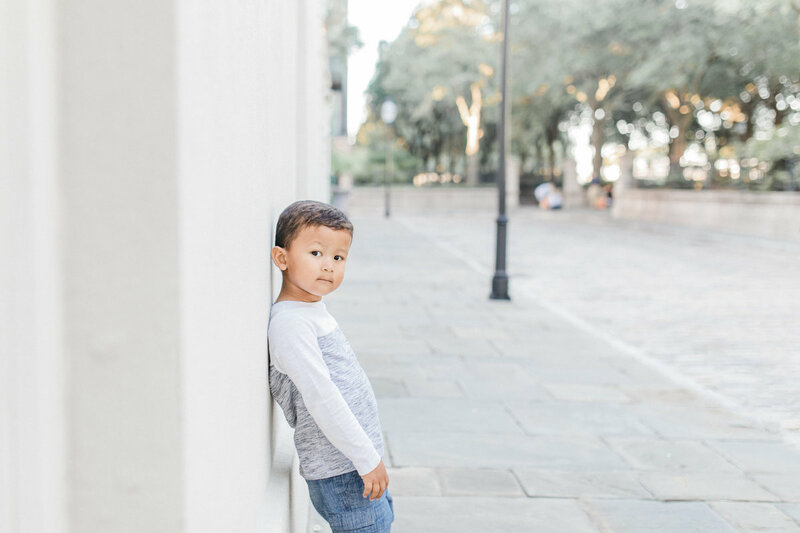 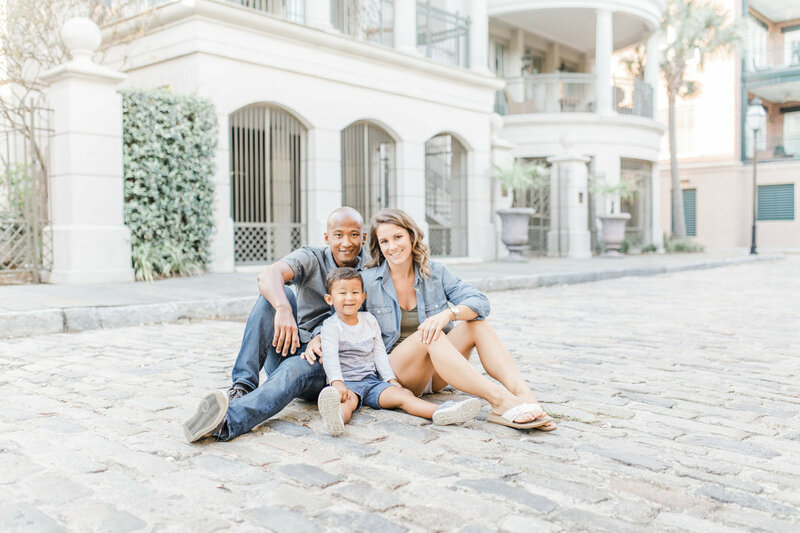 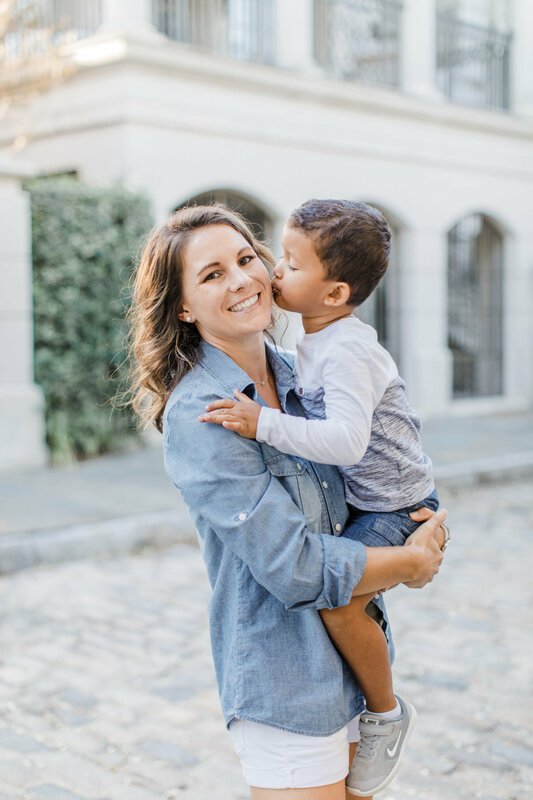 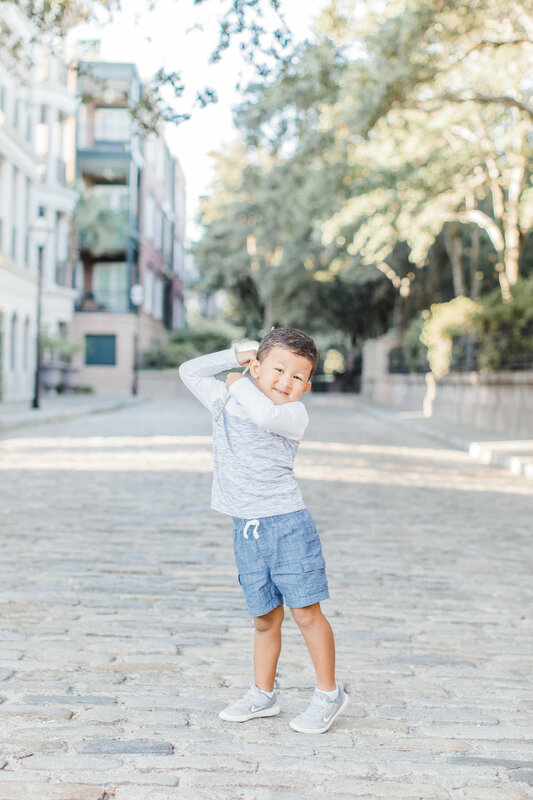 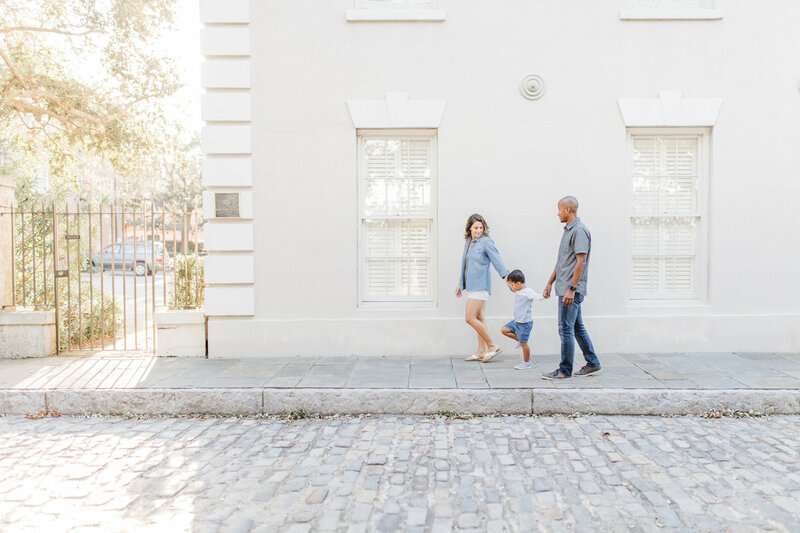 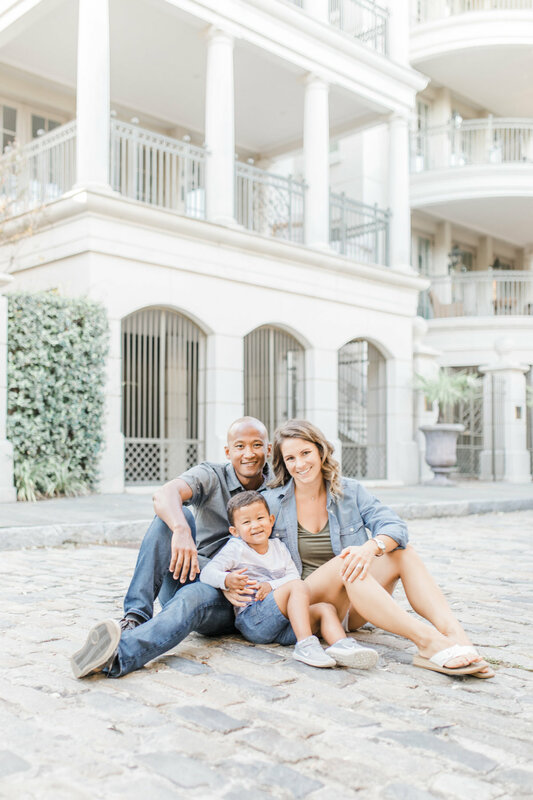 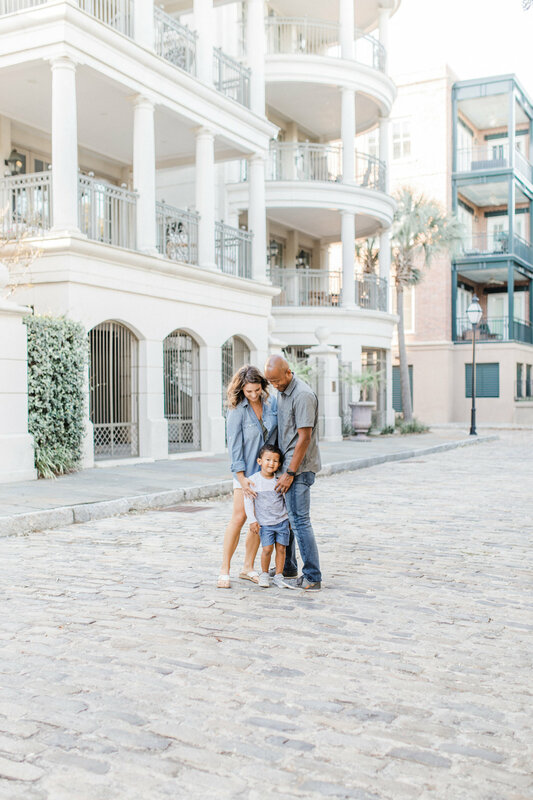 "Hands down one of the most professional & caring individuals I have ever met"
Laura Ryan was a great photographer in Charleston to work with. 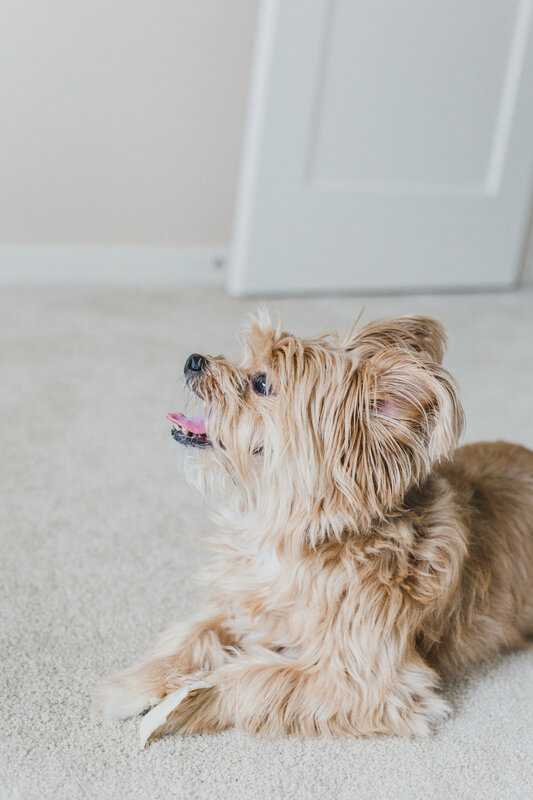 She made my family feel comfortable and really took her time to make sure the quality of the pictures would be great. 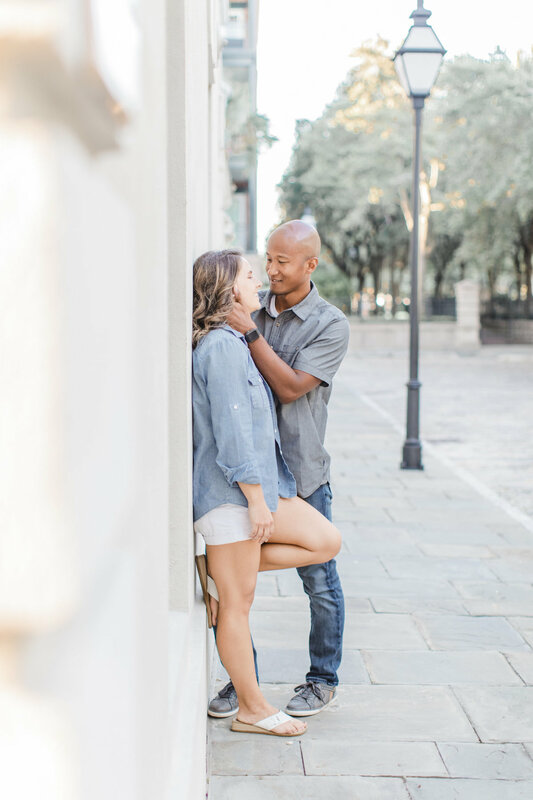 I appreciate her contact over the phone and in person before the photo shoot to ensure we felt like she was the best photographer for us. 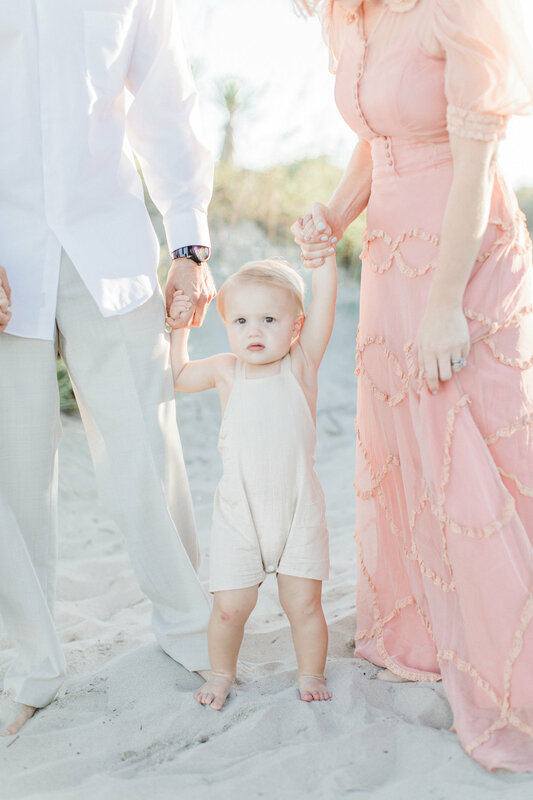 She also was a huge help with deciding our outfits and what would work well together. 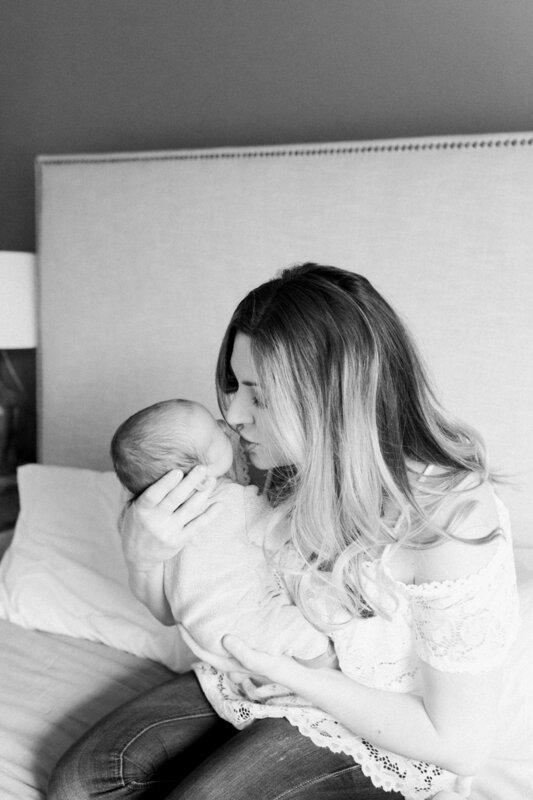 My little newborn loved her as well! 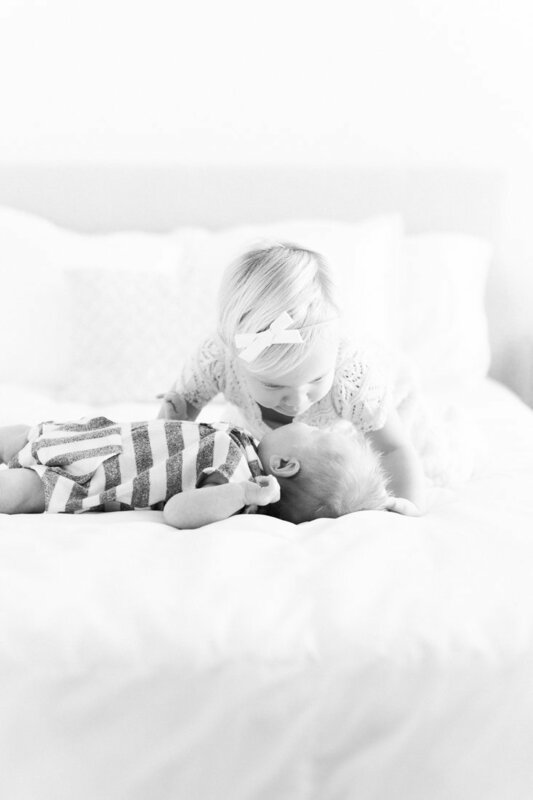 She was excellent with him and knew how to pose him and swaddle him perfectly. 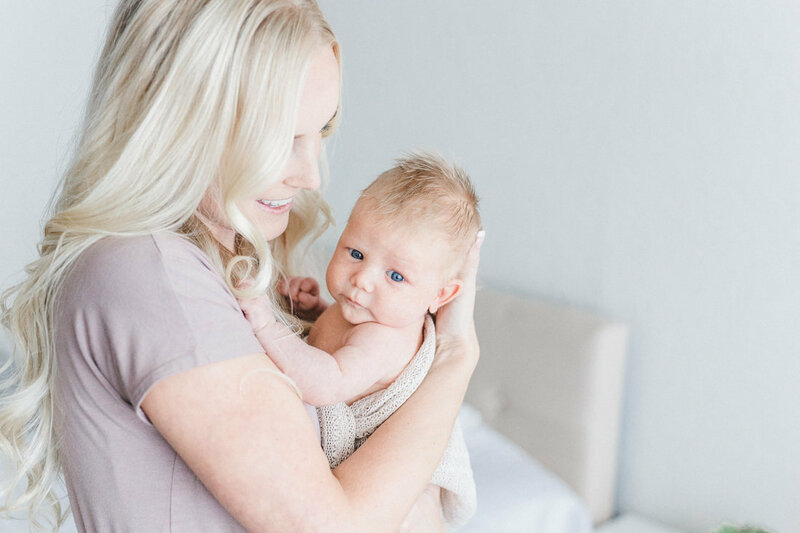 We will use her for our next newborn for sure! 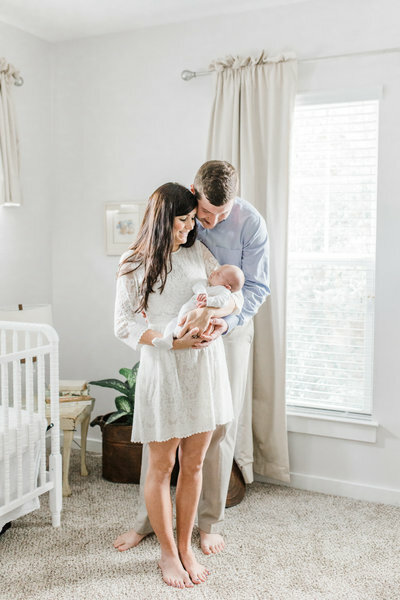 "We will use her for our next newborn for sure!!" 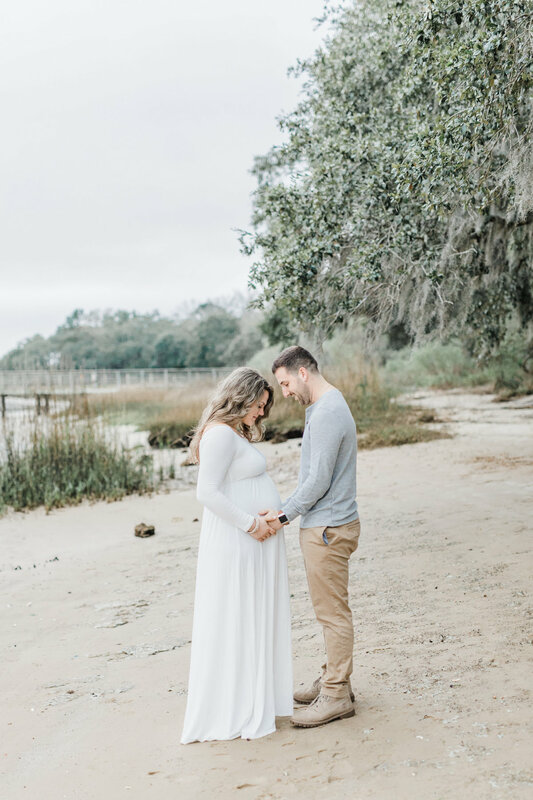 We had our maternity/family photos taken by Laura, and we were very happy with the entire experience. 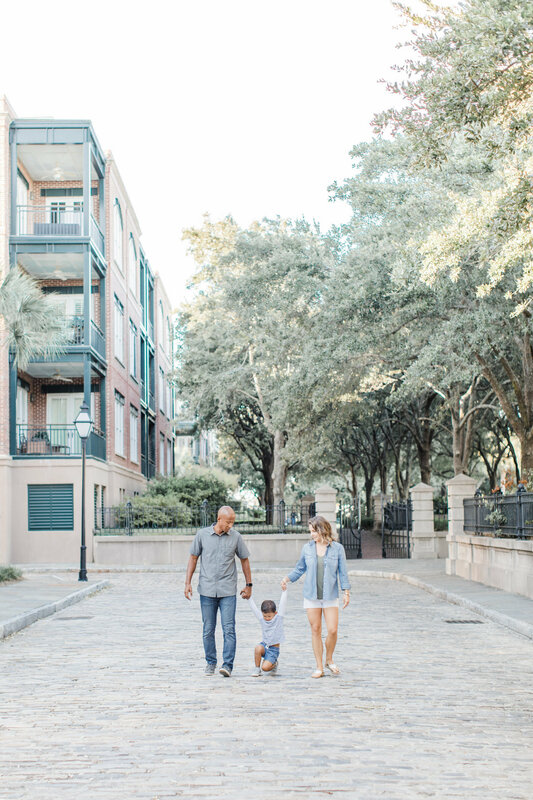 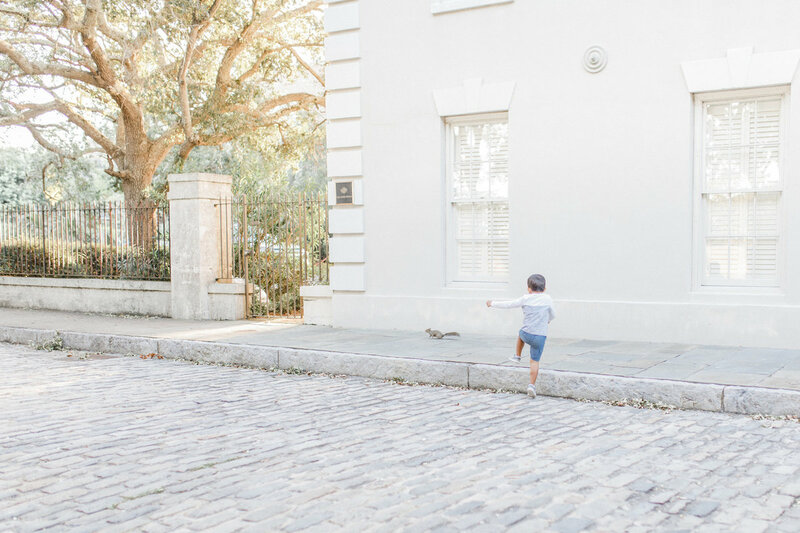 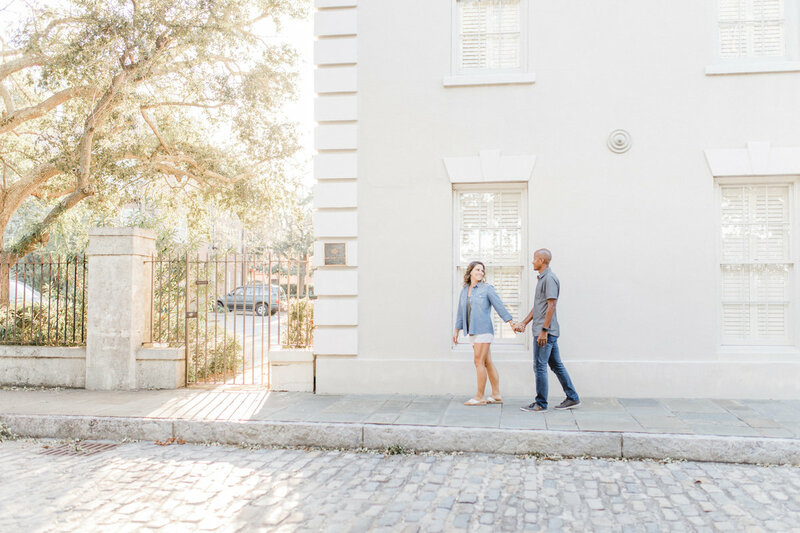 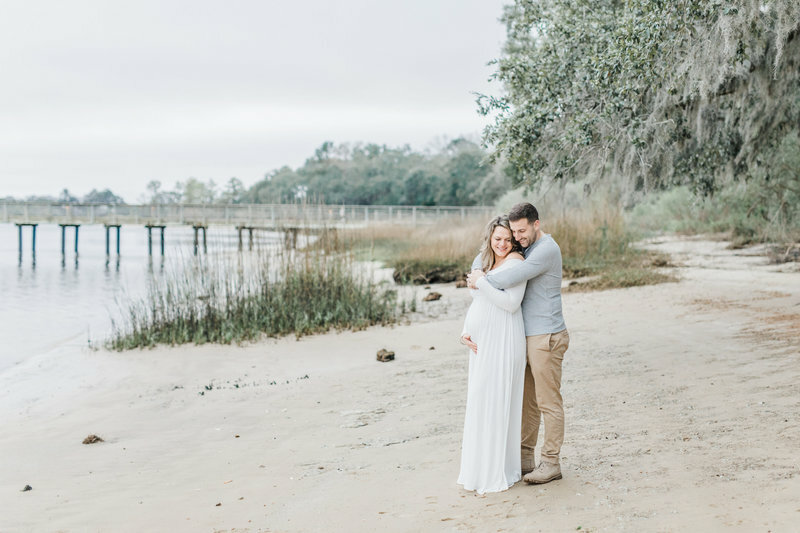 We live on James Island, so I was very happy when she found a beautiful location with a wonderful Charleston backdrop not too far away from our home. 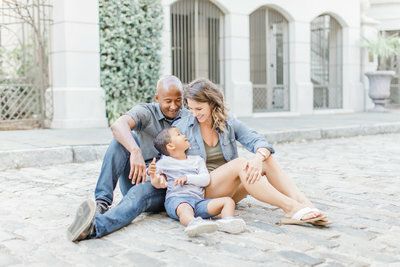 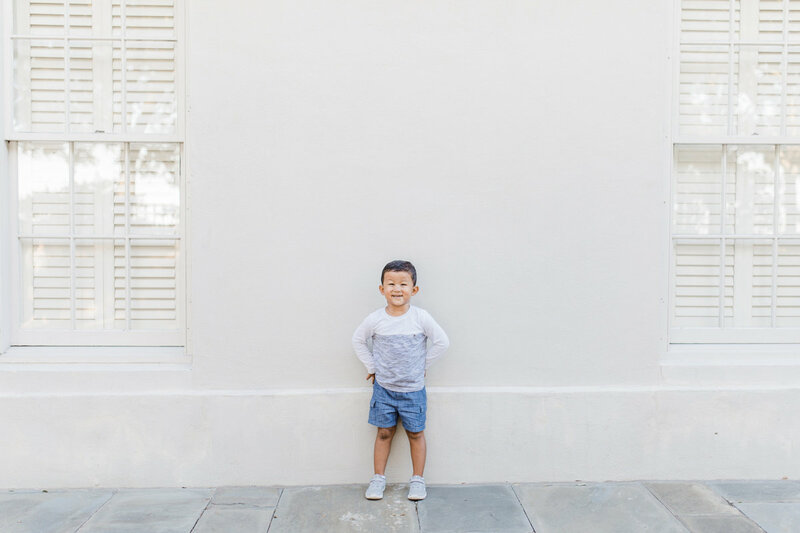 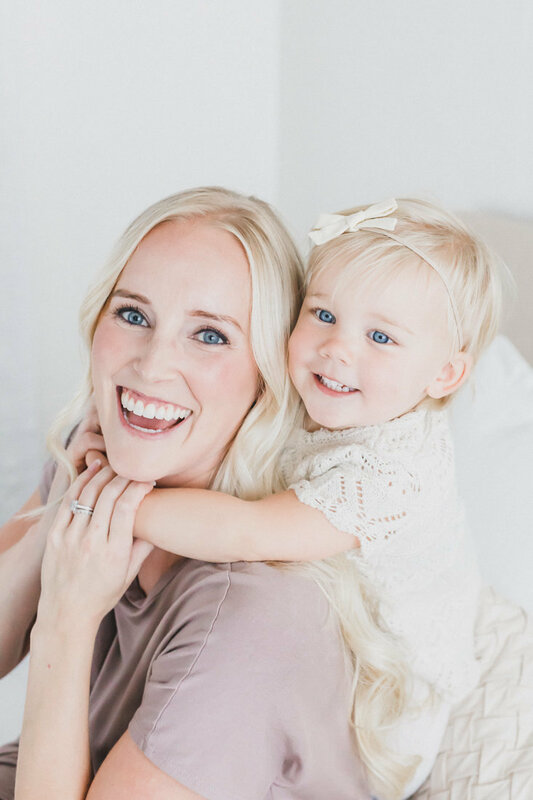 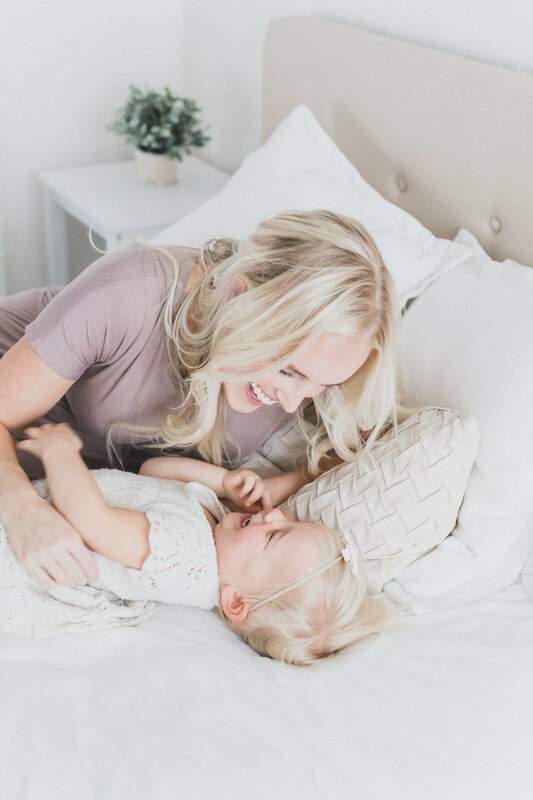 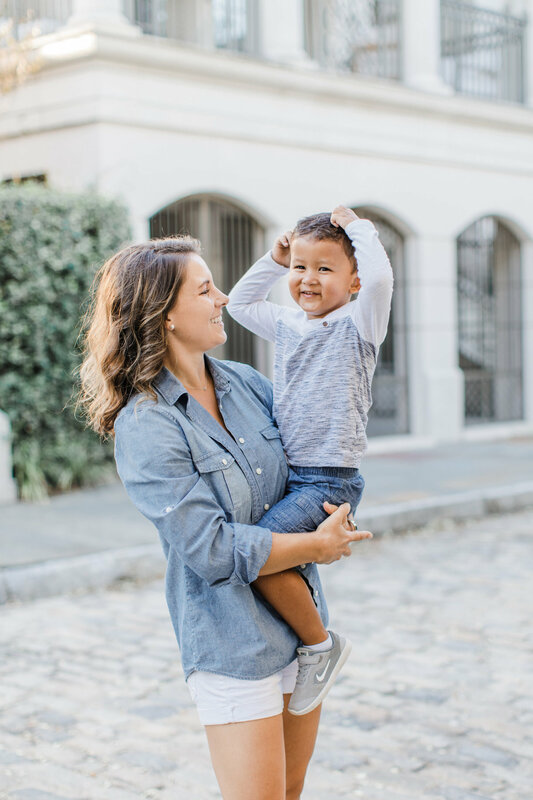 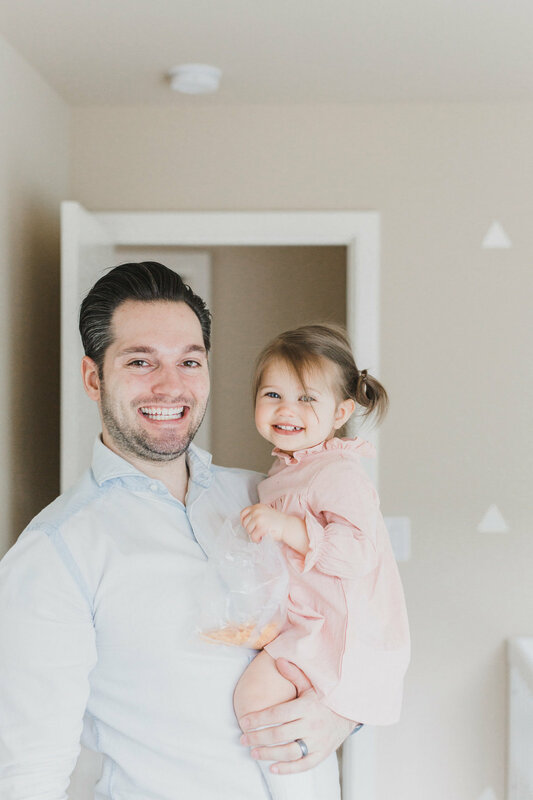 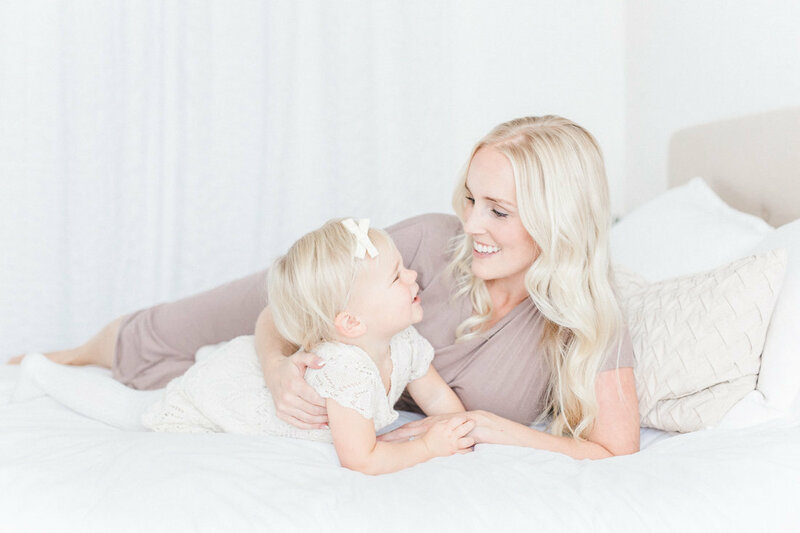 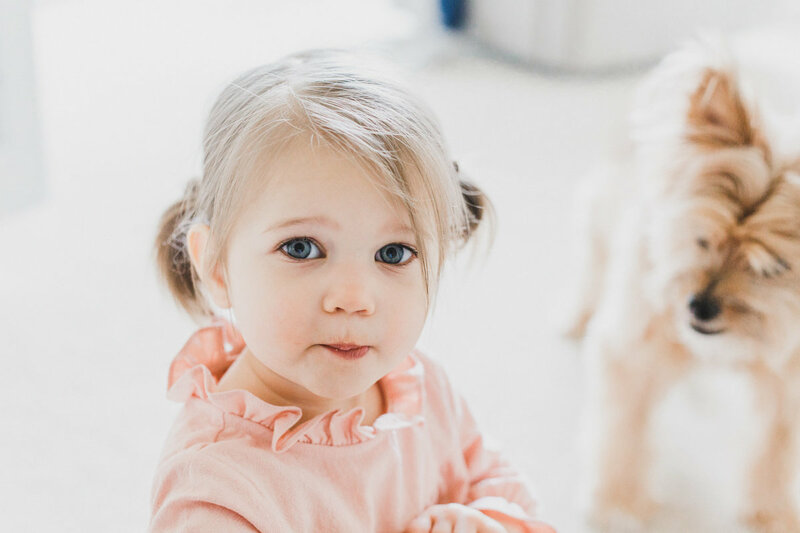 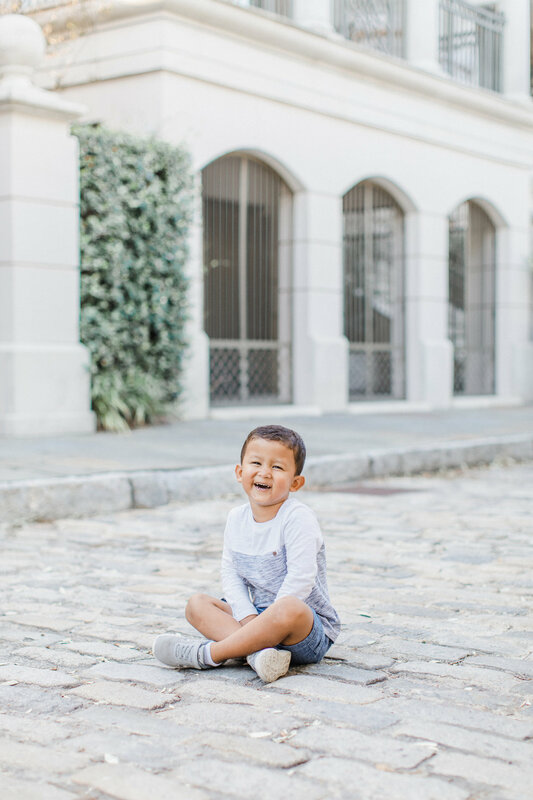 From wardrobe planning to capturing the very rare moments when our two year old would cooperate and actually smile at the camera, Laura was very professional and a joy to work with! 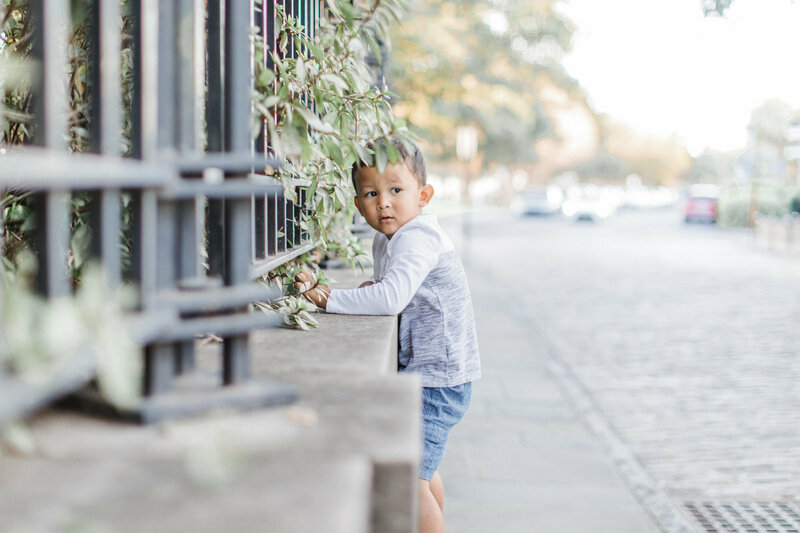 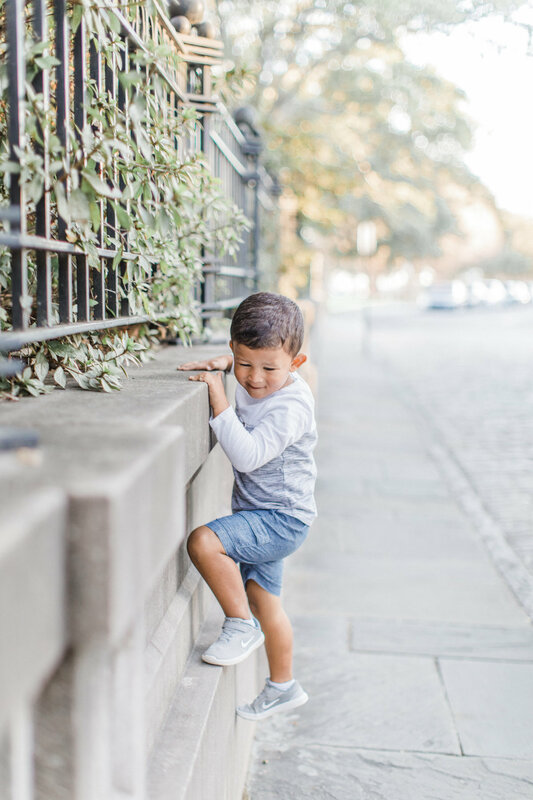 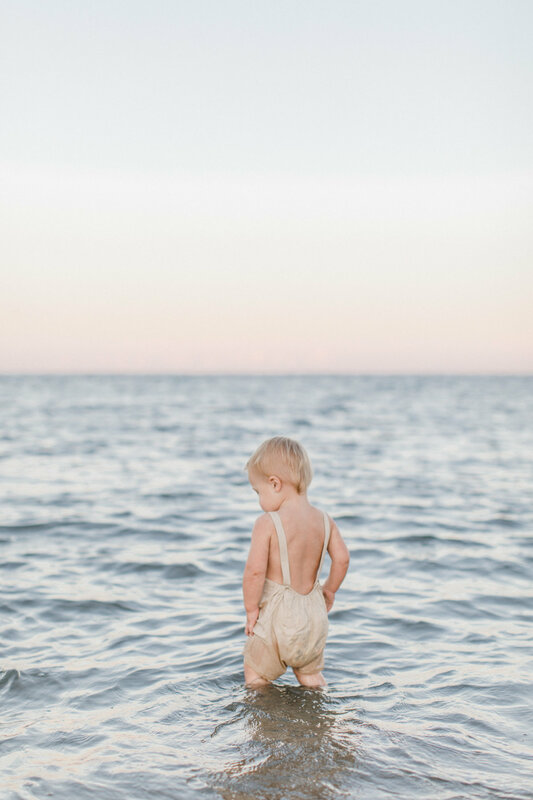 She was also able to capture everything we wanted in a very timely manner, which was perfect for our busy toddler. 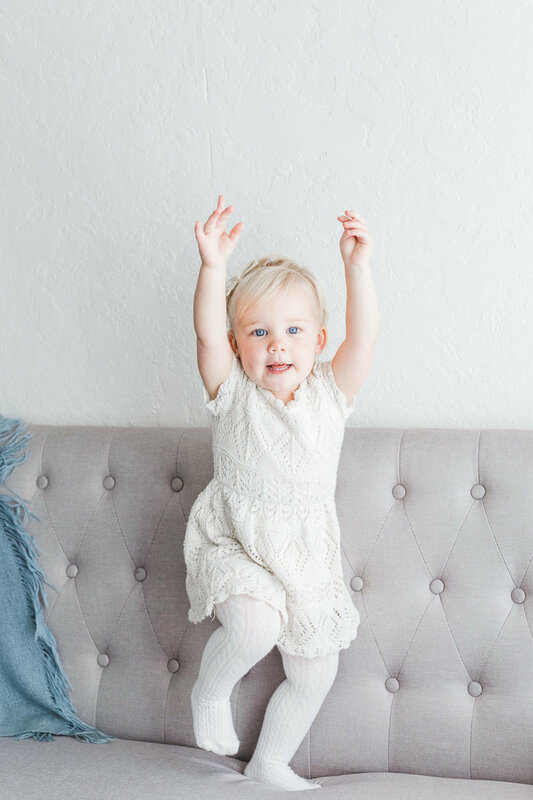 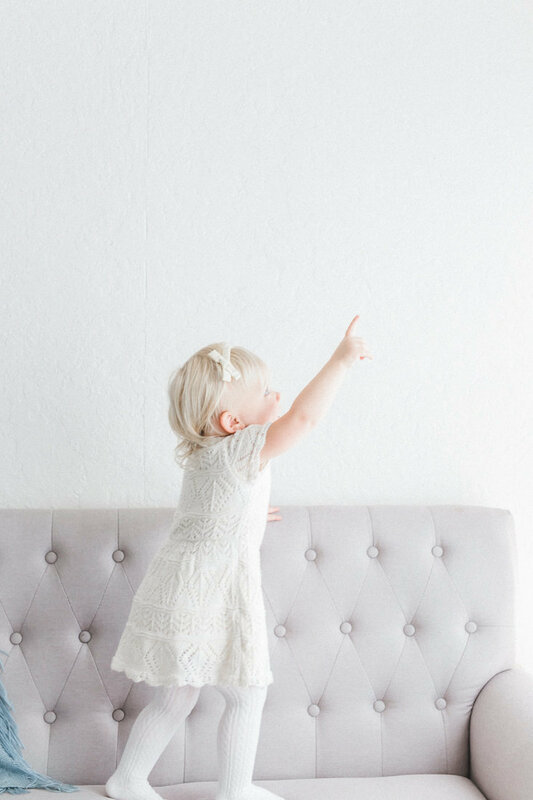 We will definitely use her for any future family photography needs! 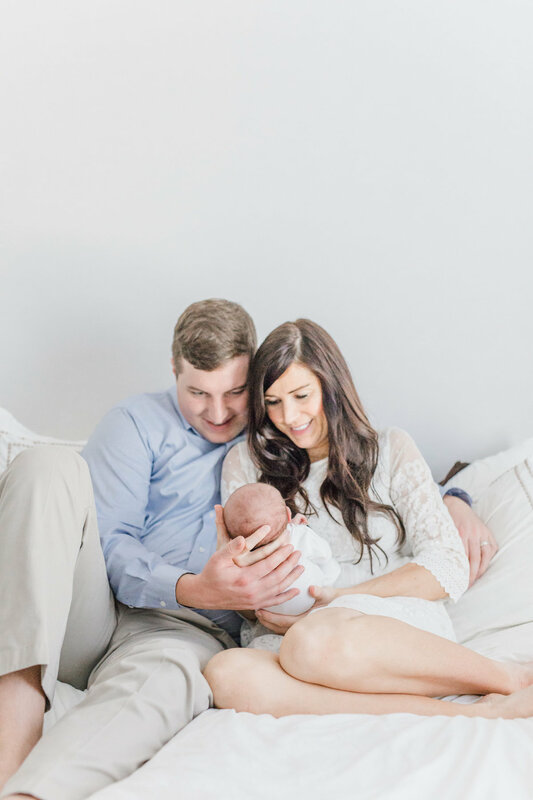 "We were very happy with the entire experience." 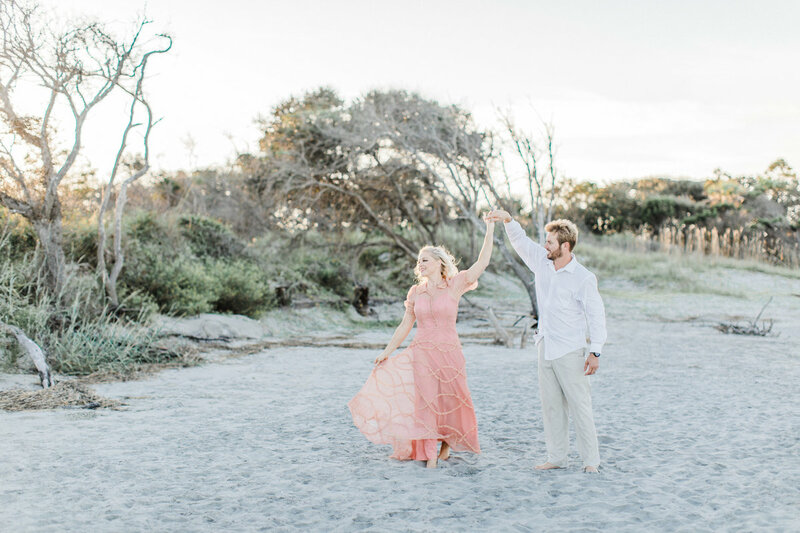 Laura is one of the best photographers I’ve worked with in Charleston, SC. 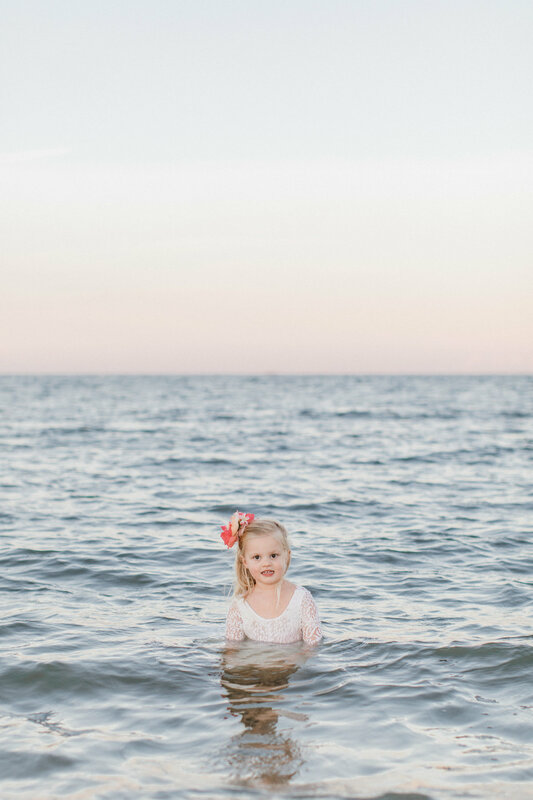 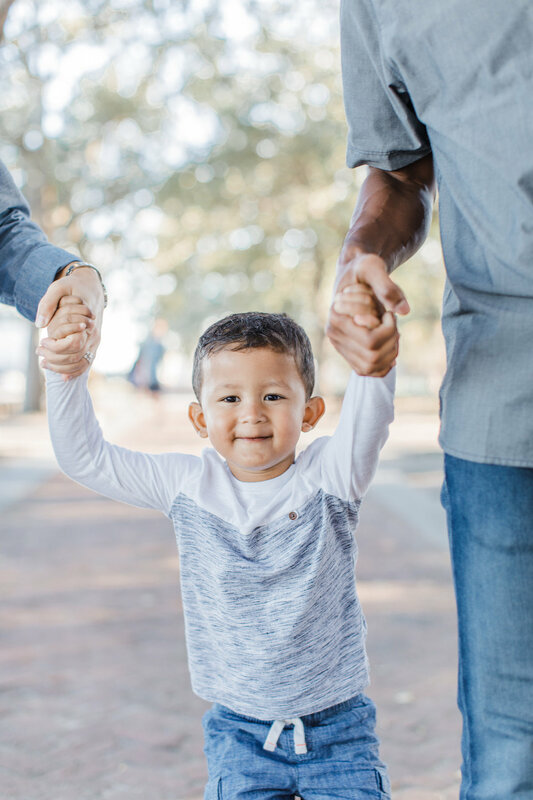 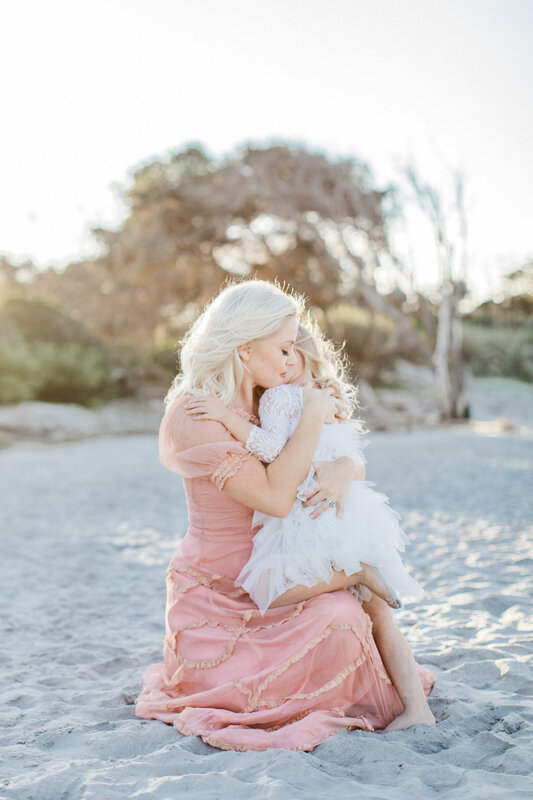 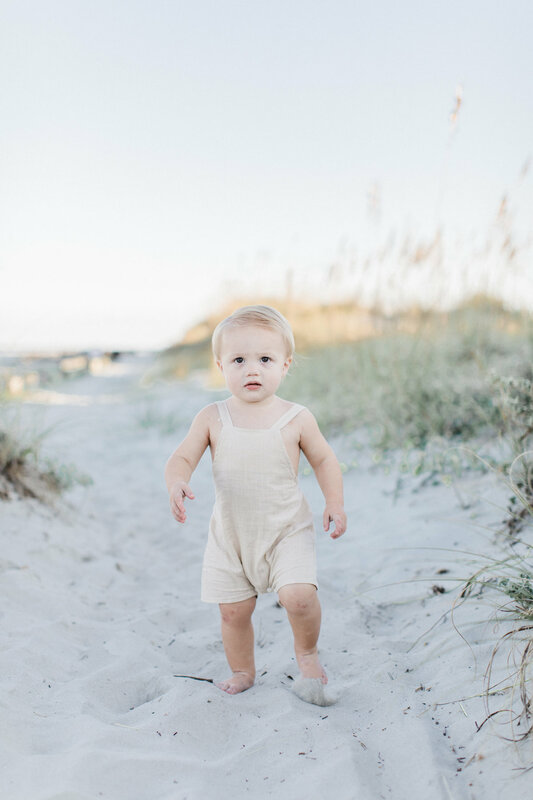 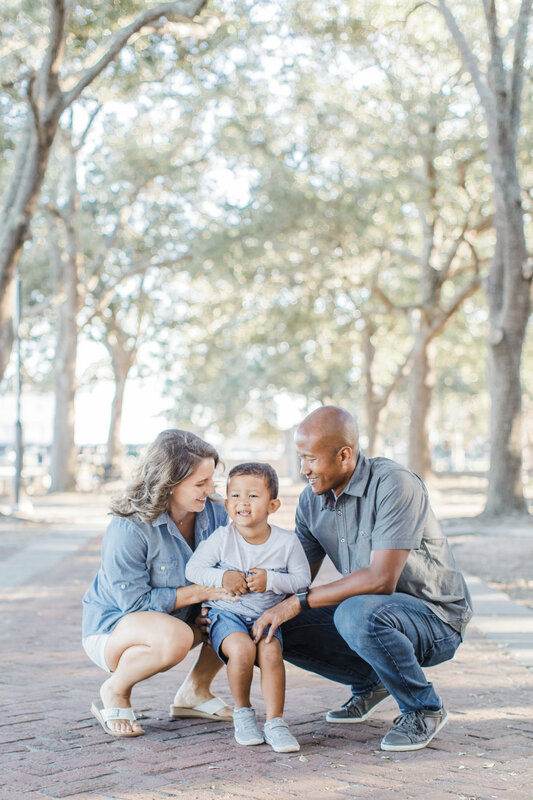 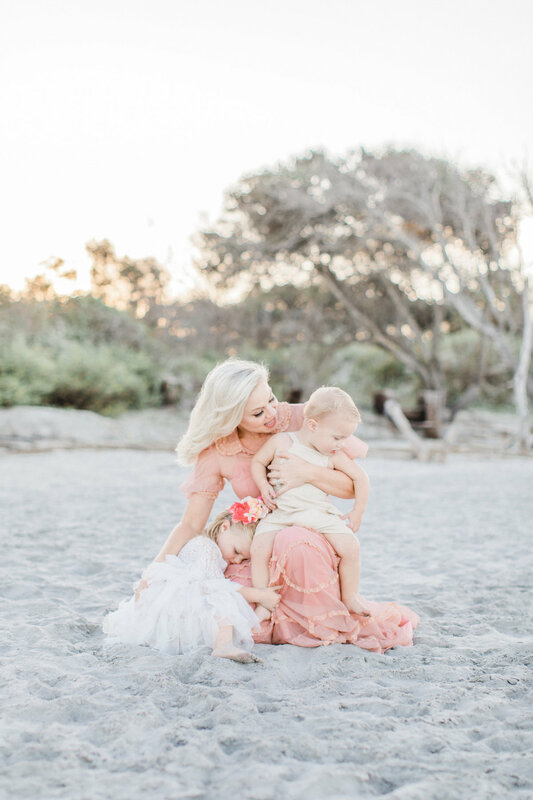 Our family portrait beach session was an absolute dream - she made shooting with two toddlers seem like a walk in the park! 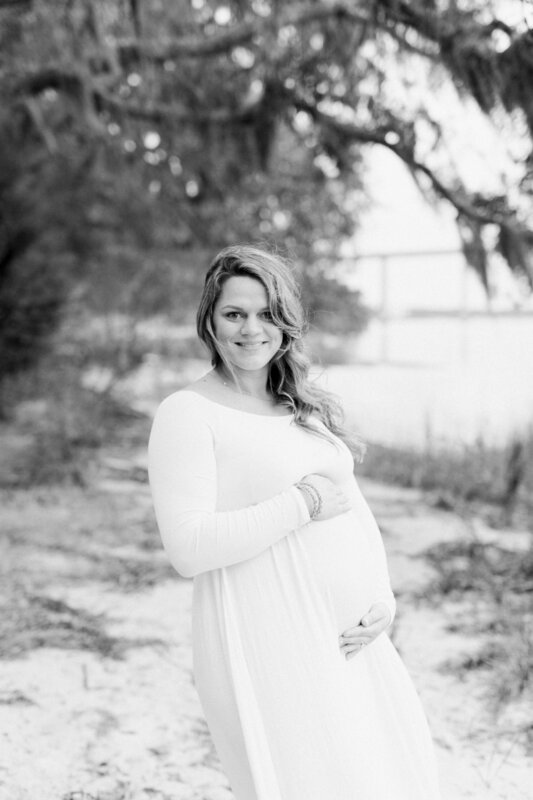 Our pictures turned out beautiful and she was quick with editing and turn around time. 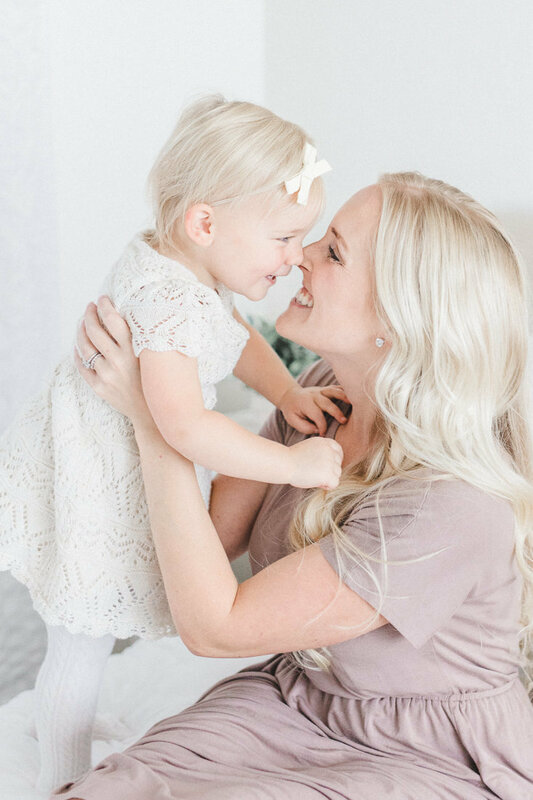 Can’t recommend her enough!!!! 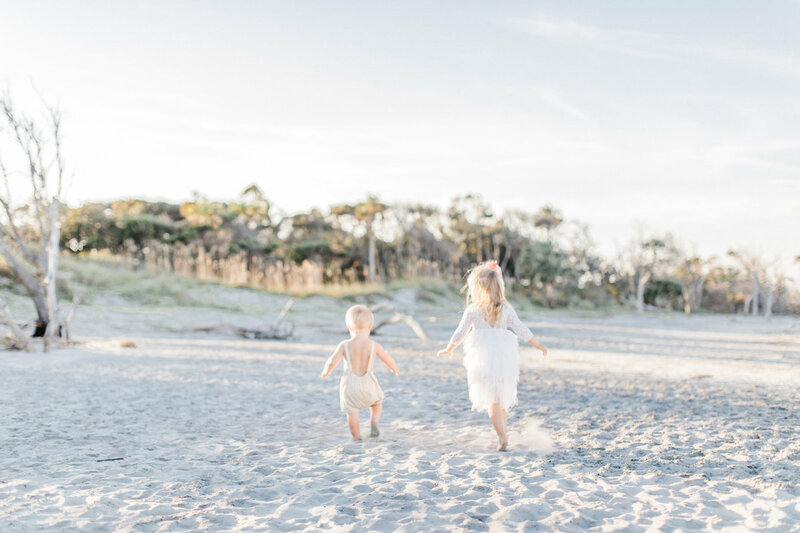 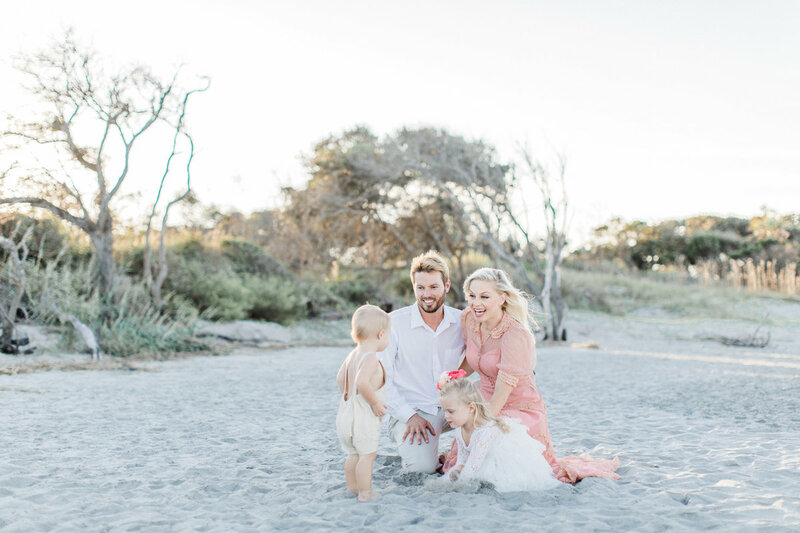 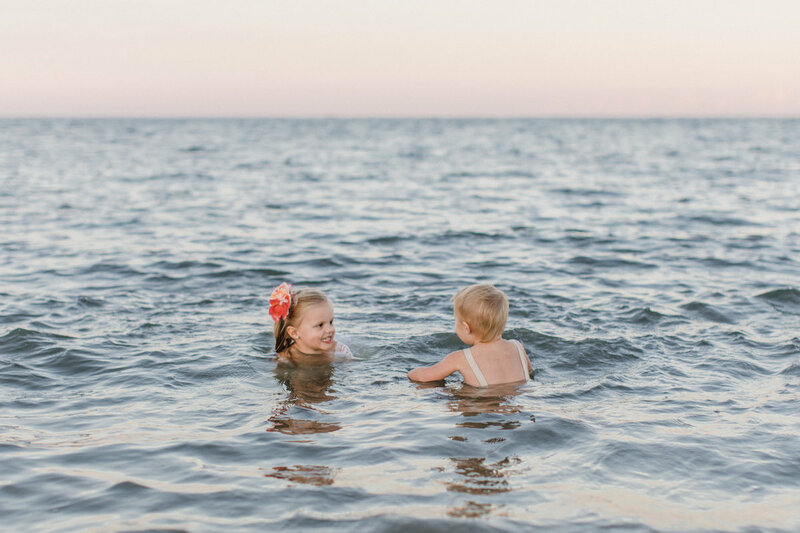 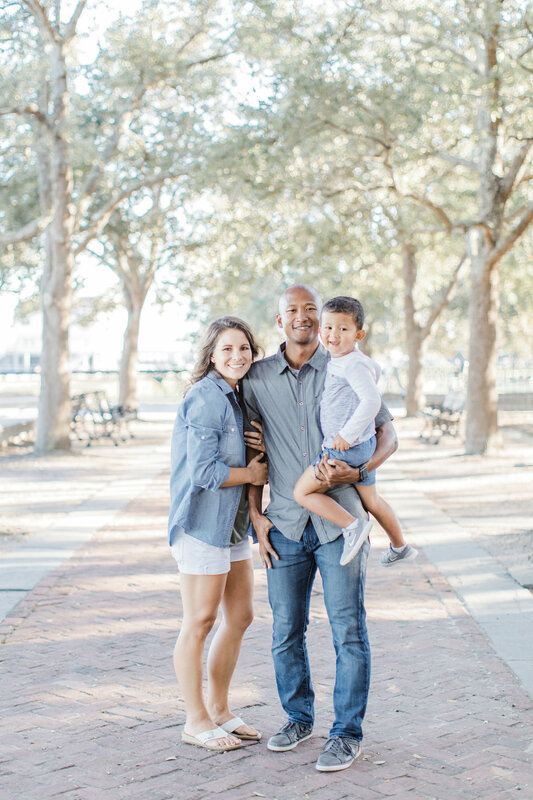 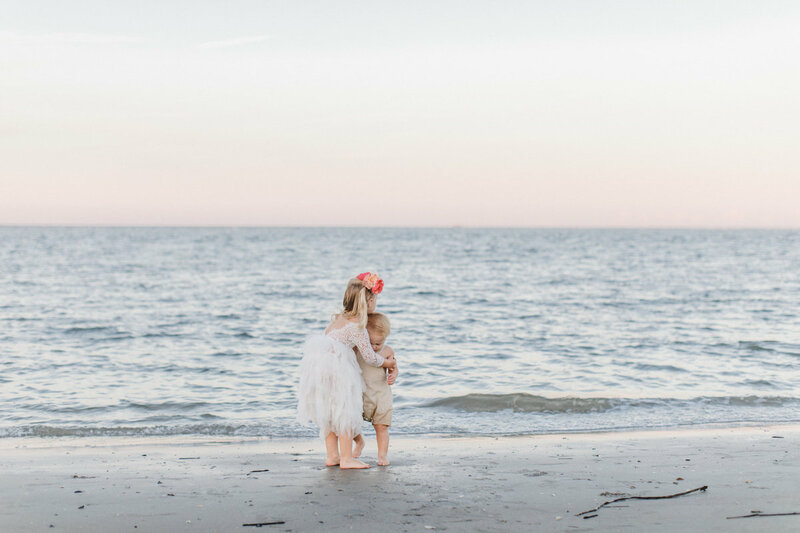 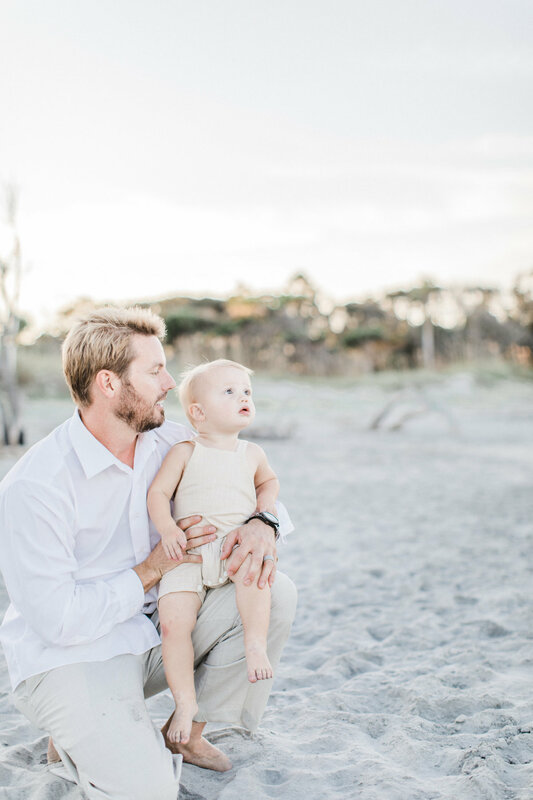 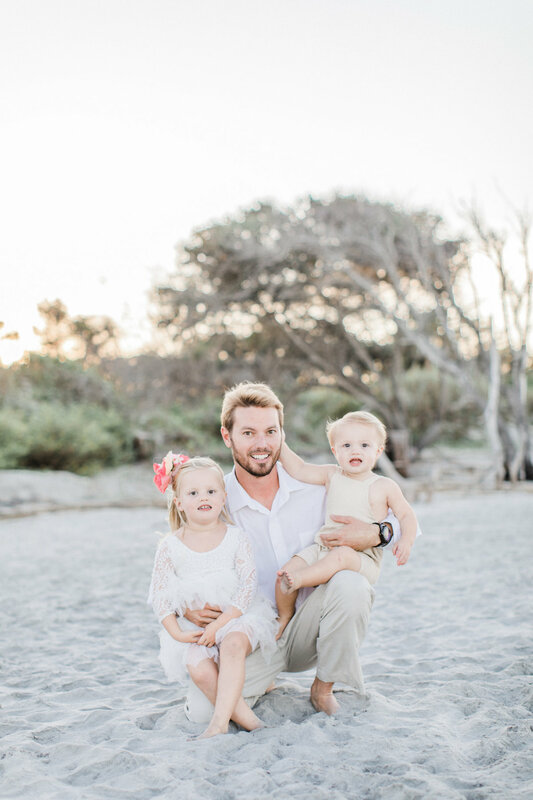 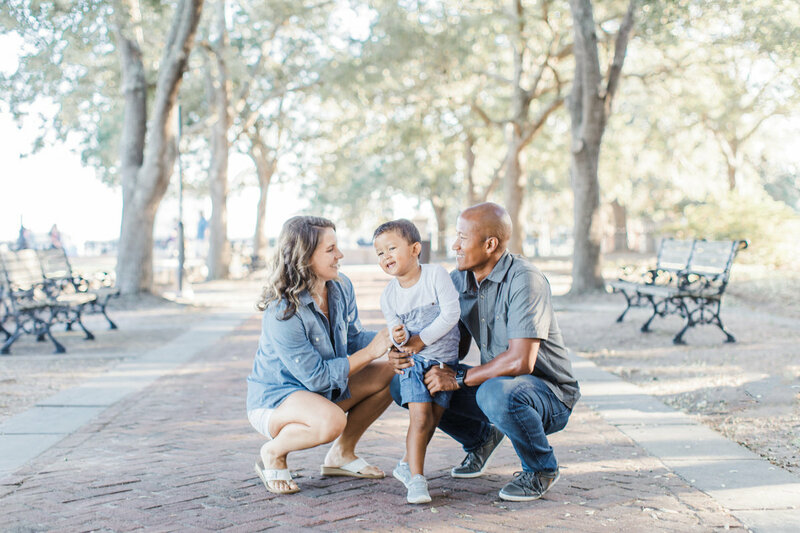 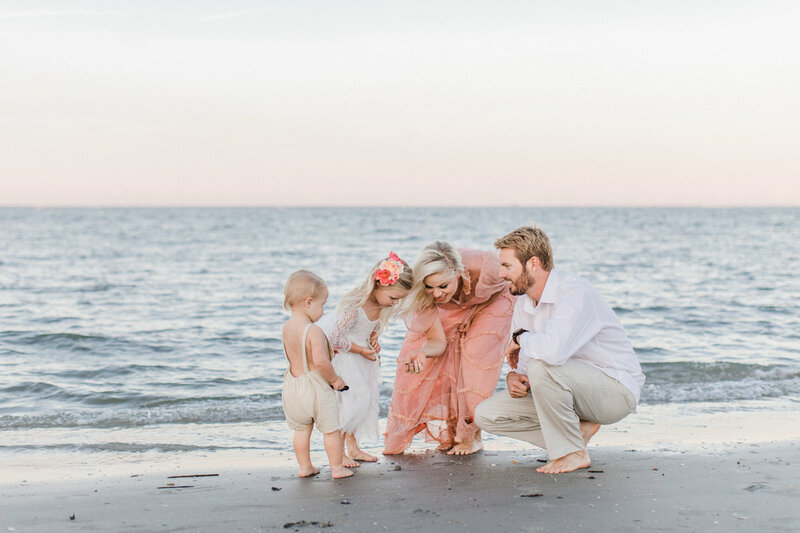 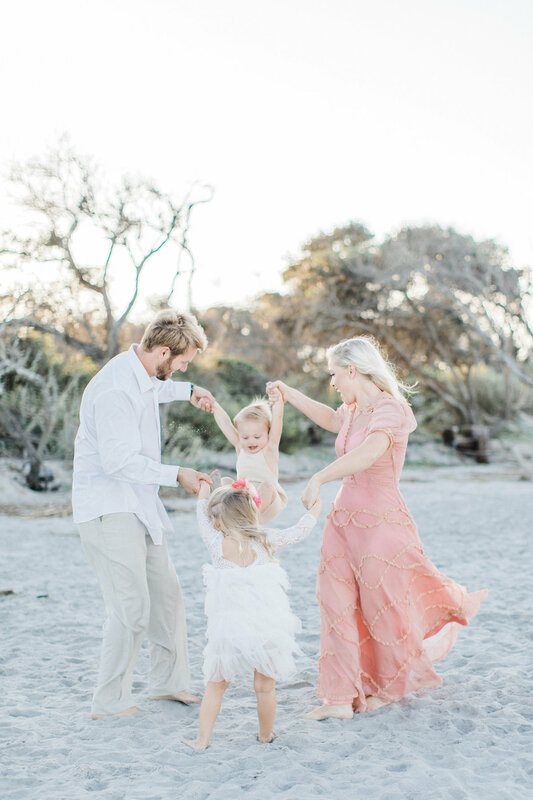 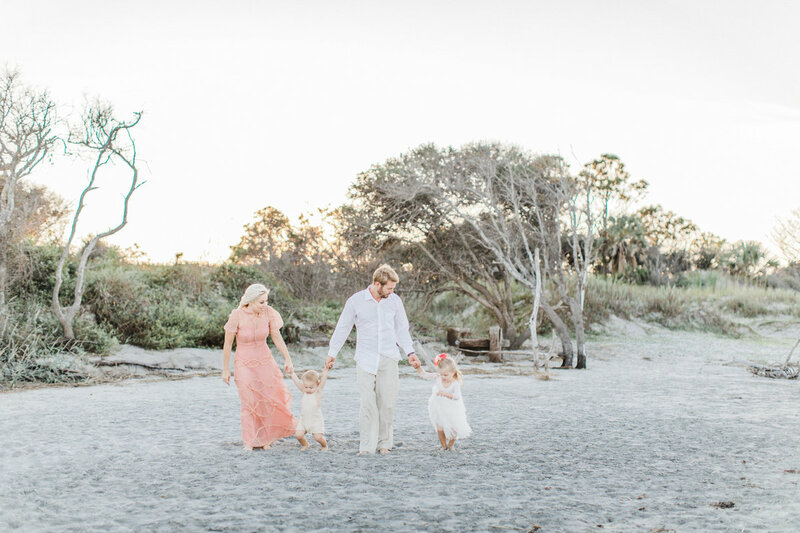 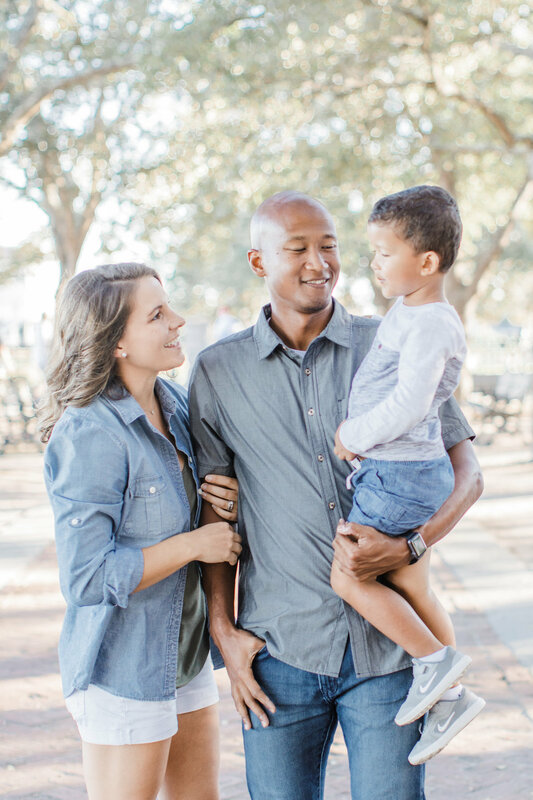 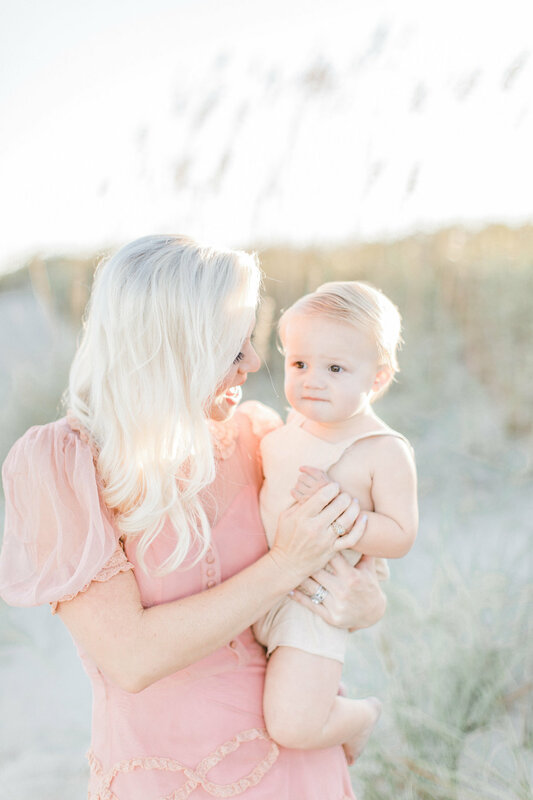 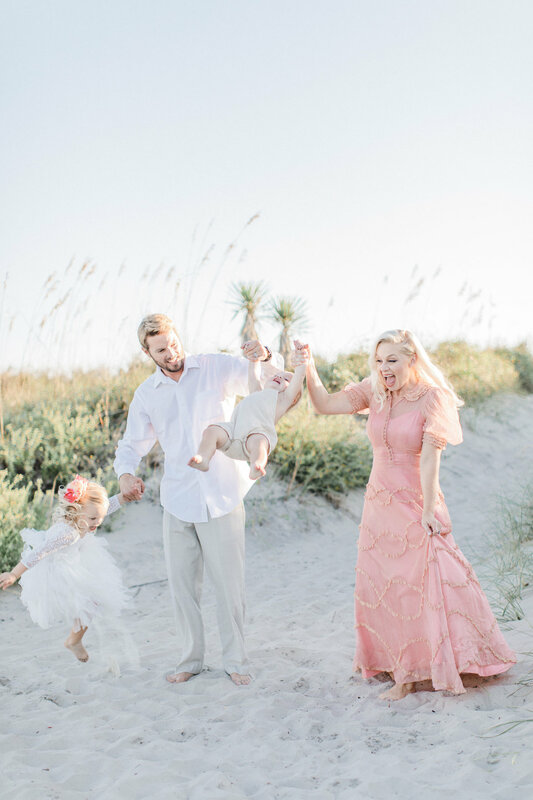 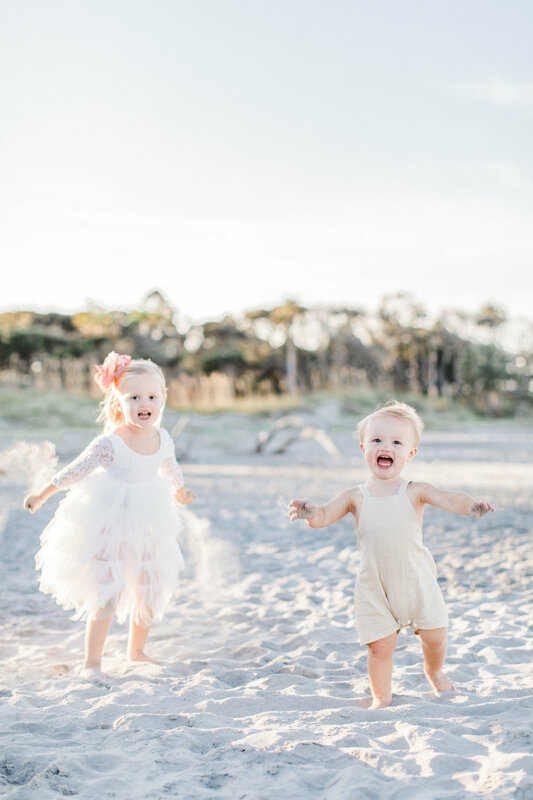 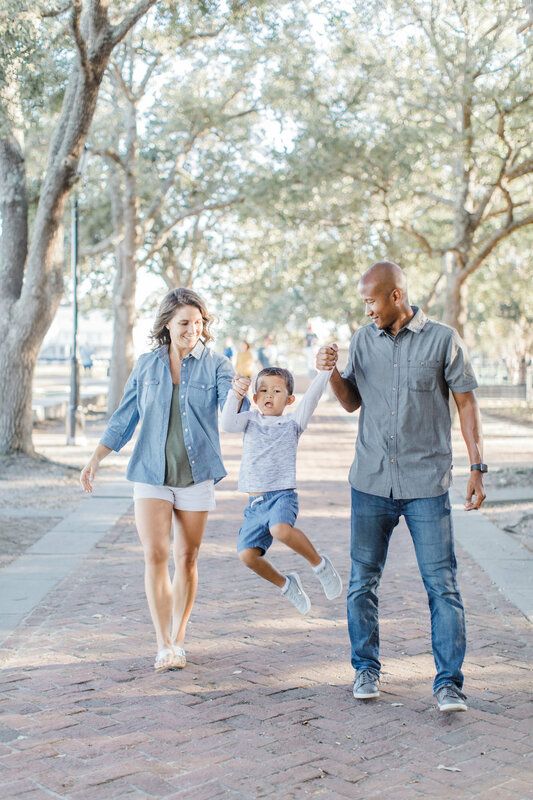 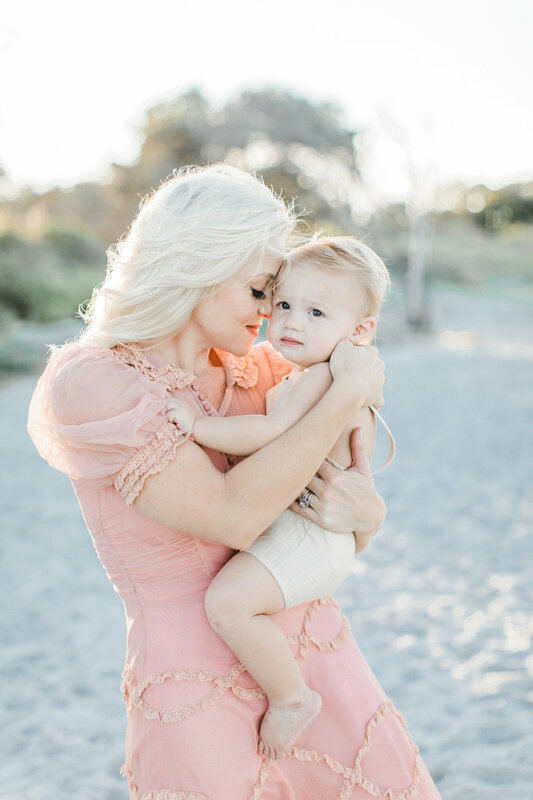 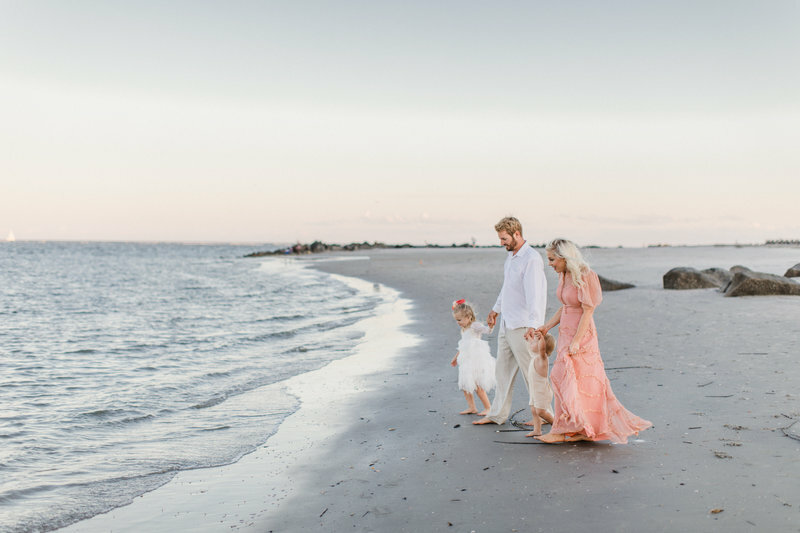 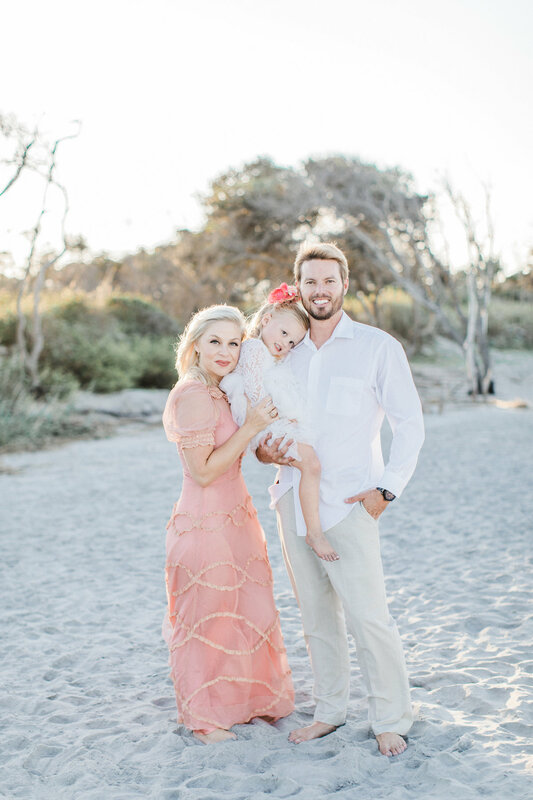 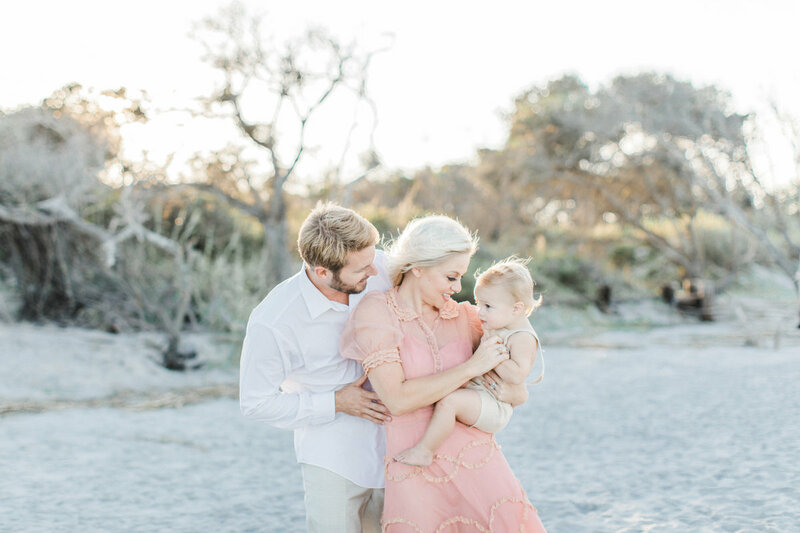 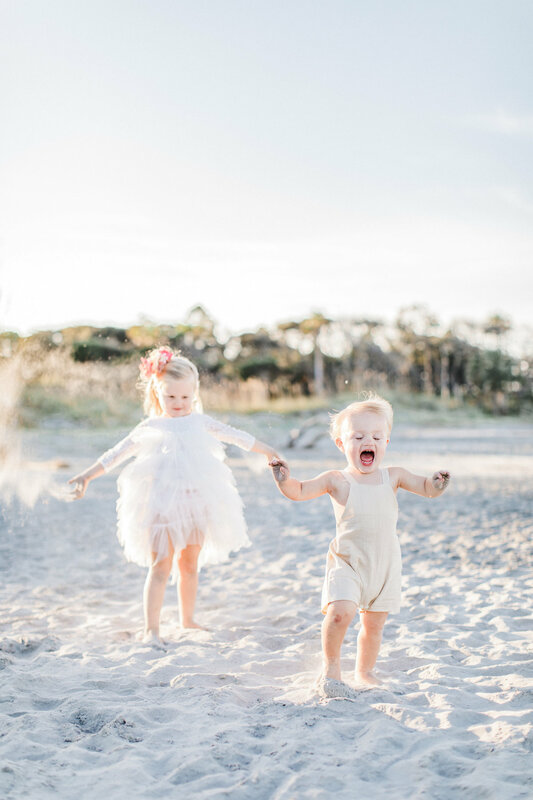 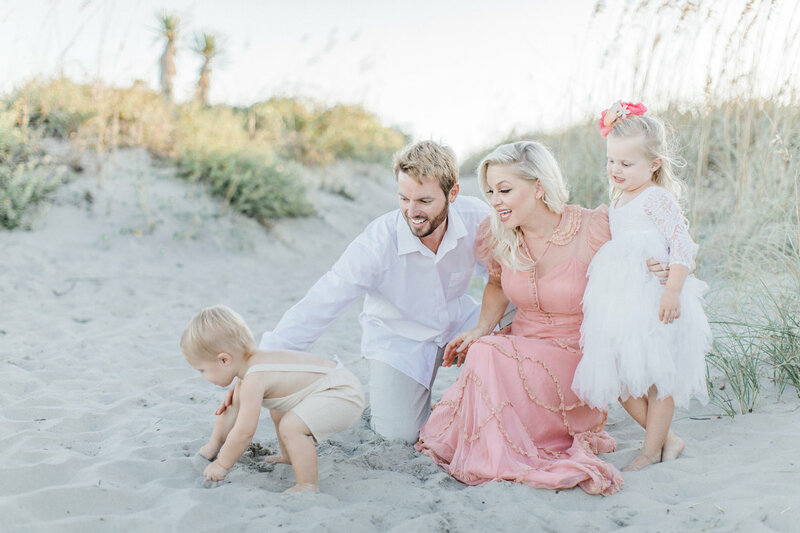 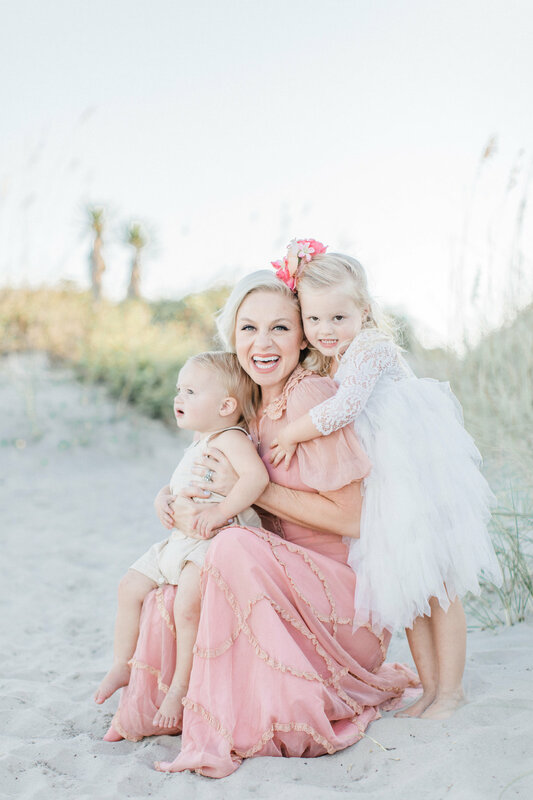 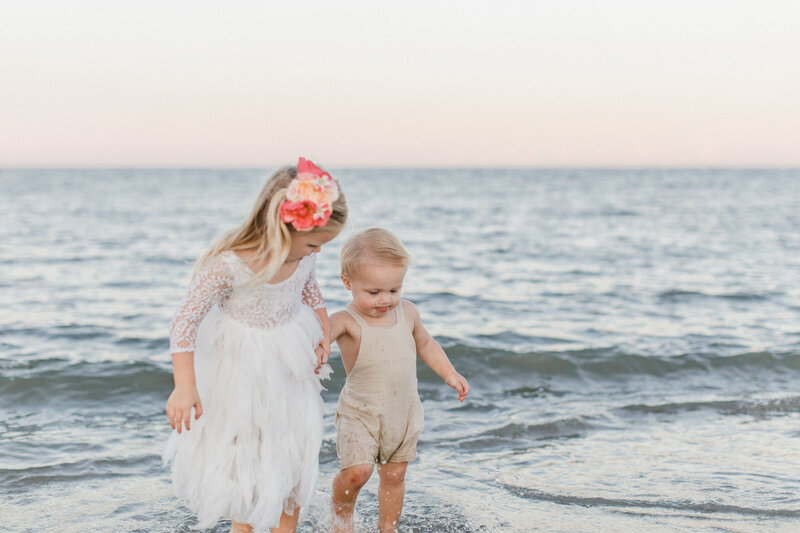 "Our family portrait beach session was an absolute dream!!" 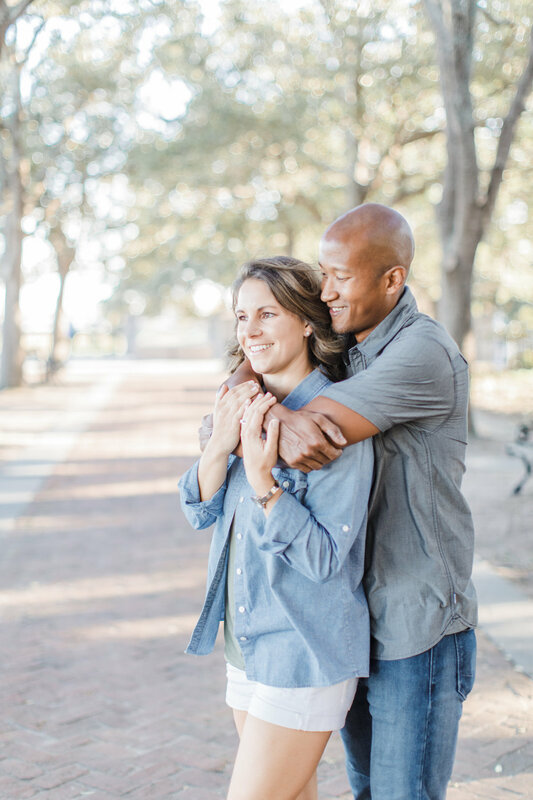 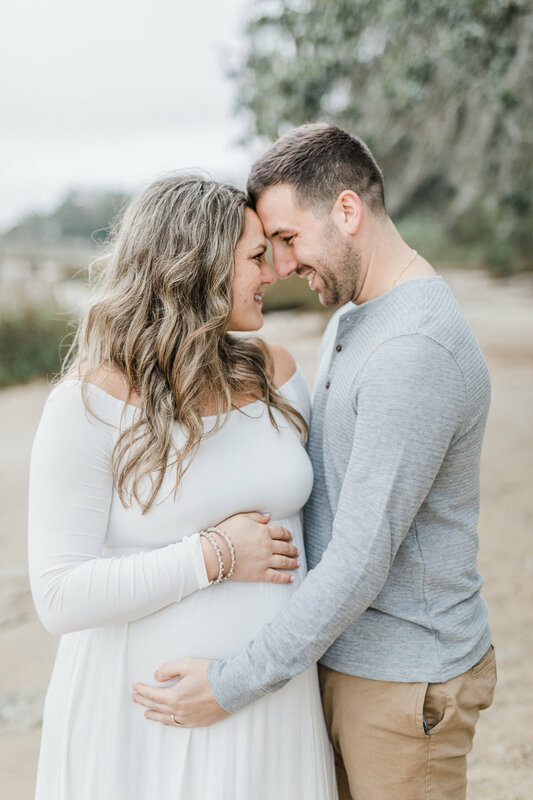 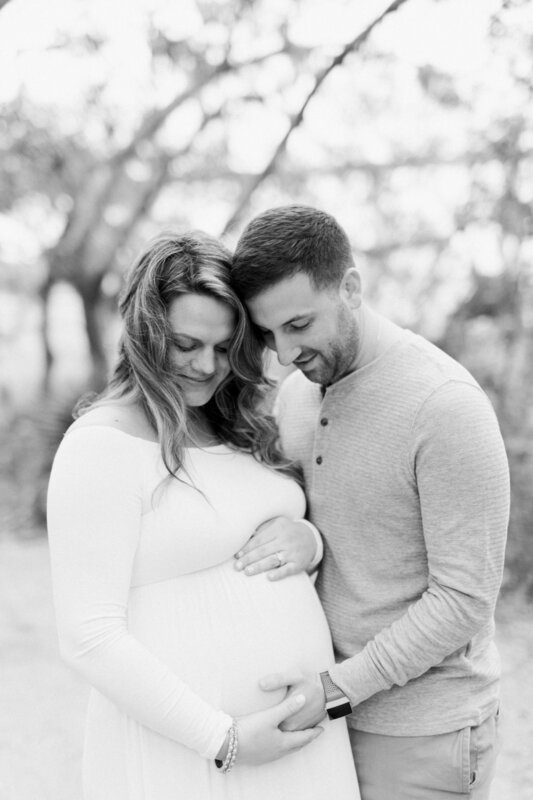 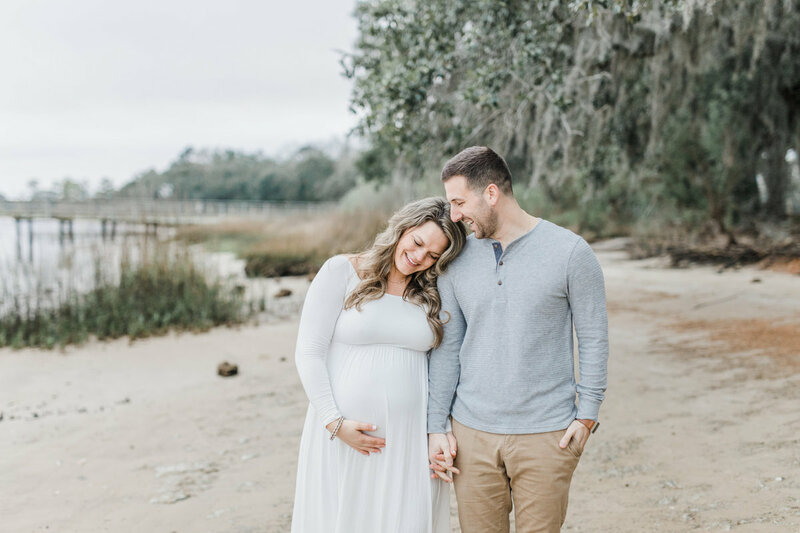 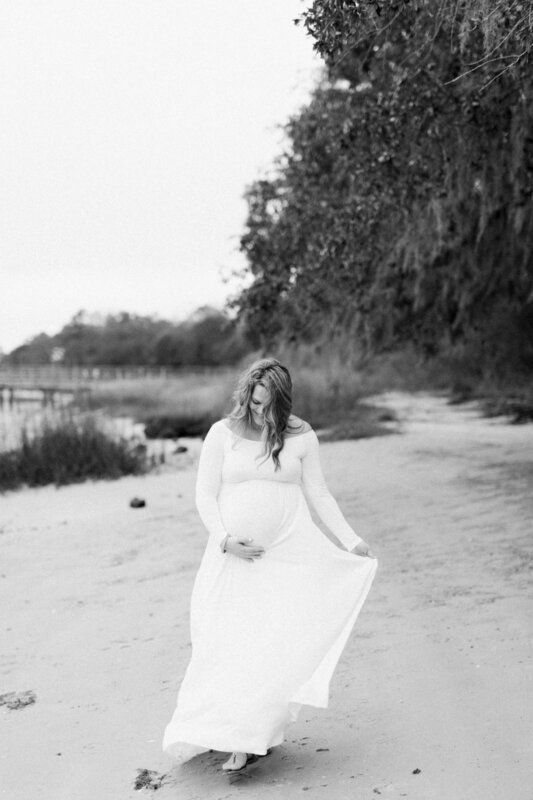 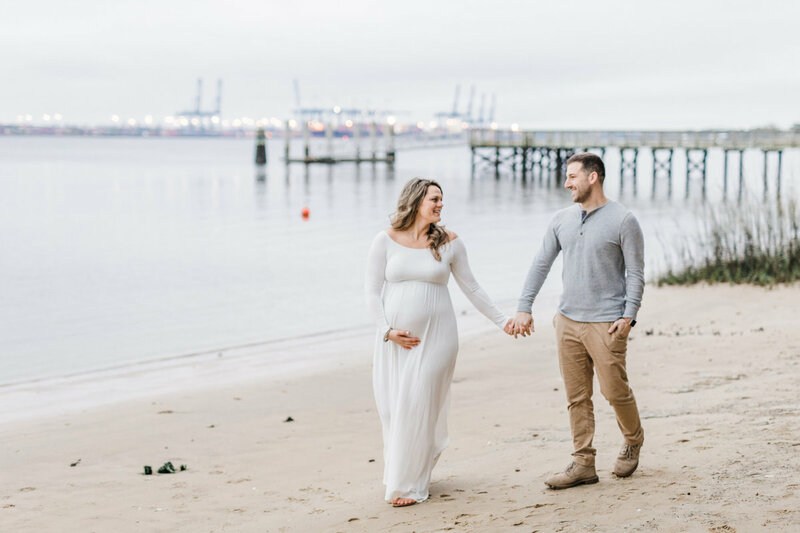 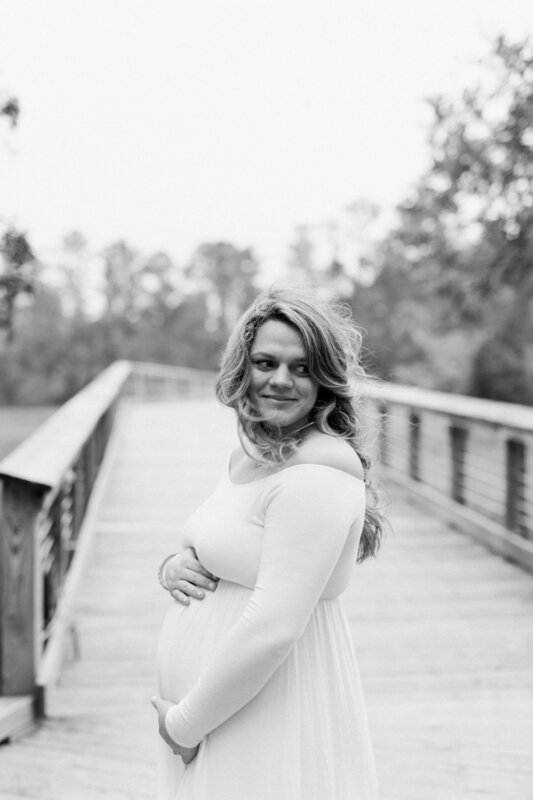 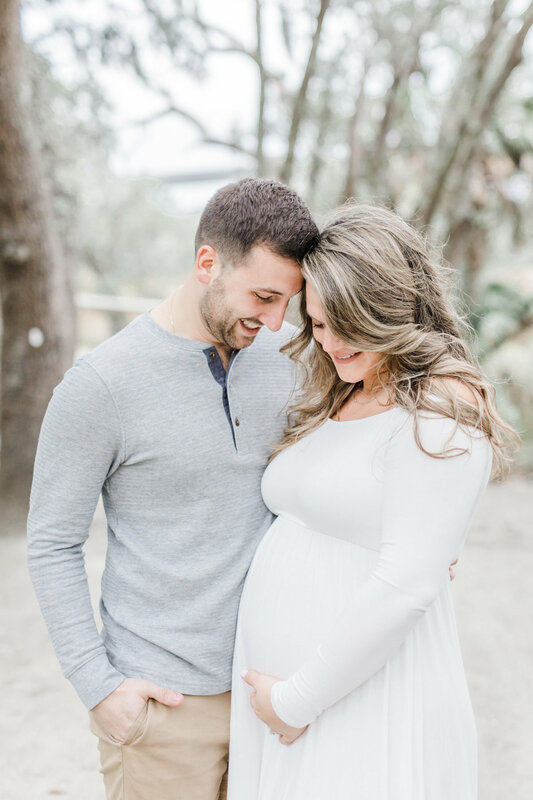 Laura was extremely personable and made us feel comfortable immediately for our maternity photos. 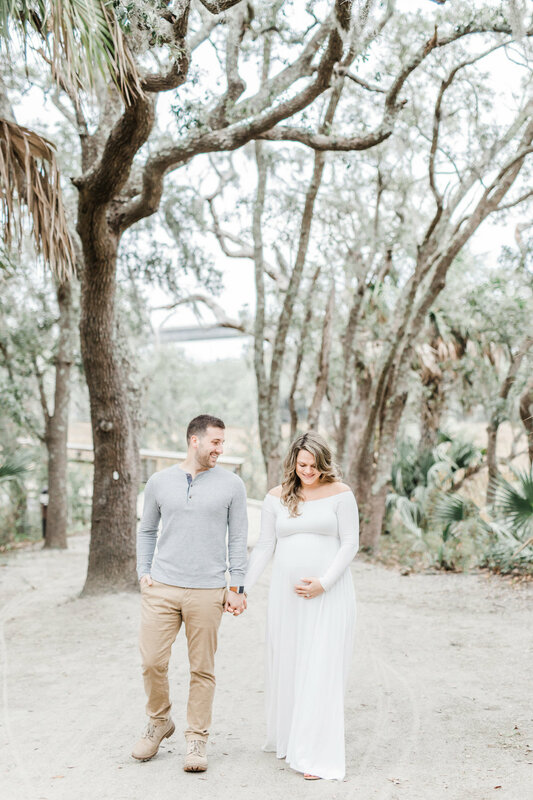 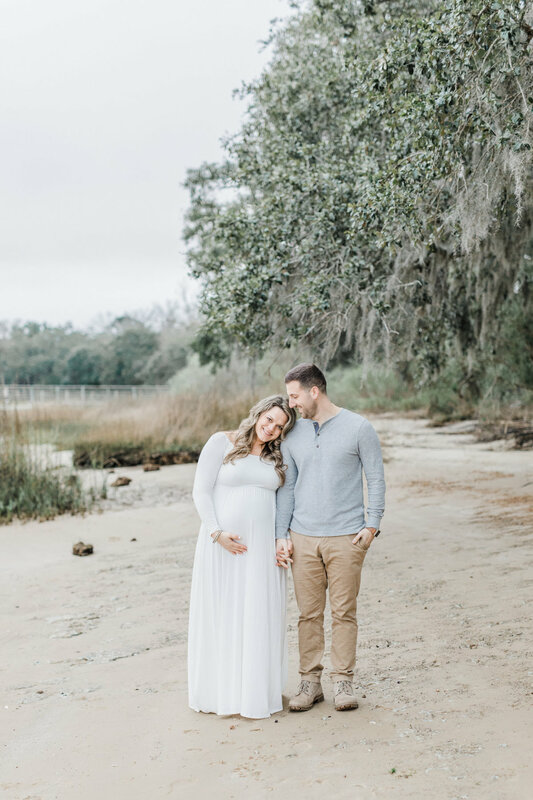 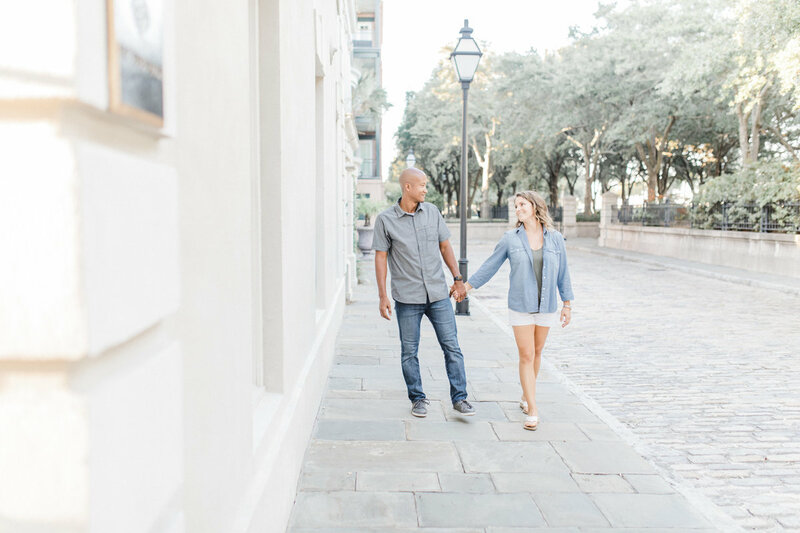 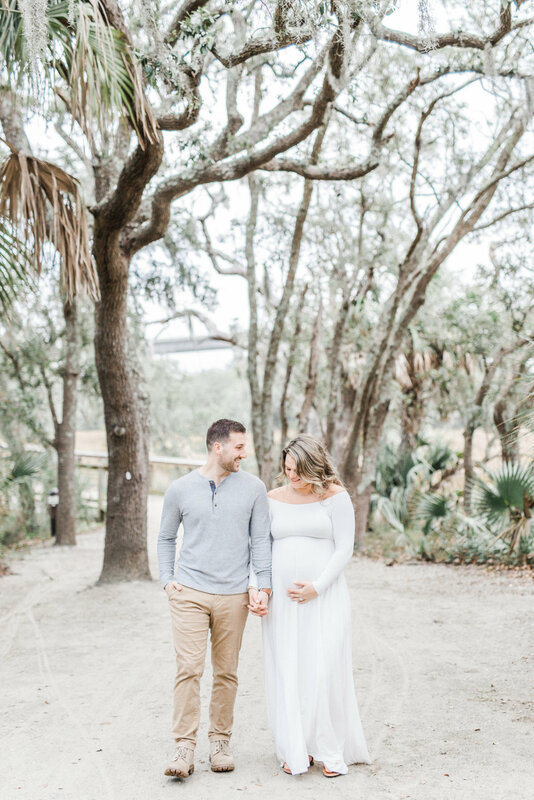 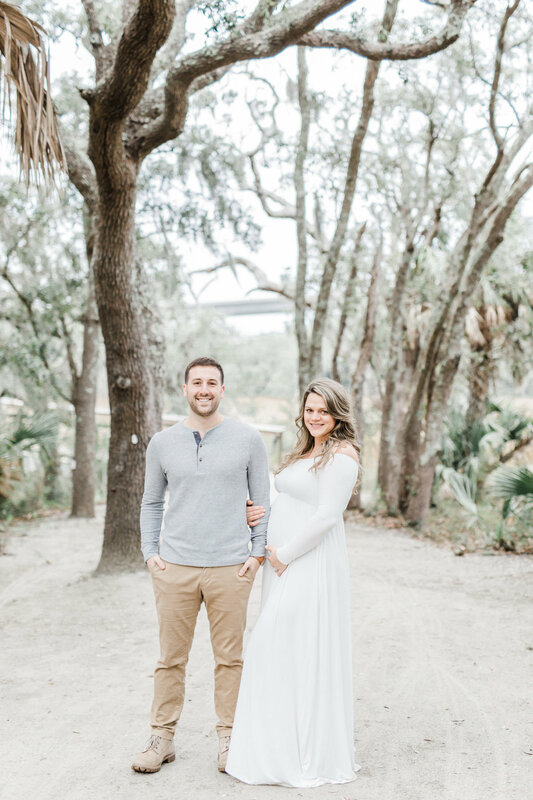 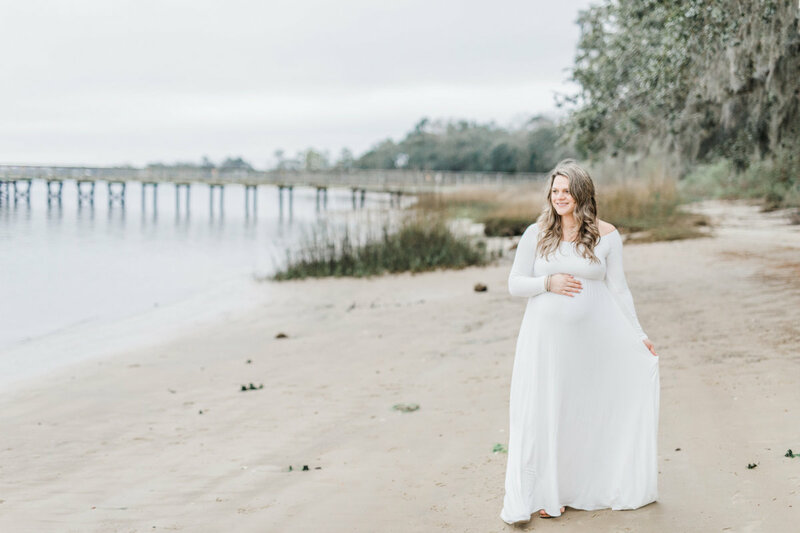 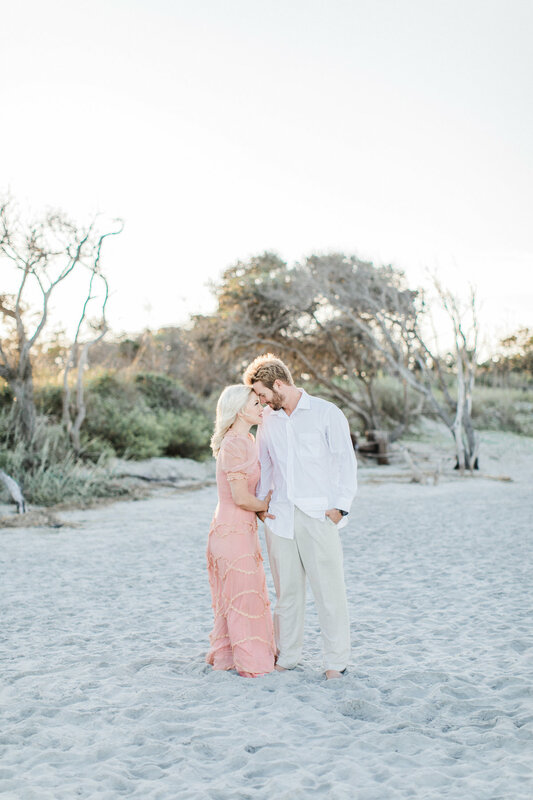 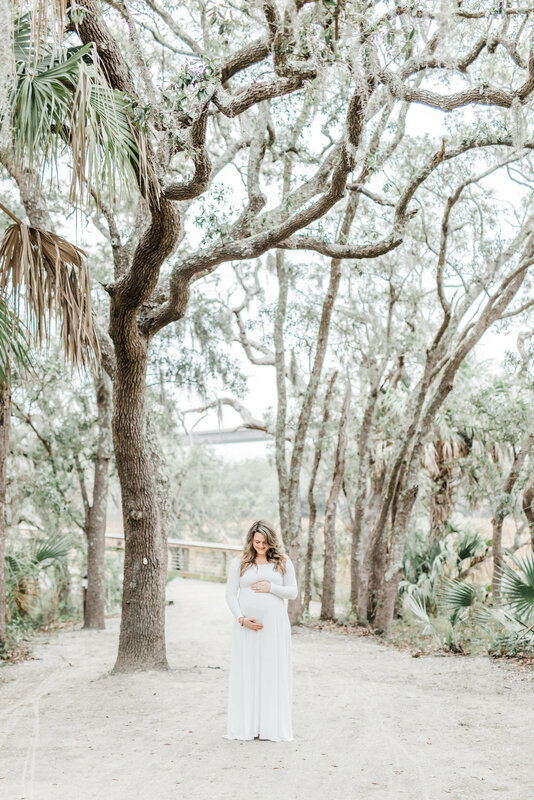 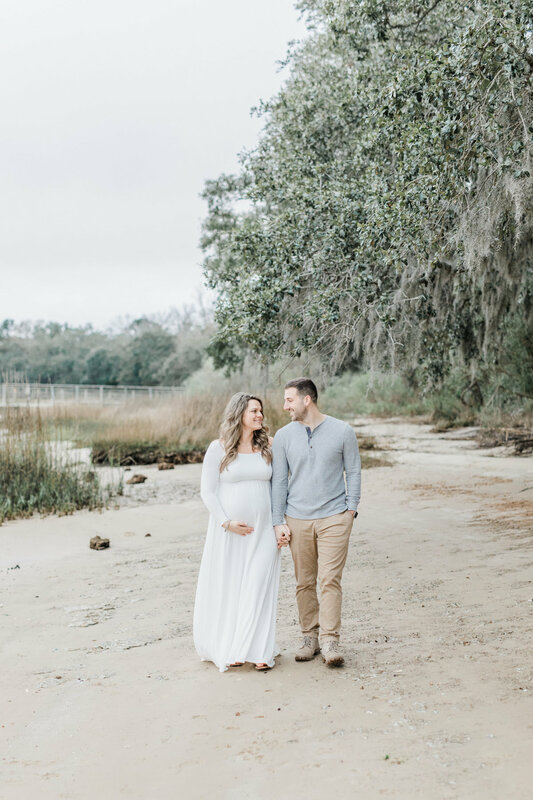 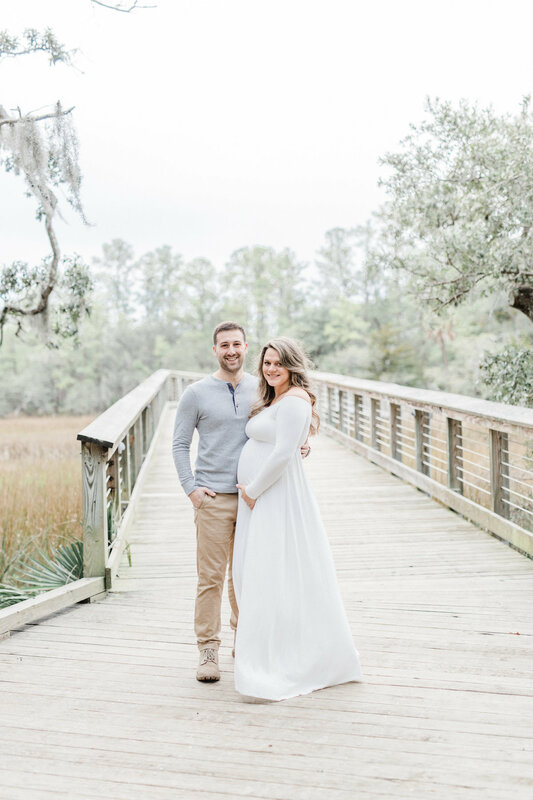 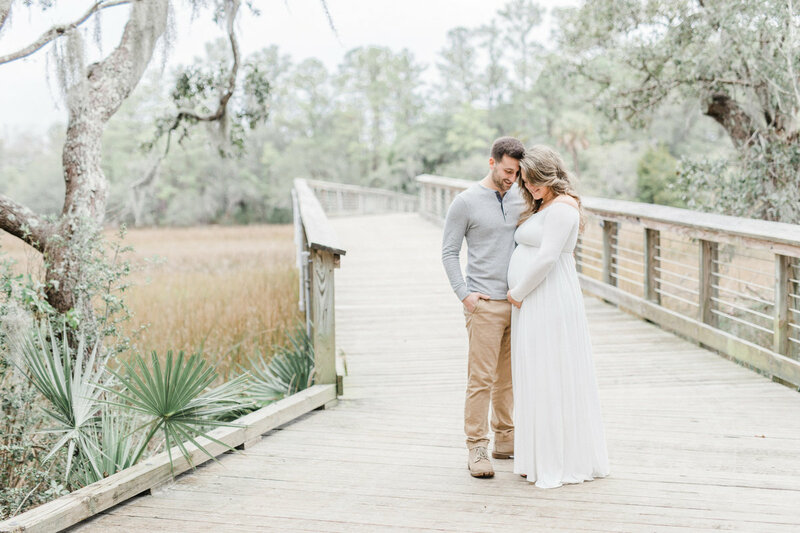 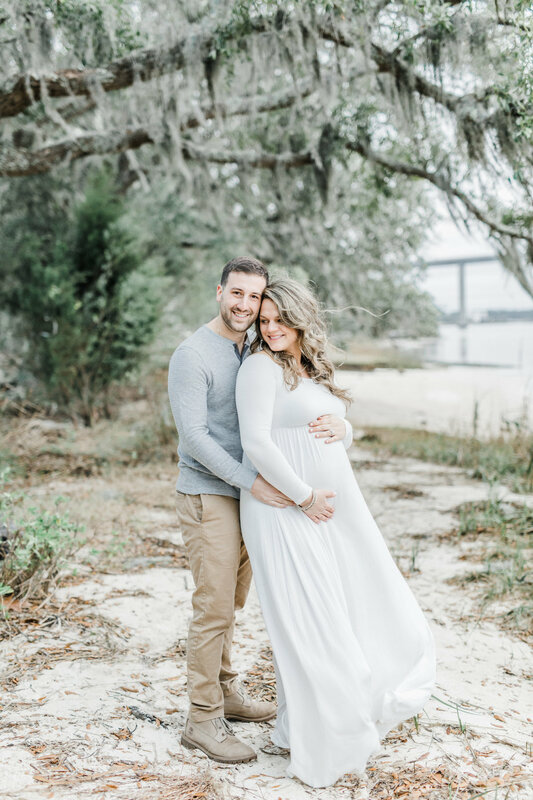 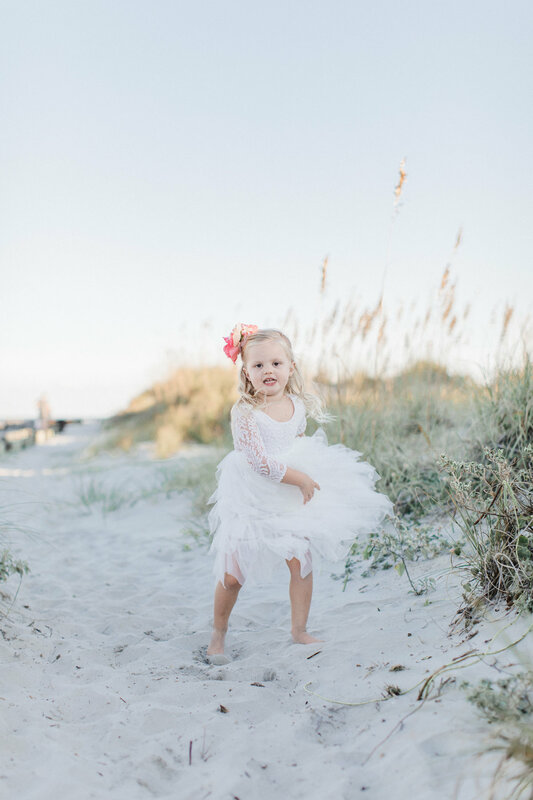 She chose the most beautiful location in Daniel Island, near Charleston, and knew exactly where to take the best photos for the time of day. 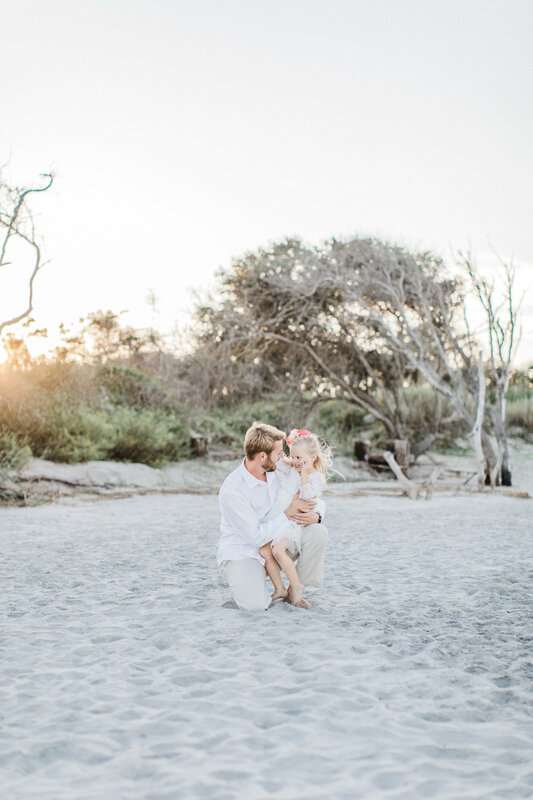 She guided us through the whole experience and was such a pleasure to work with! 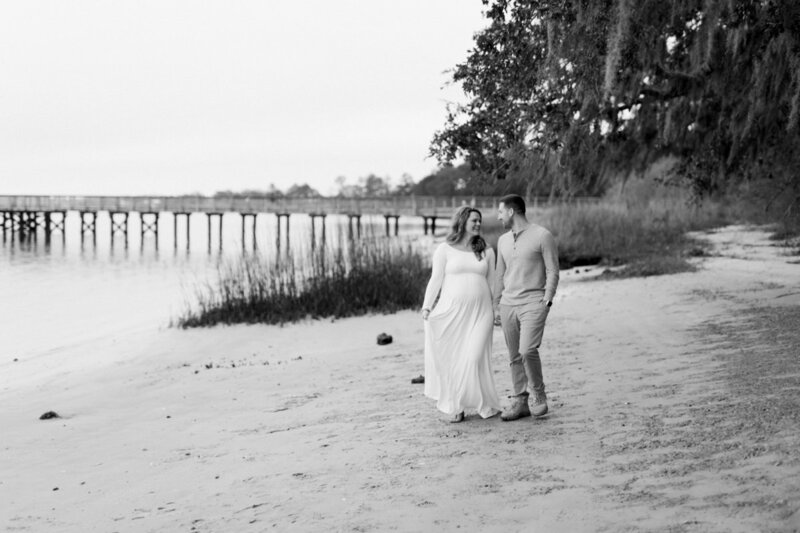 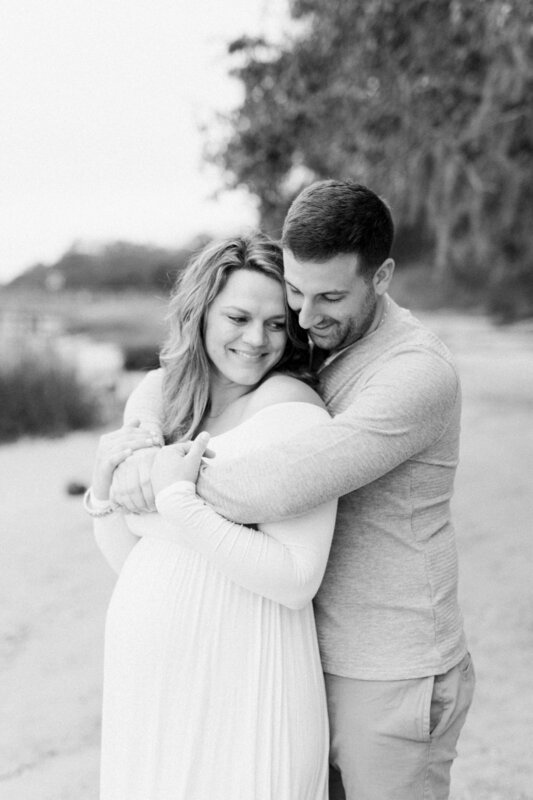 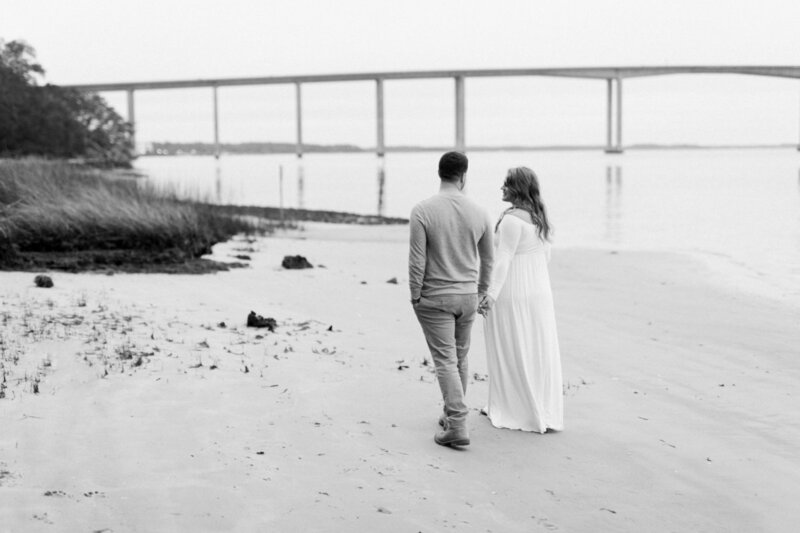 "Made us feel comfortable immediately for our maternity photos."